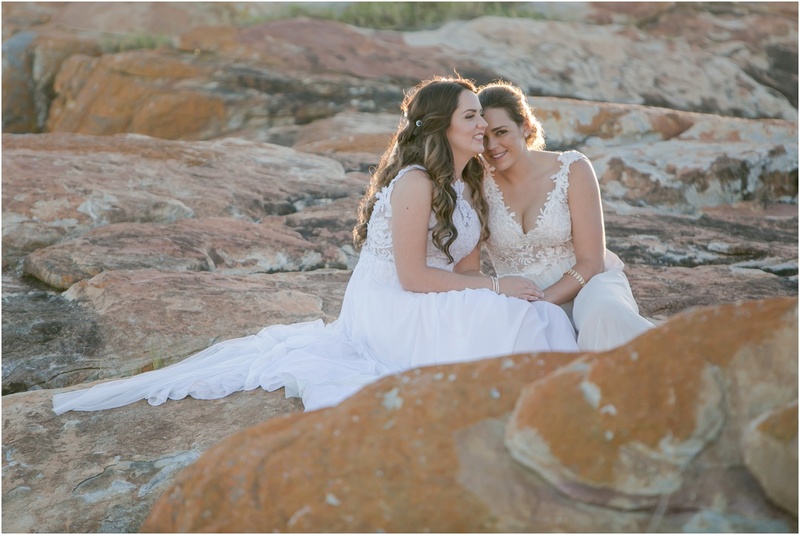 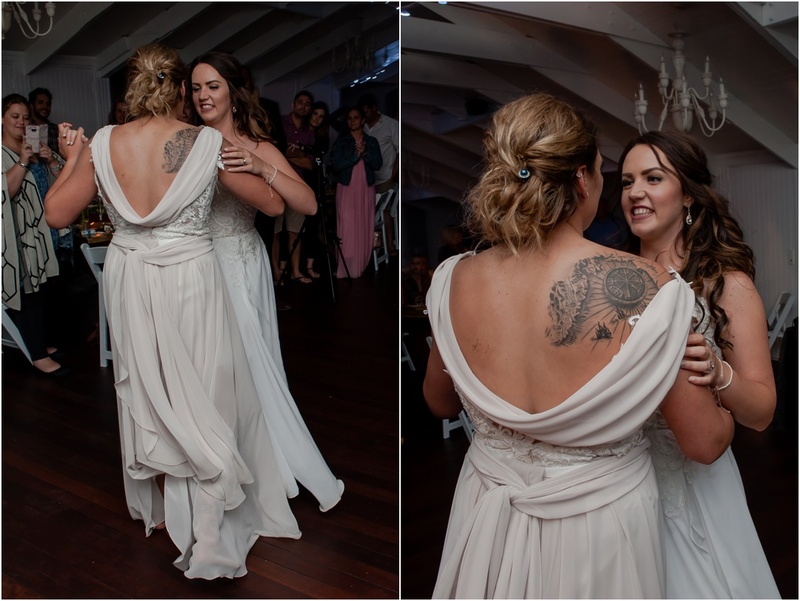 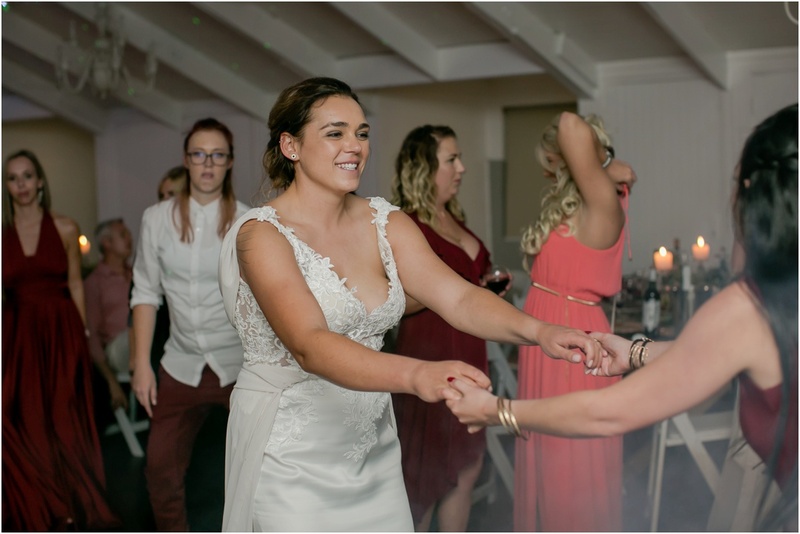 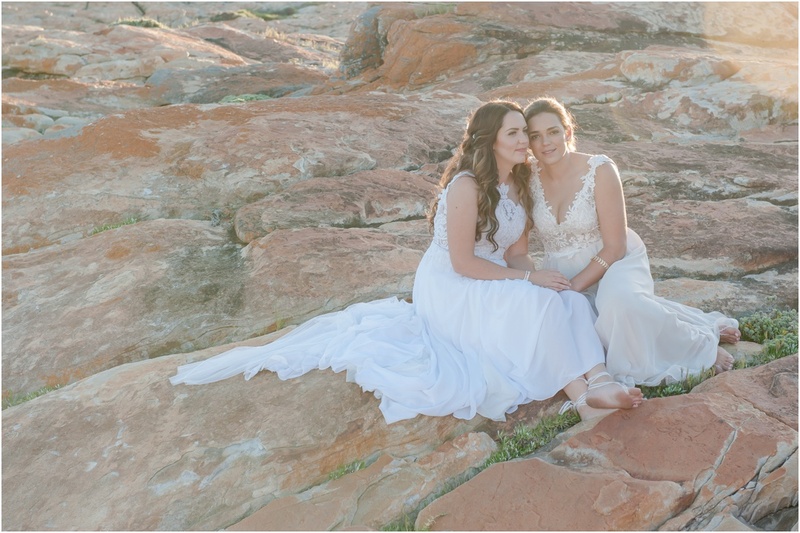 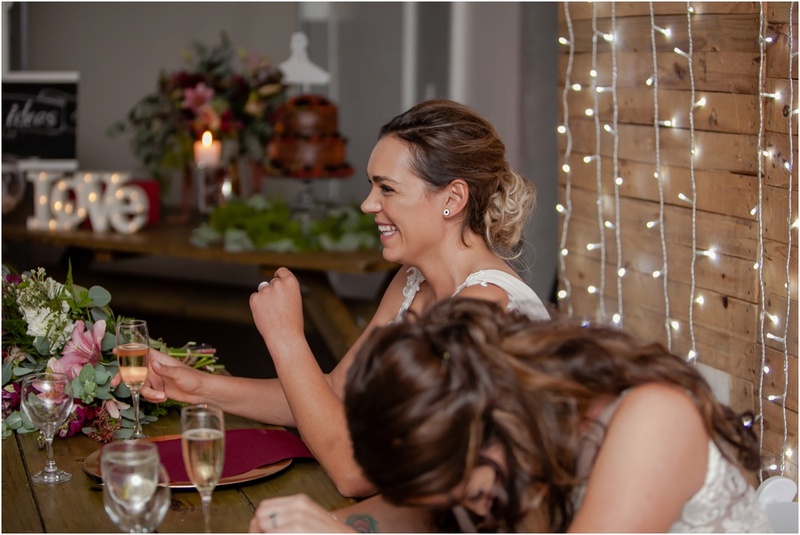 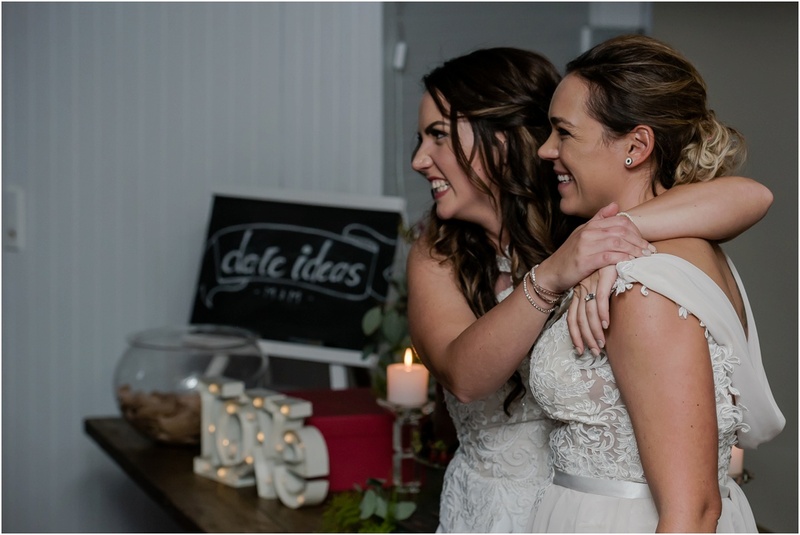 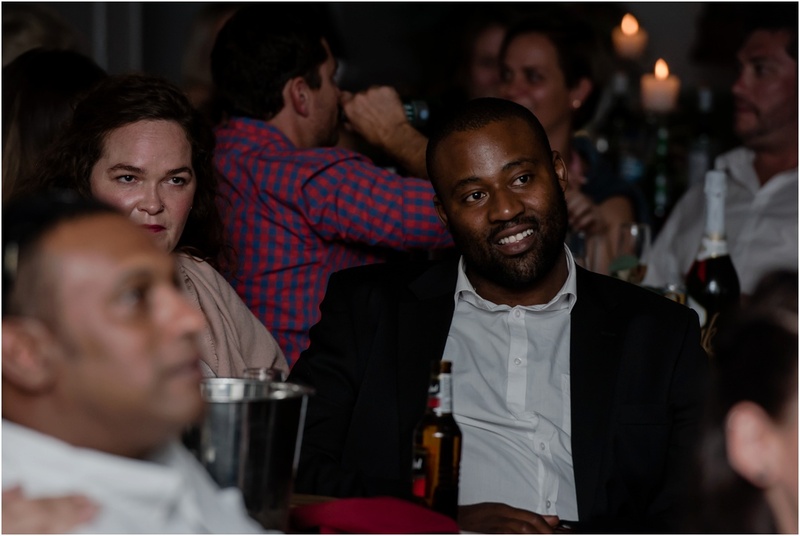 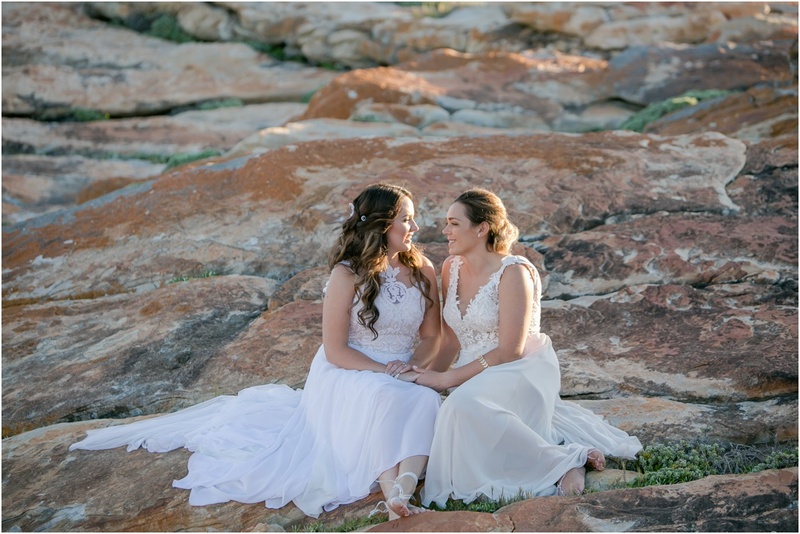 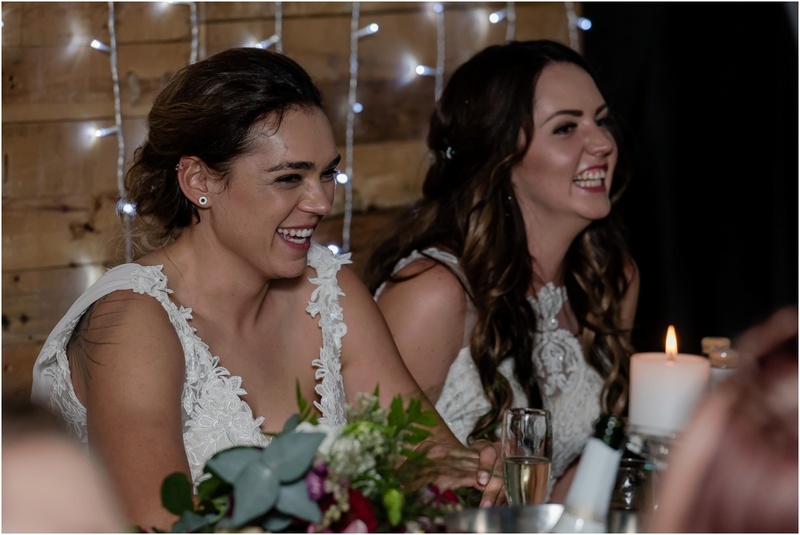 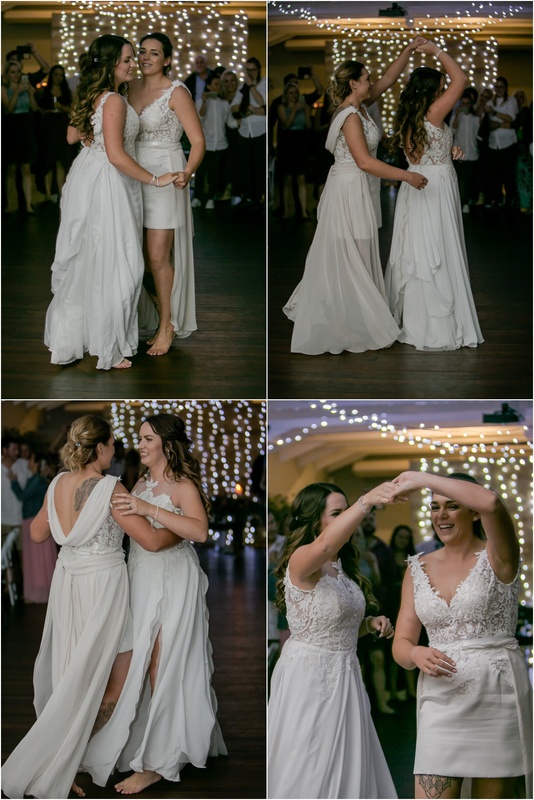 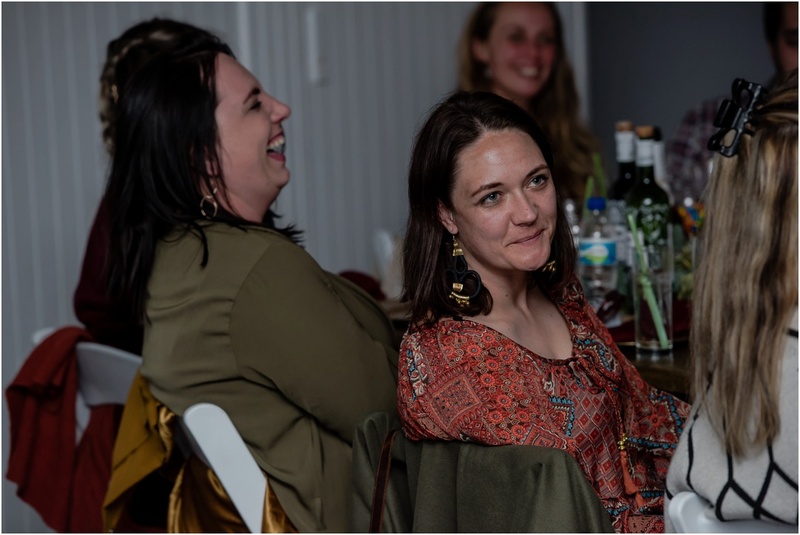 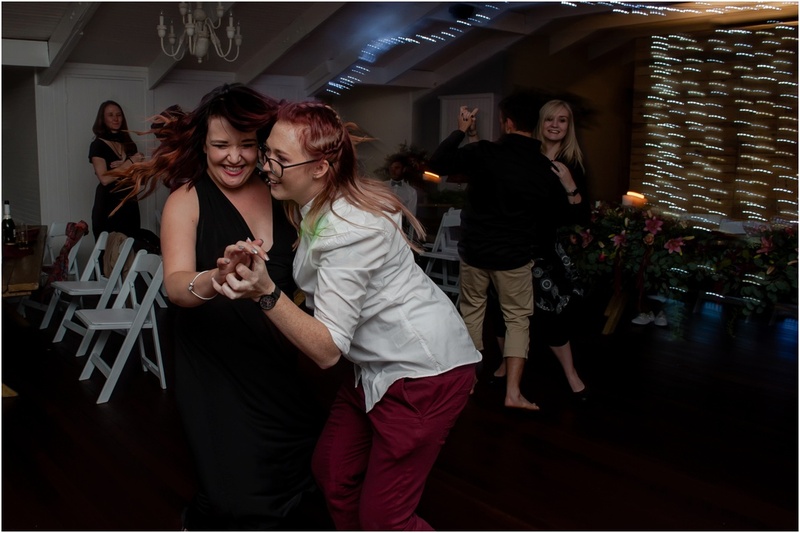 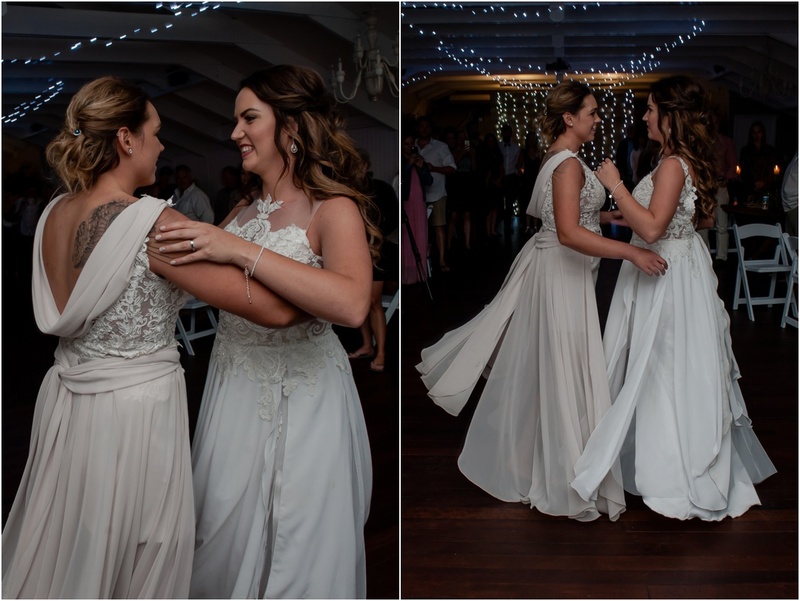 Having known each other for almost 10 years and been together for three, Megan and Mignon are both super chilled ladies living in Pretoria. 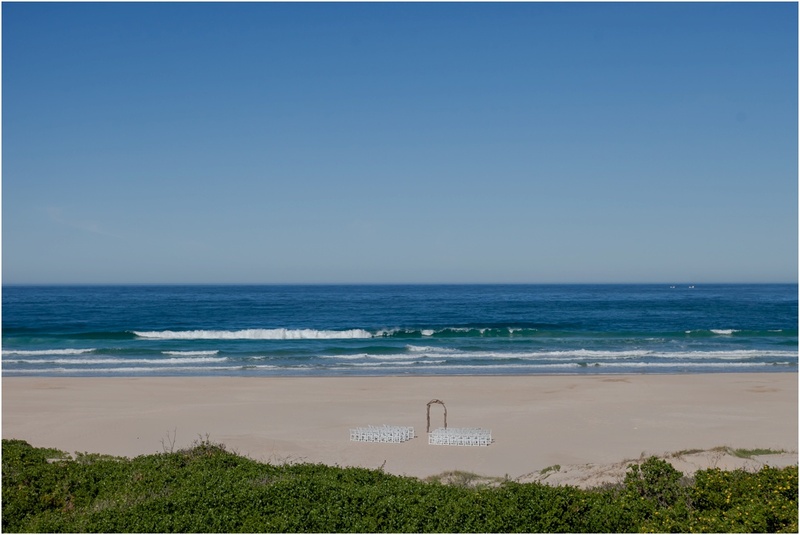 Their souls however are at the beach. 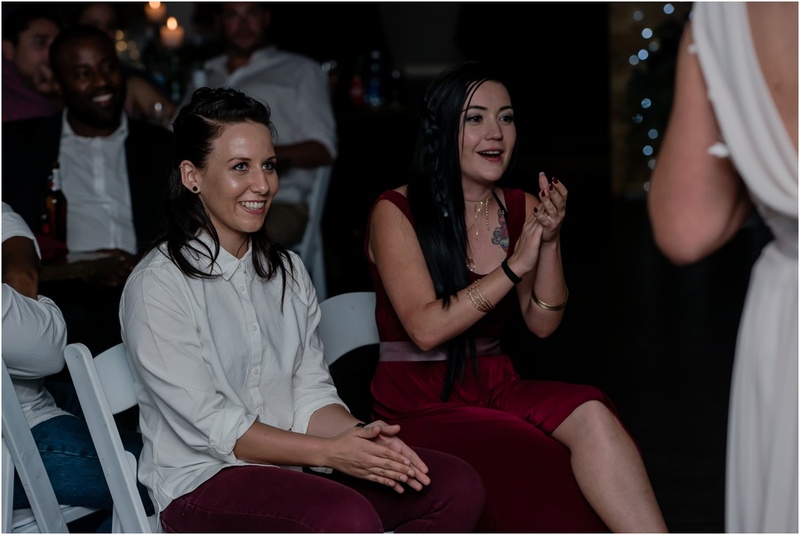 Megan works as a scuba instructor and Mignon as a hair stylist. 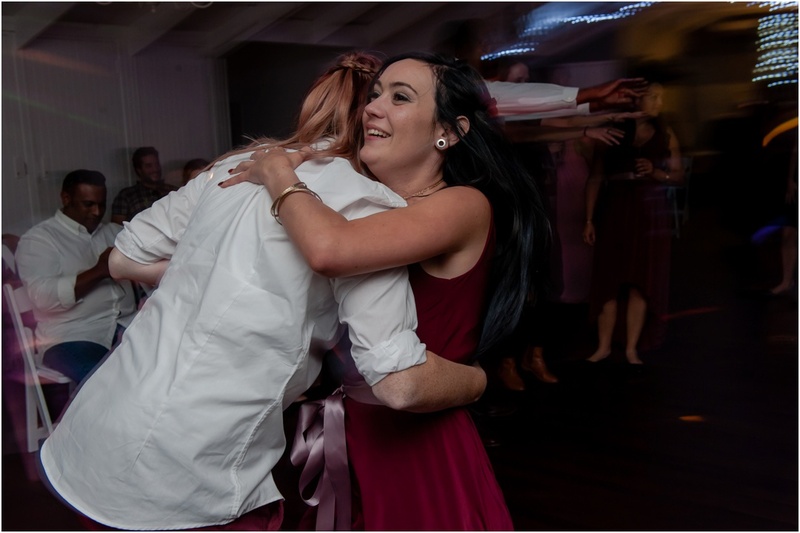 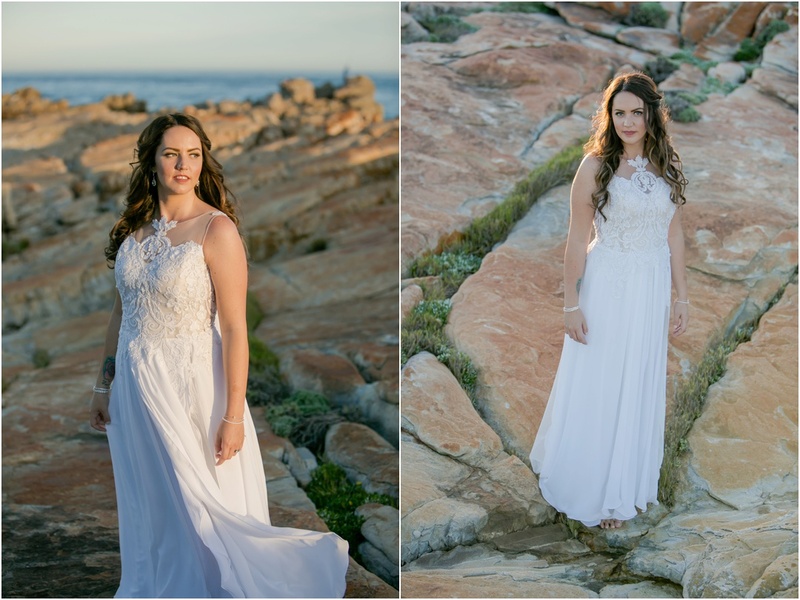 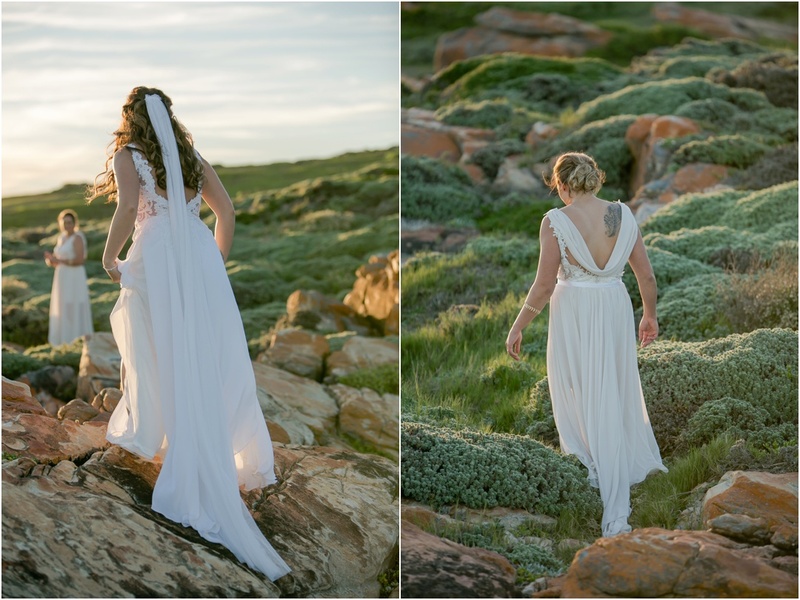 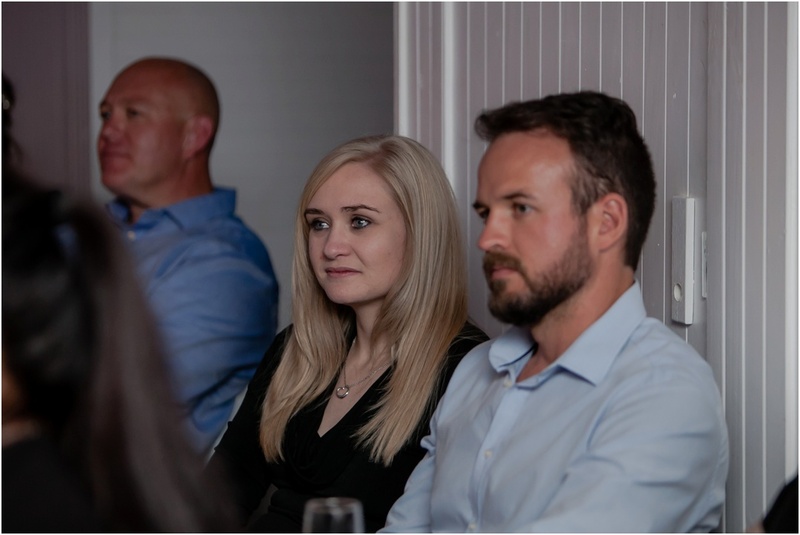 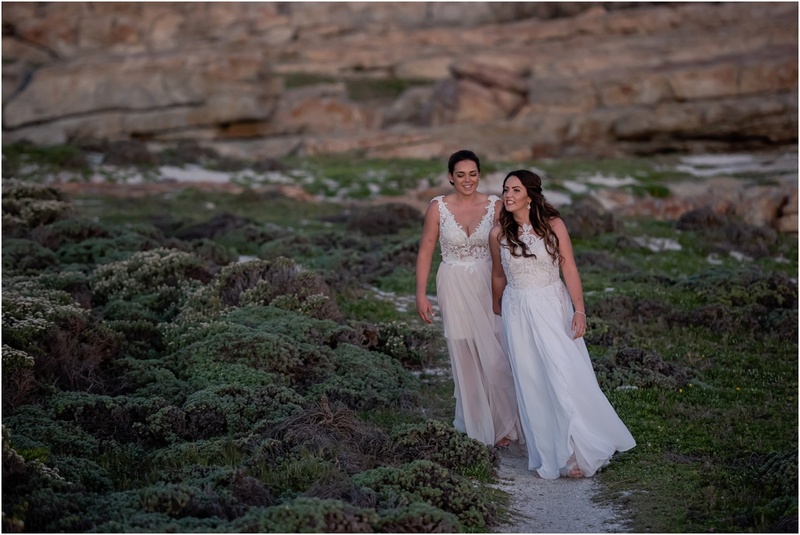 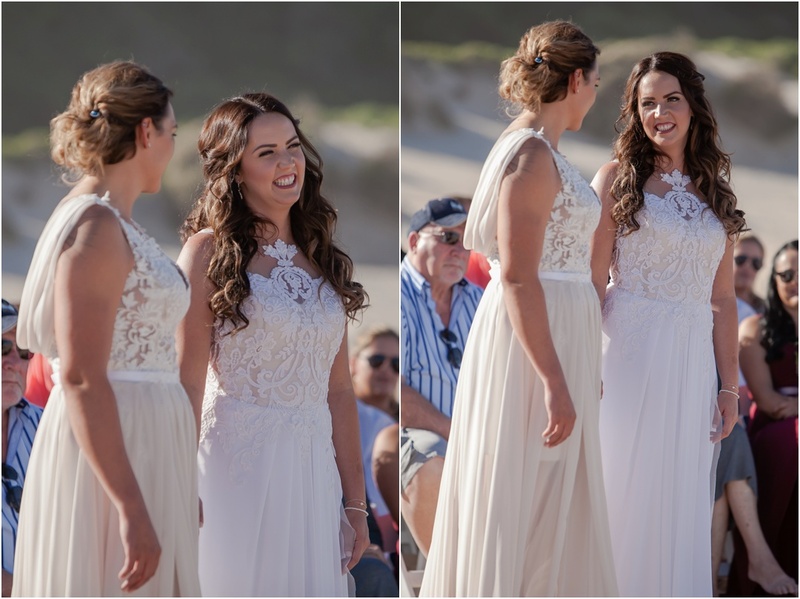 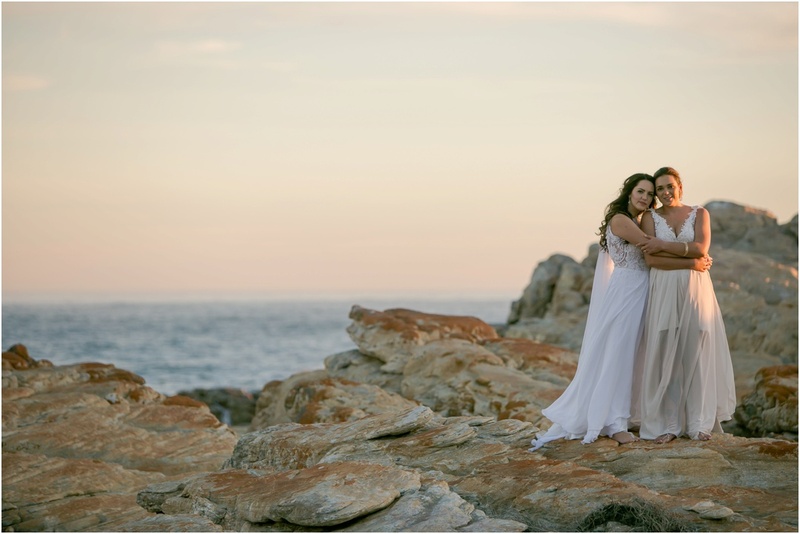 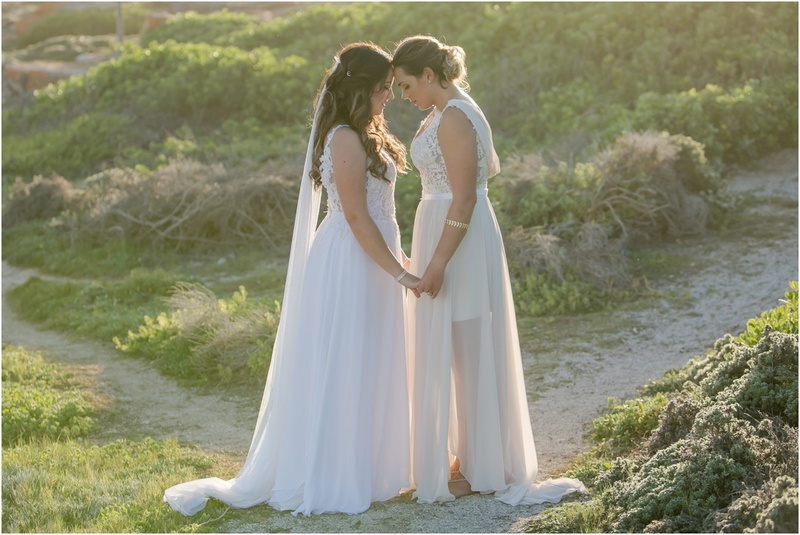 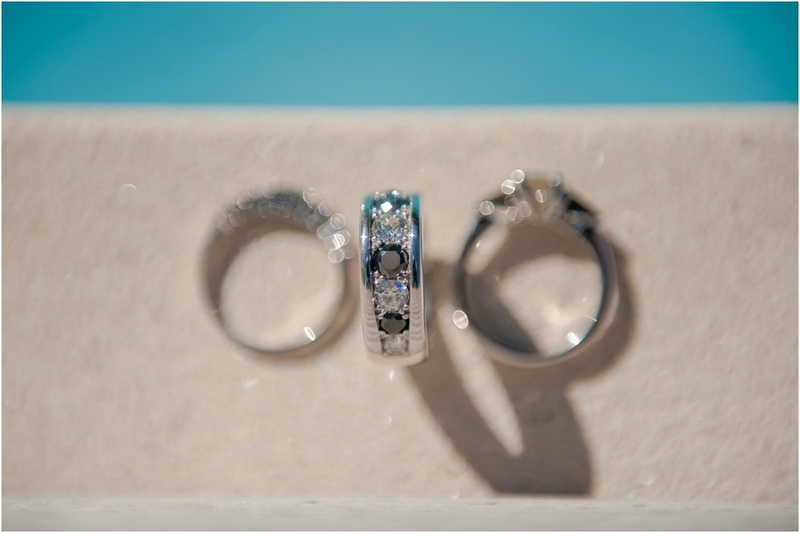 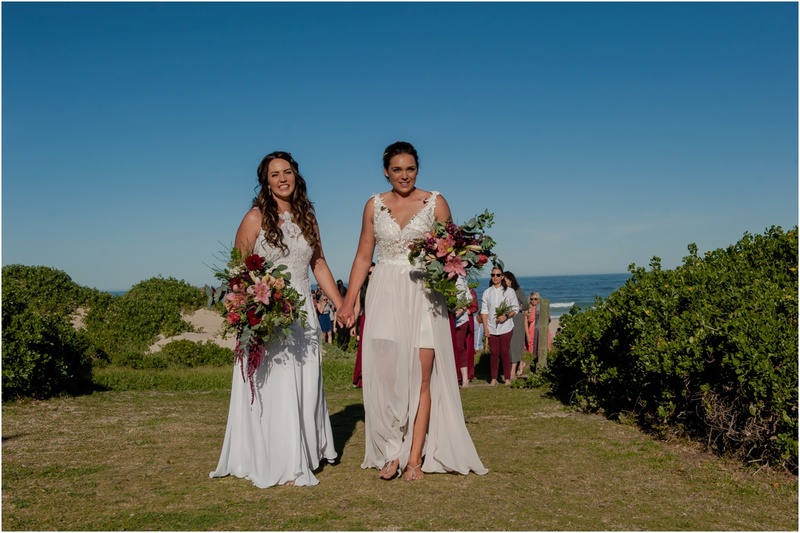 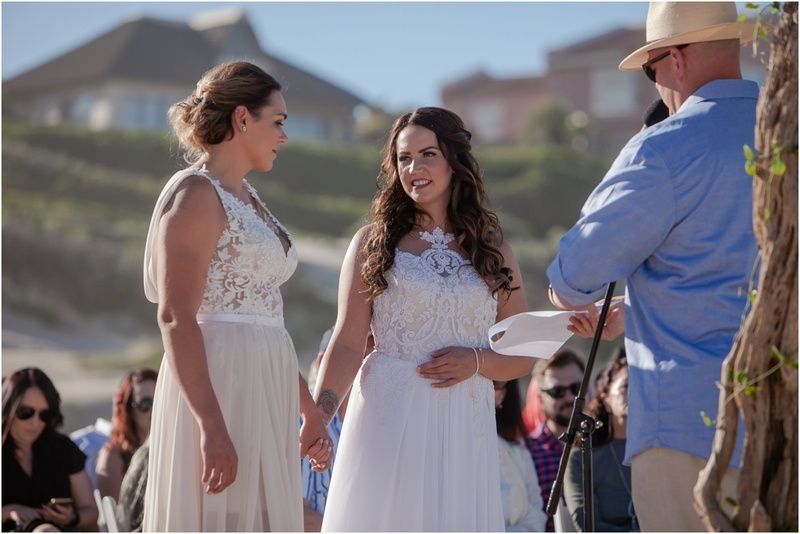 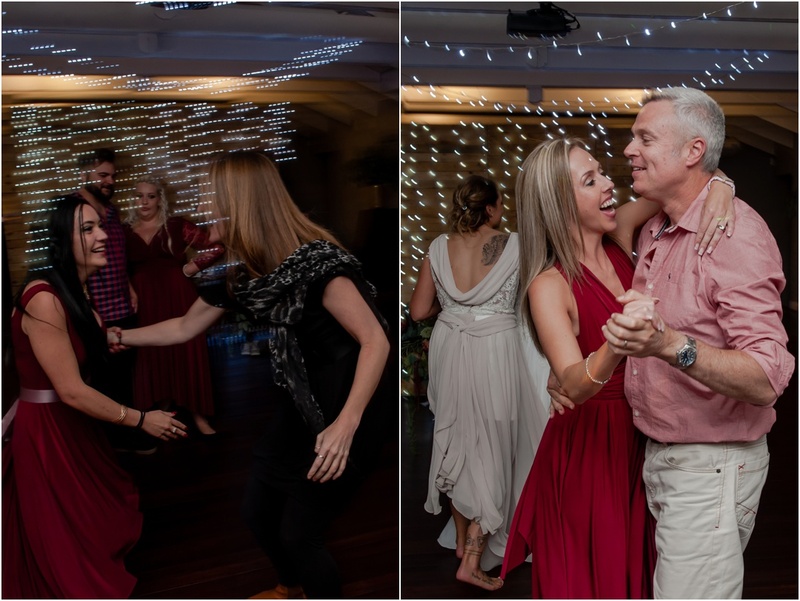 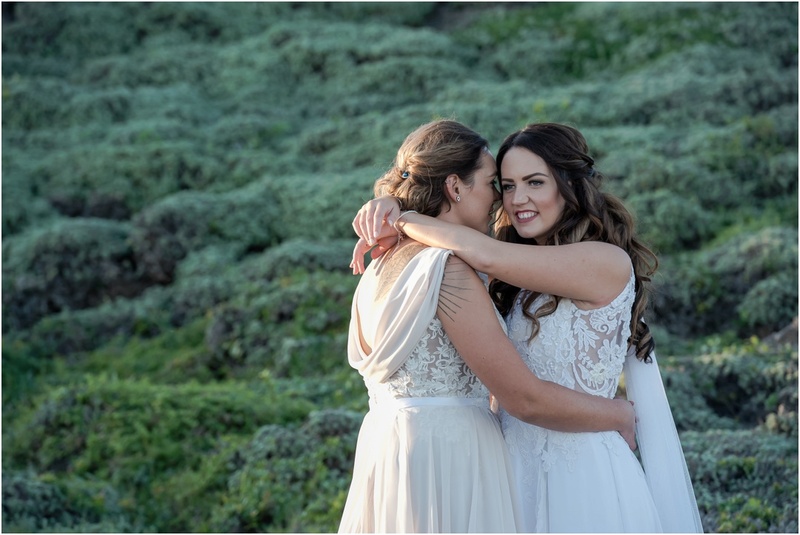 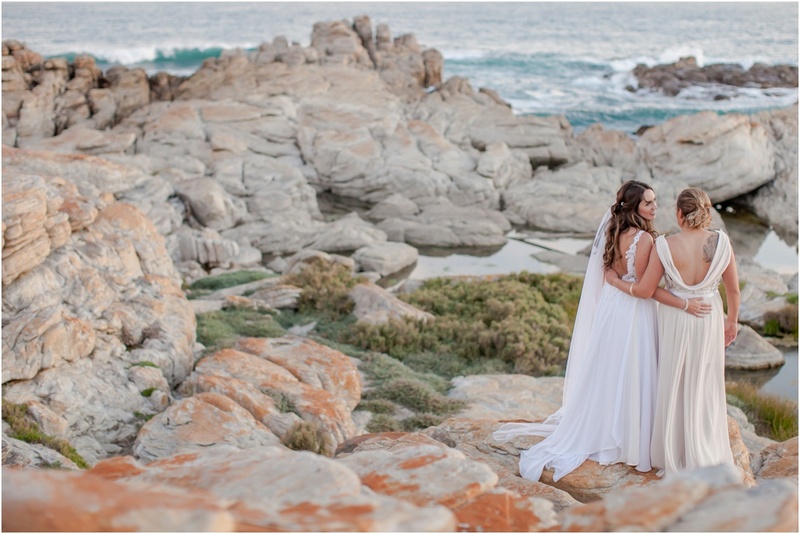 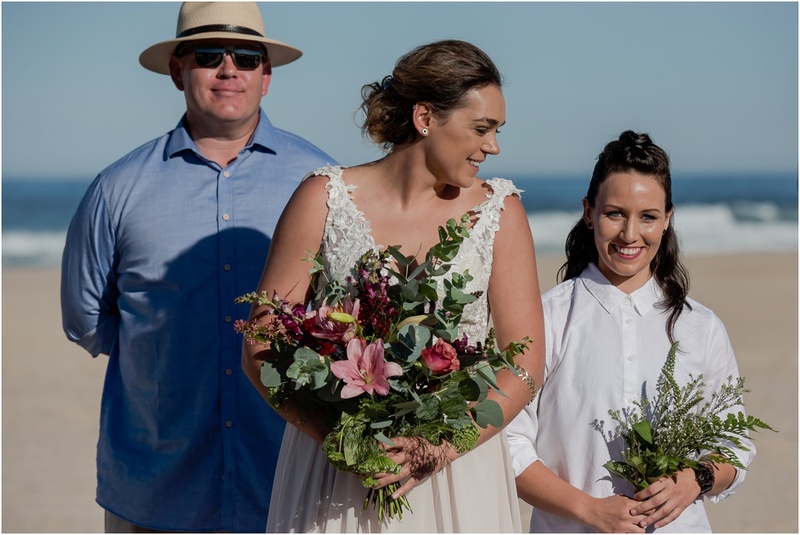 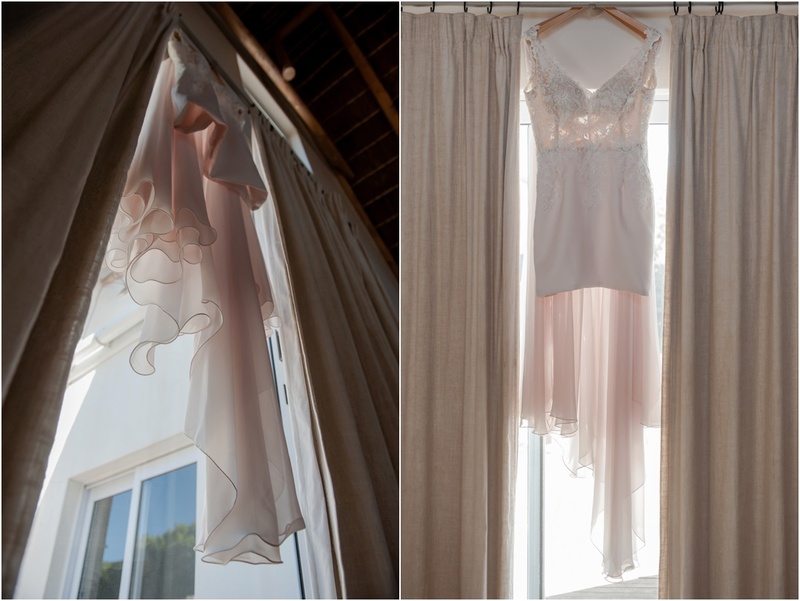 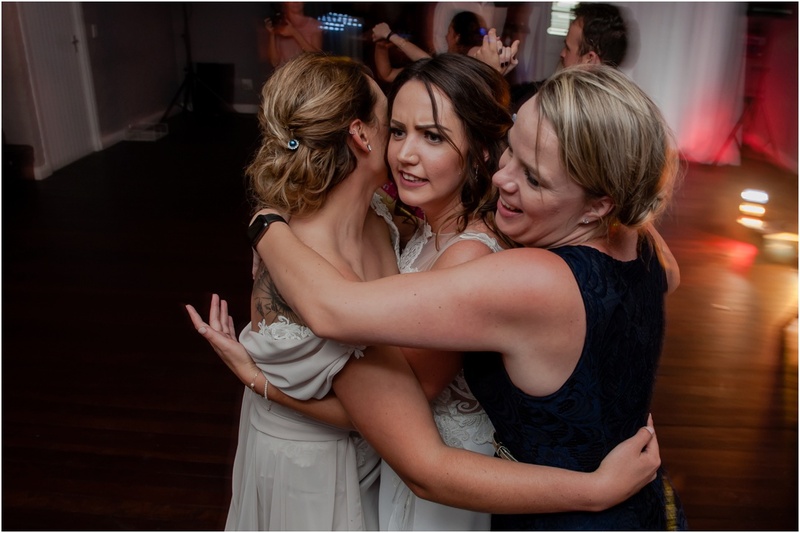 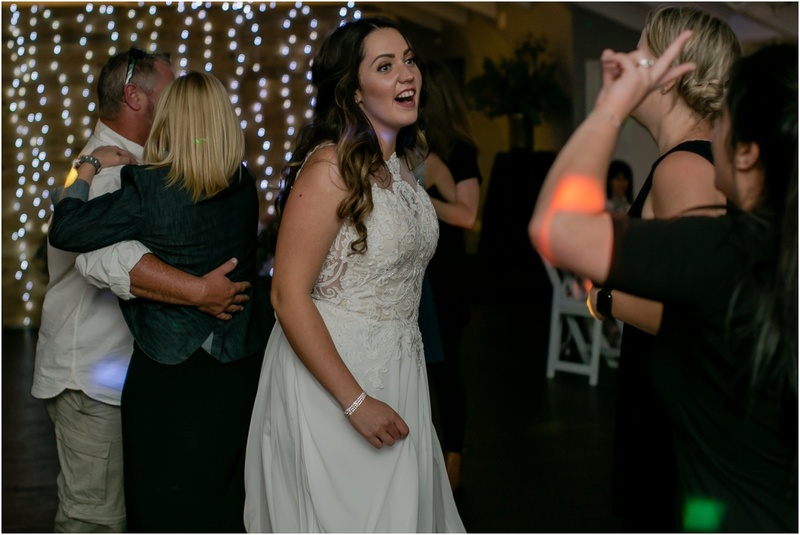 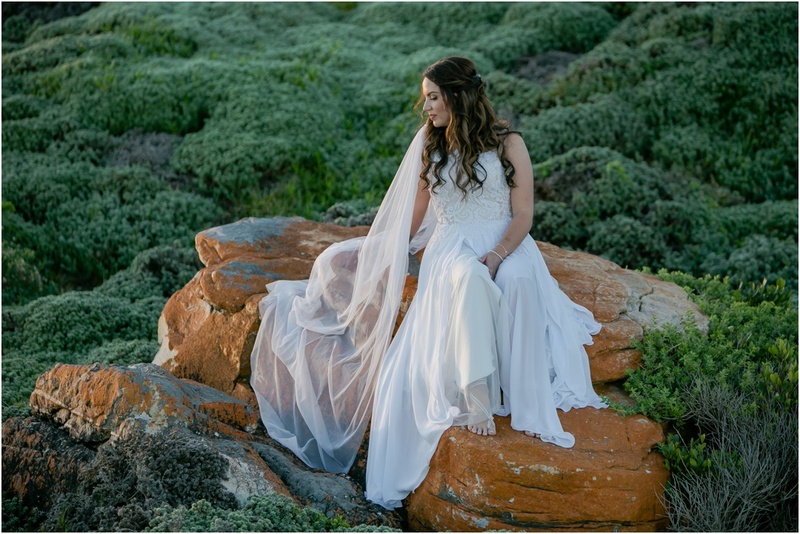 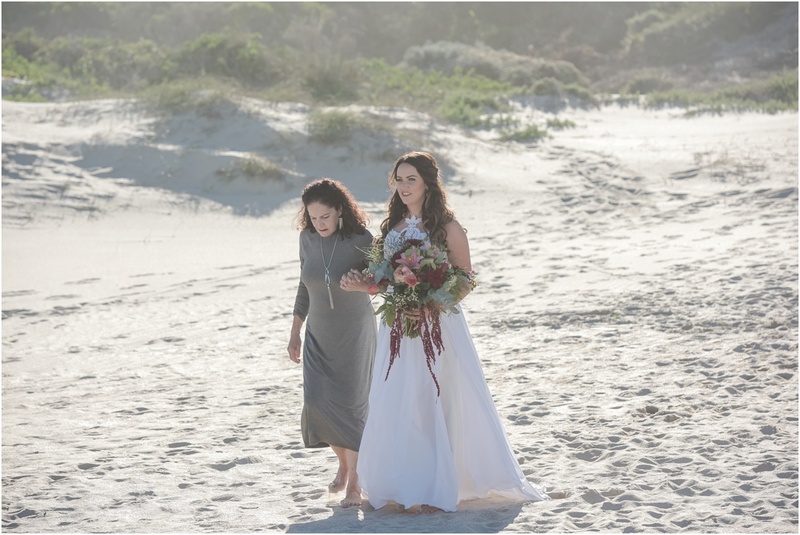 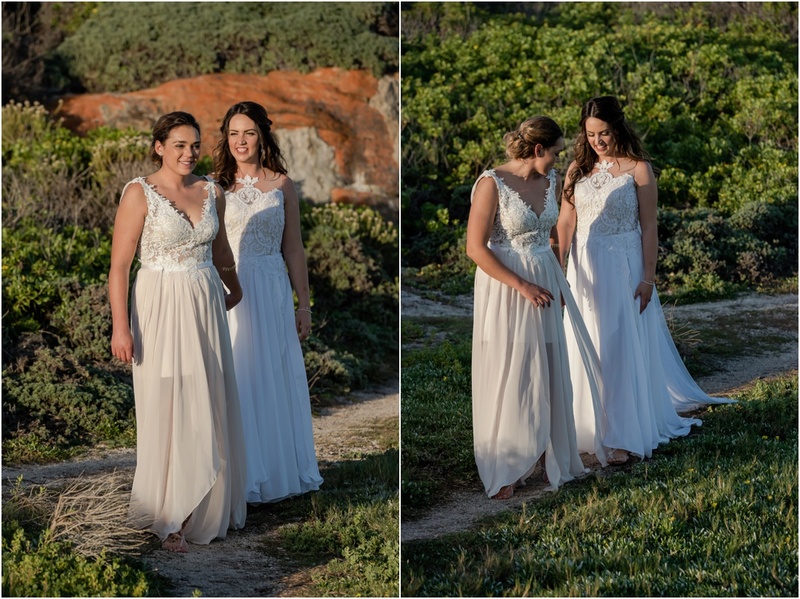 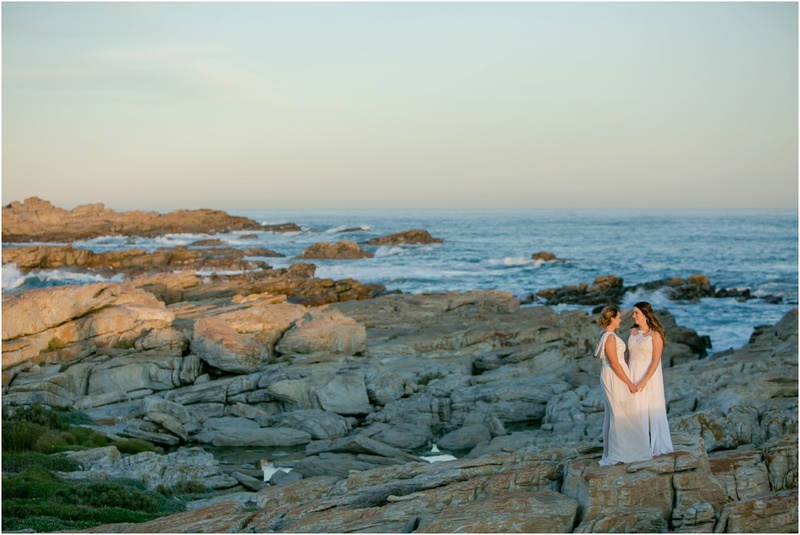 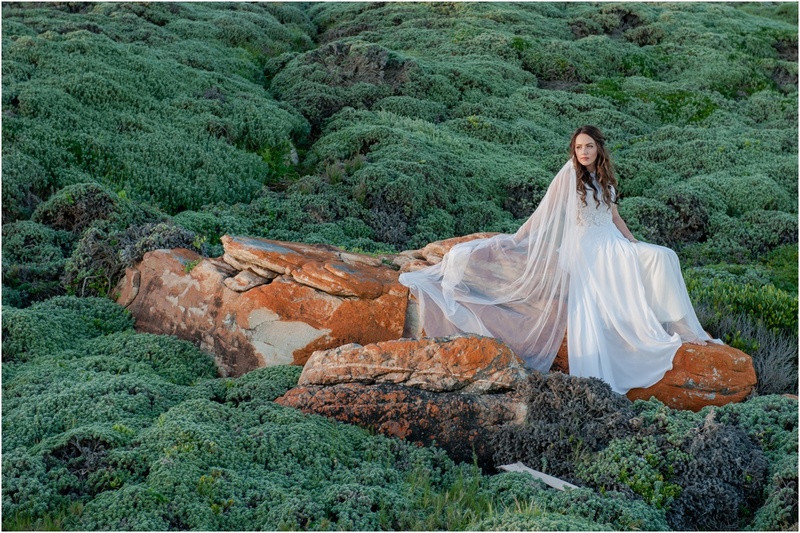 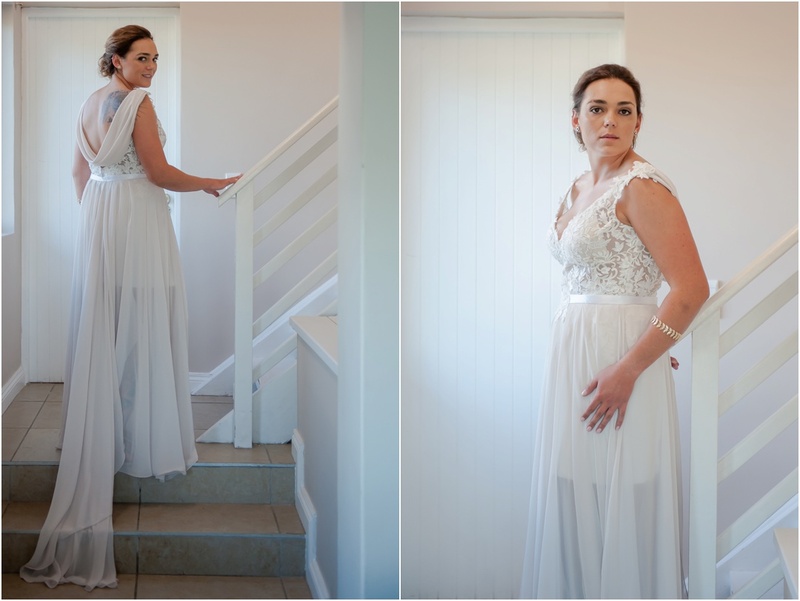 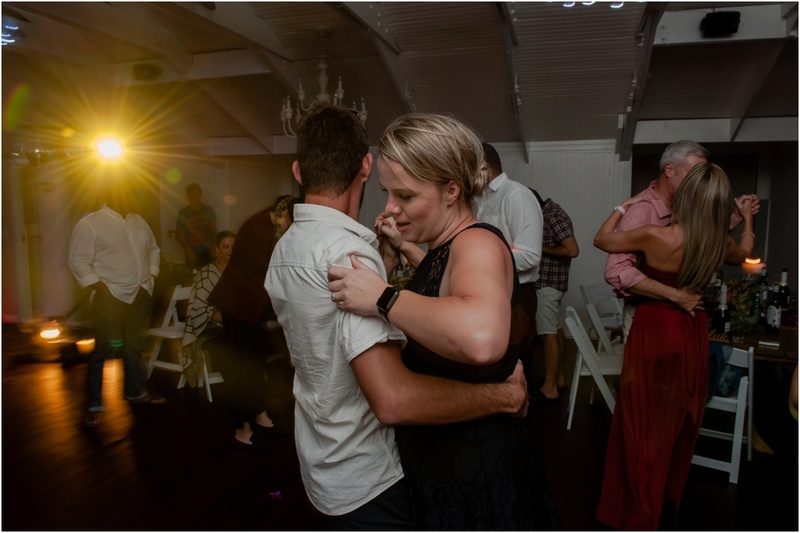 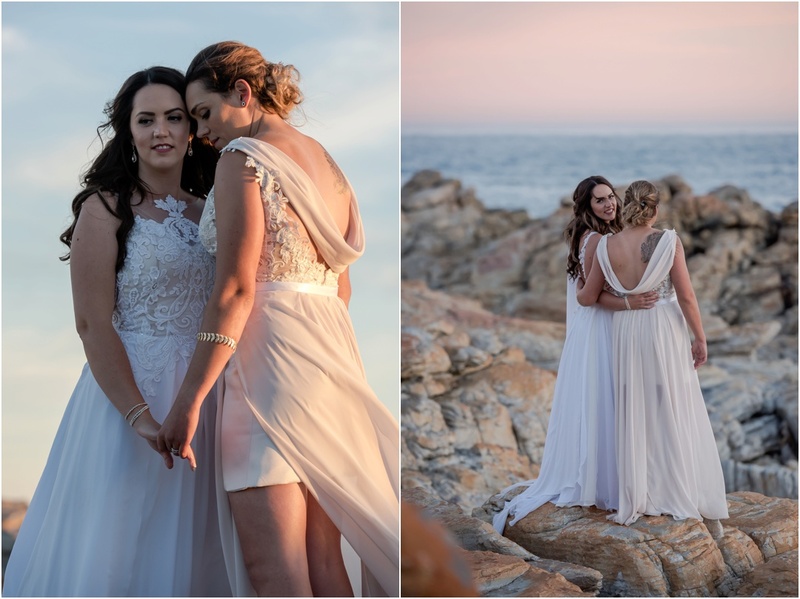 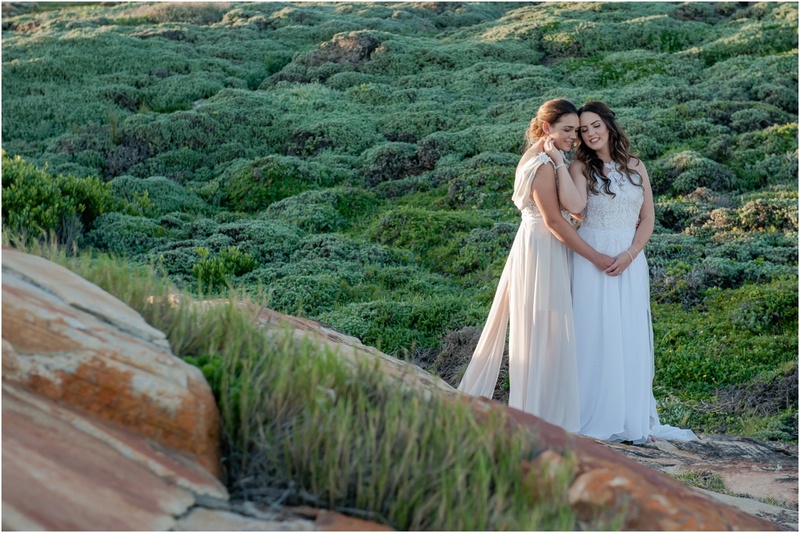 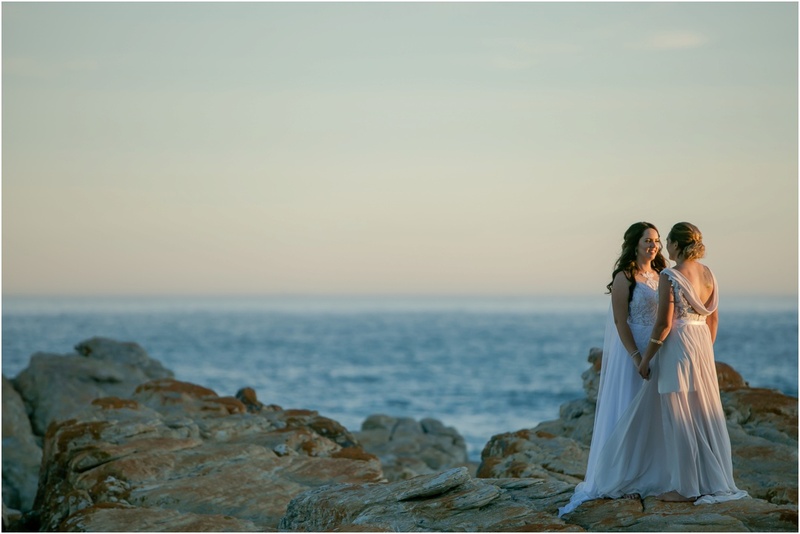 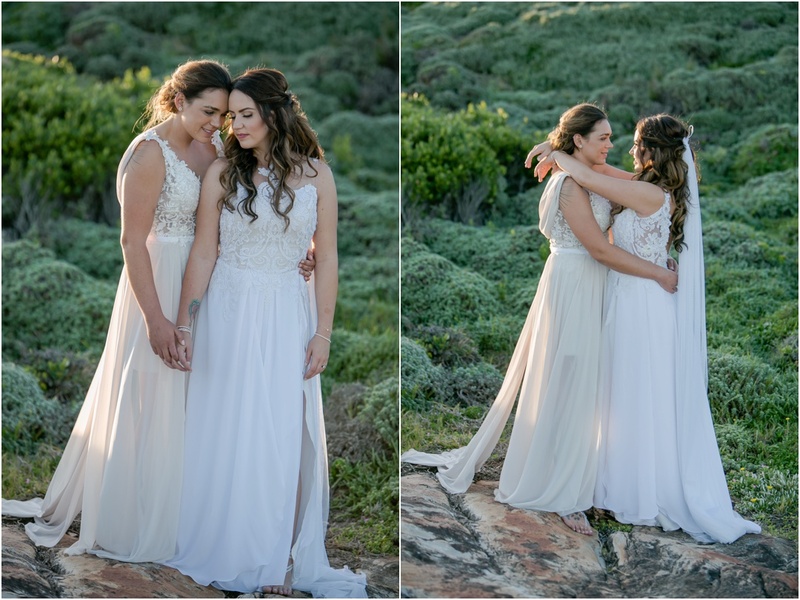 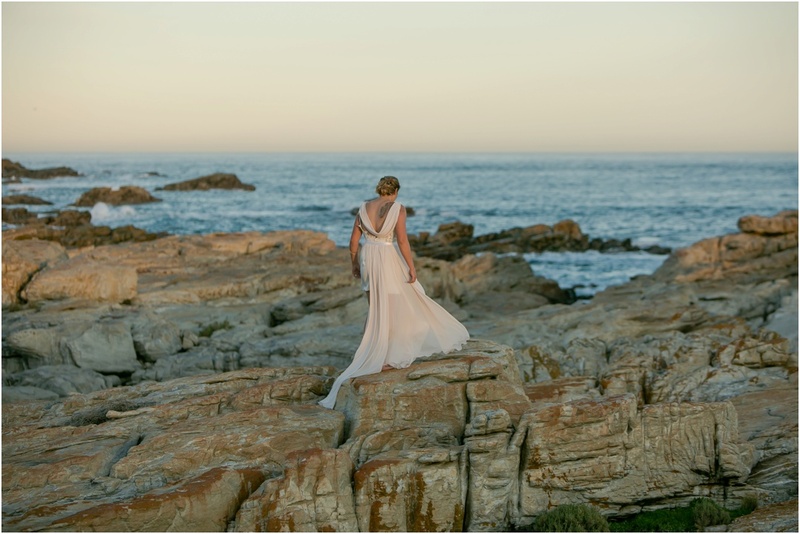 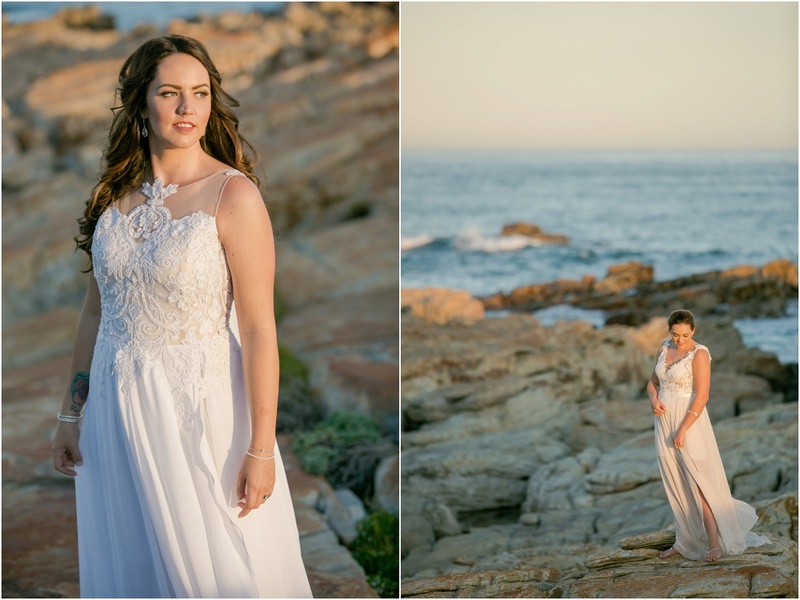 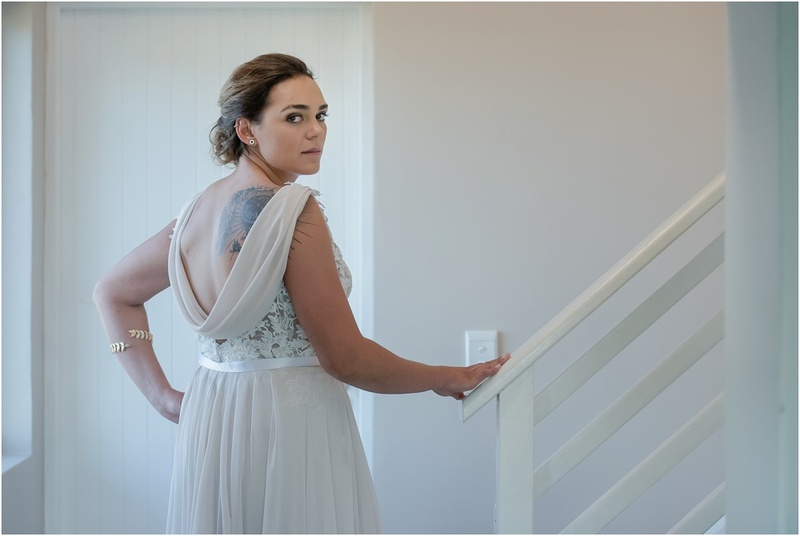 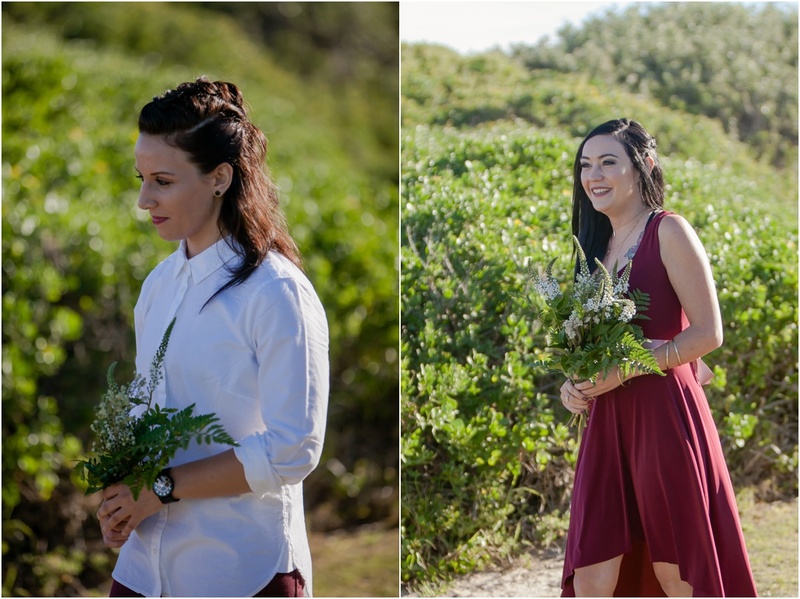 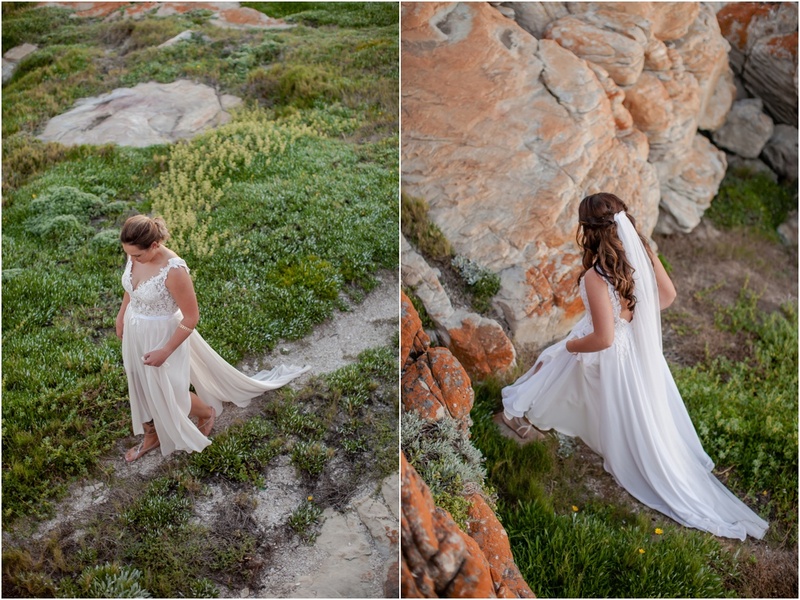 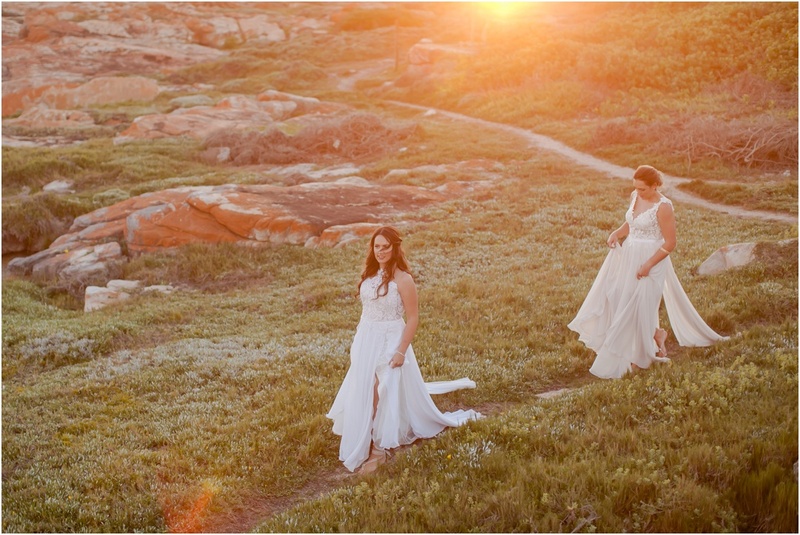 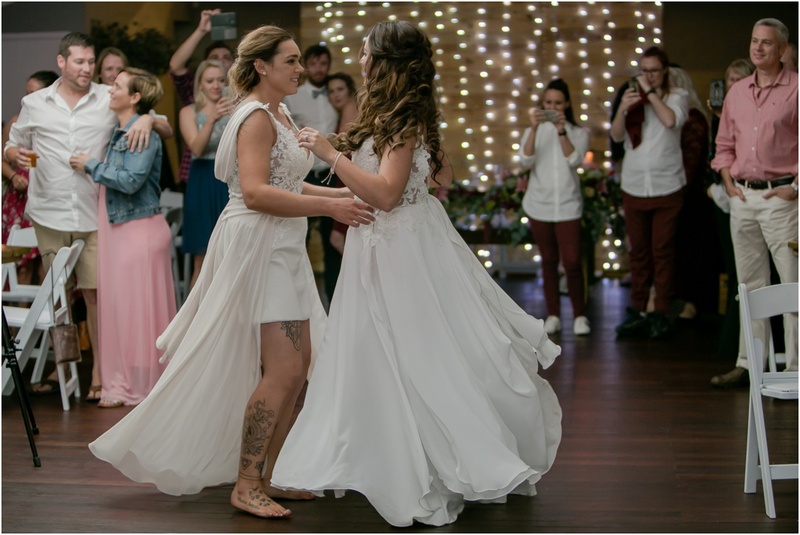 Their love of the ocean is paramount and a wedding on the coast was always on the cards. 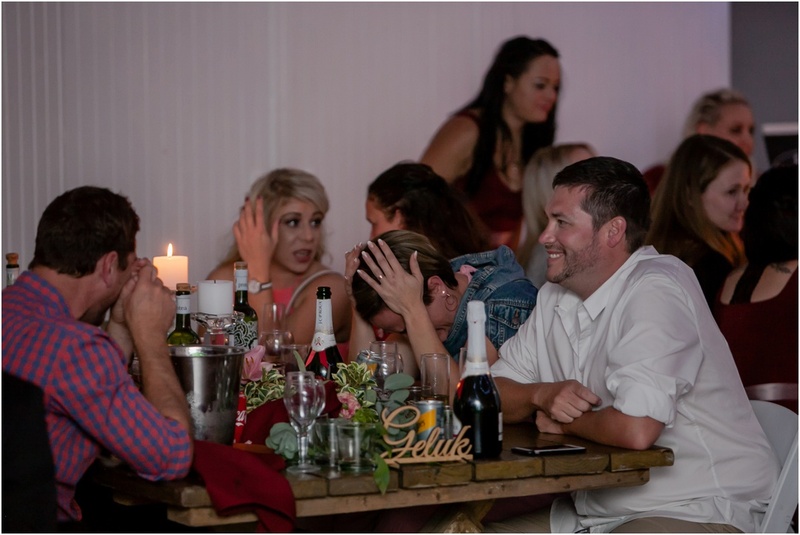 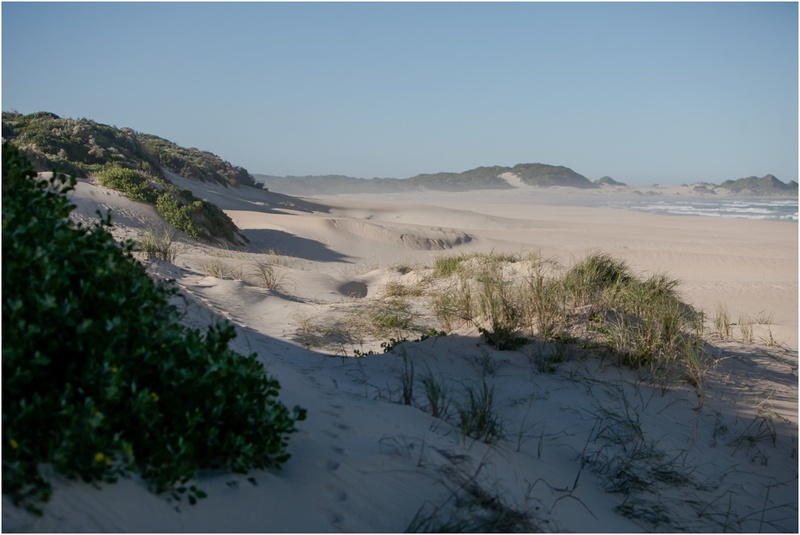 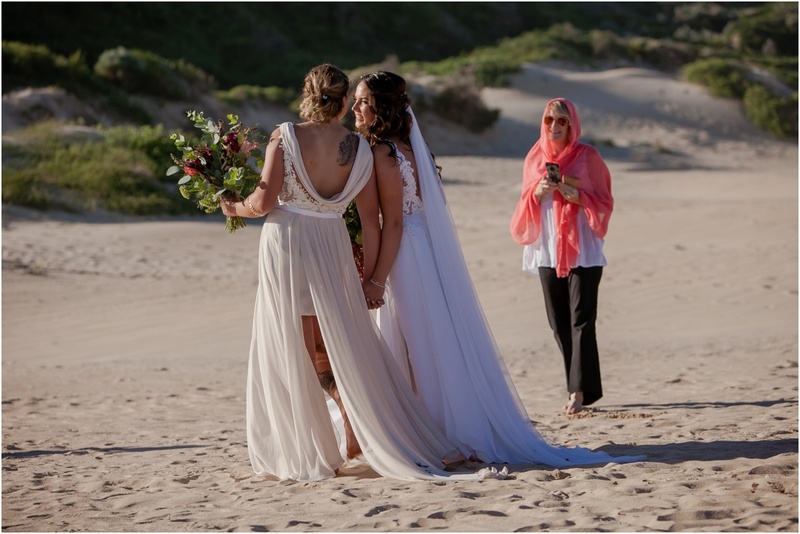 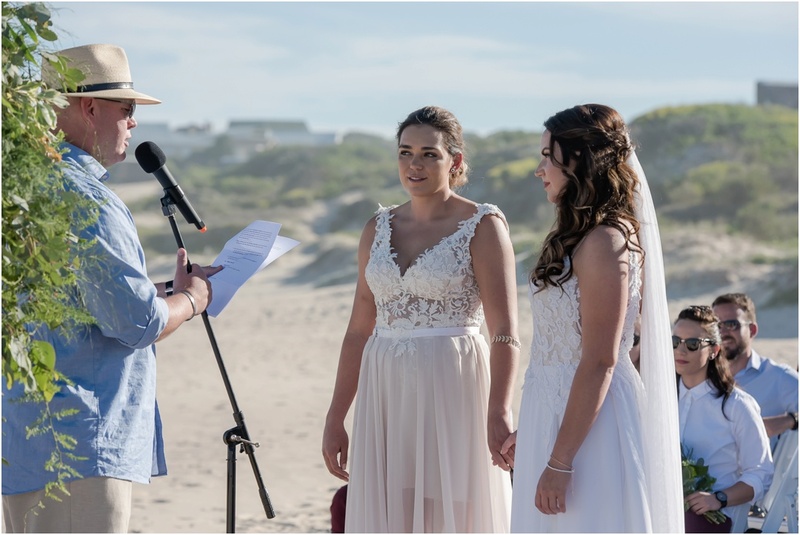 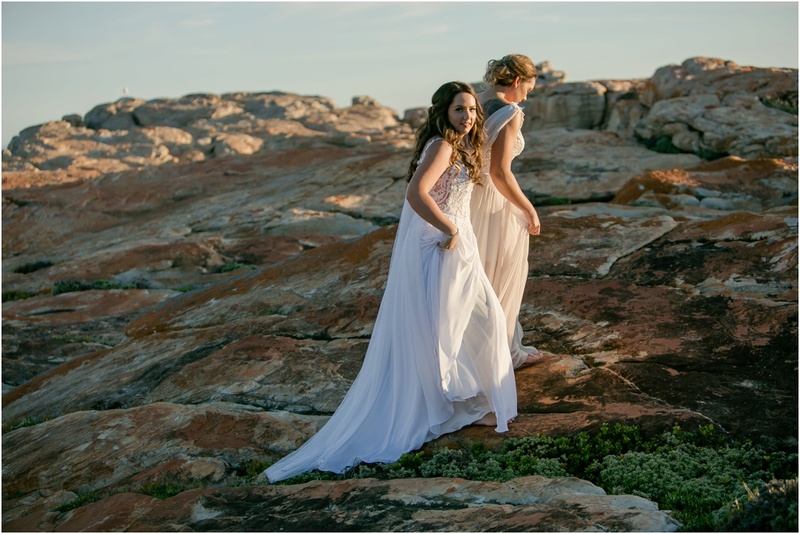 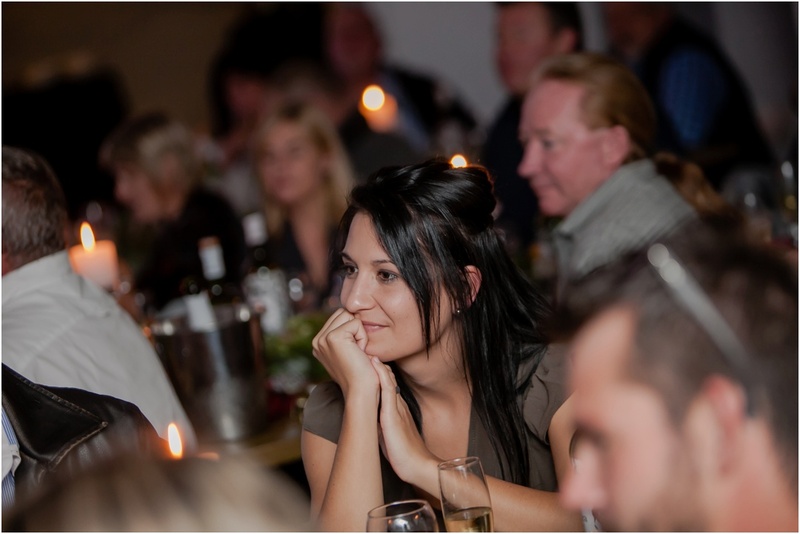 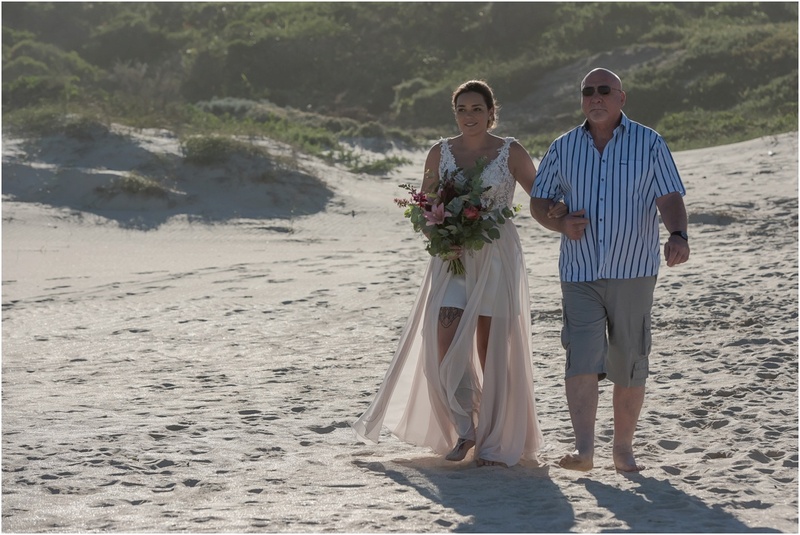 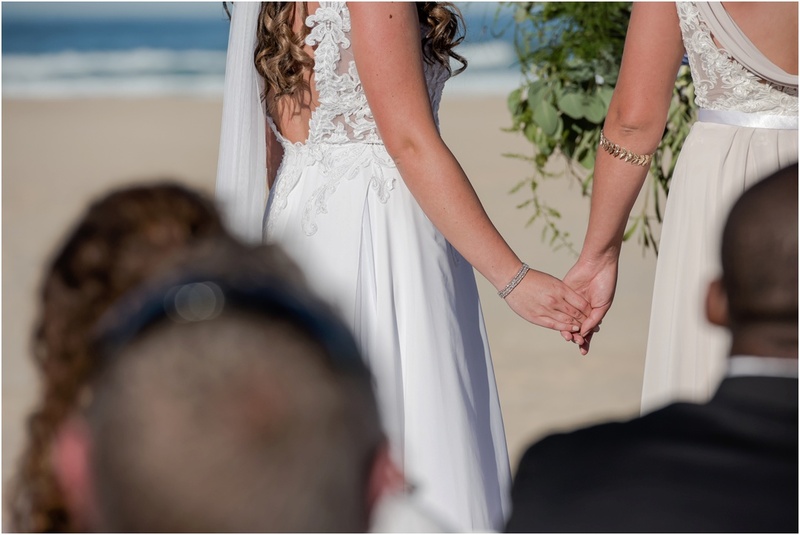 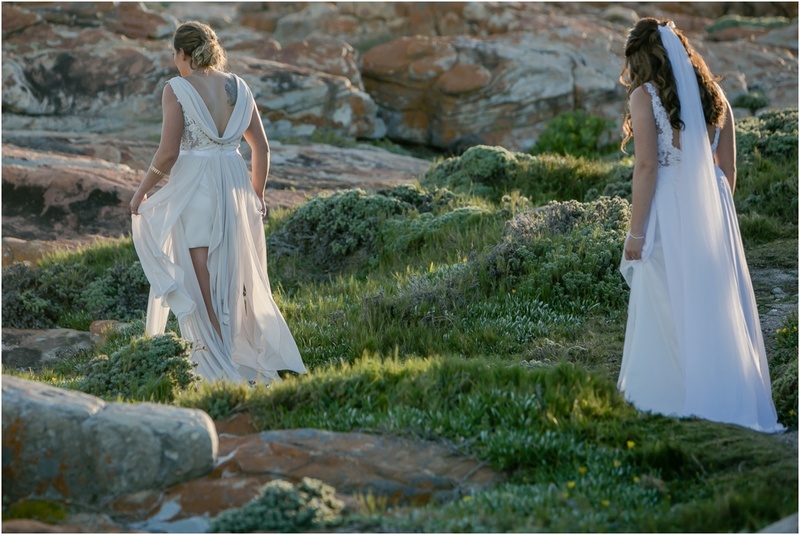 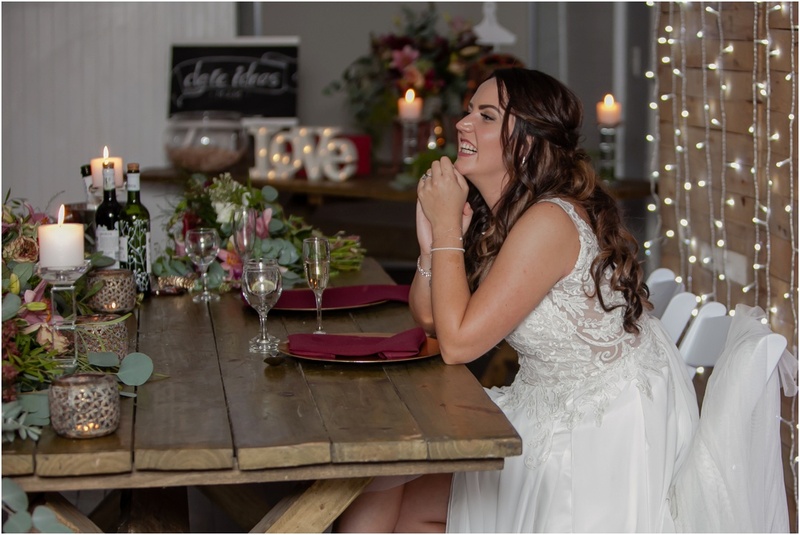 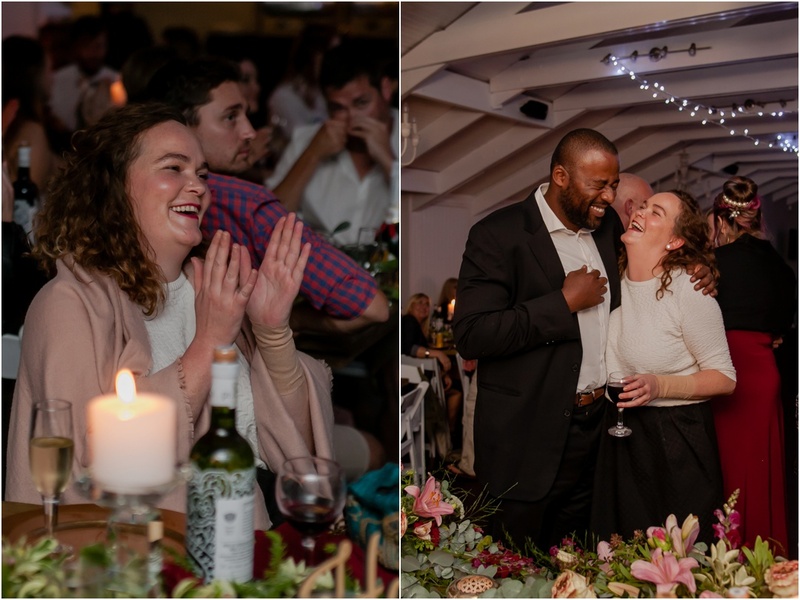 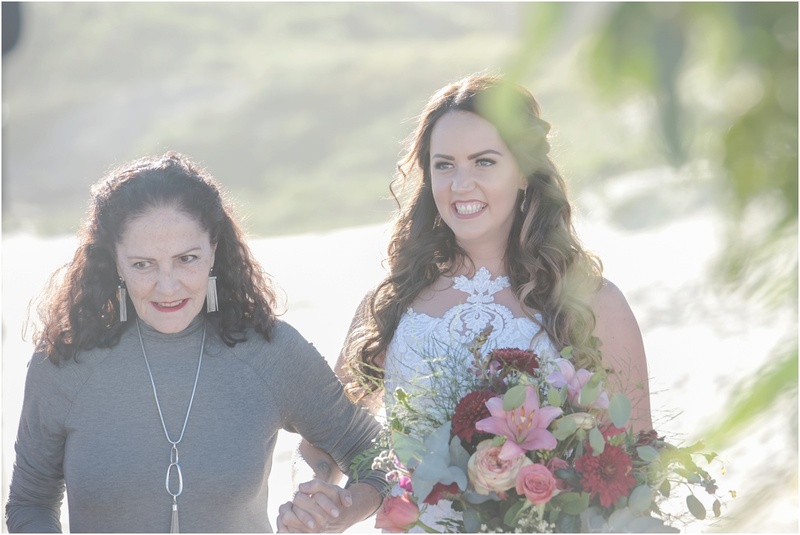 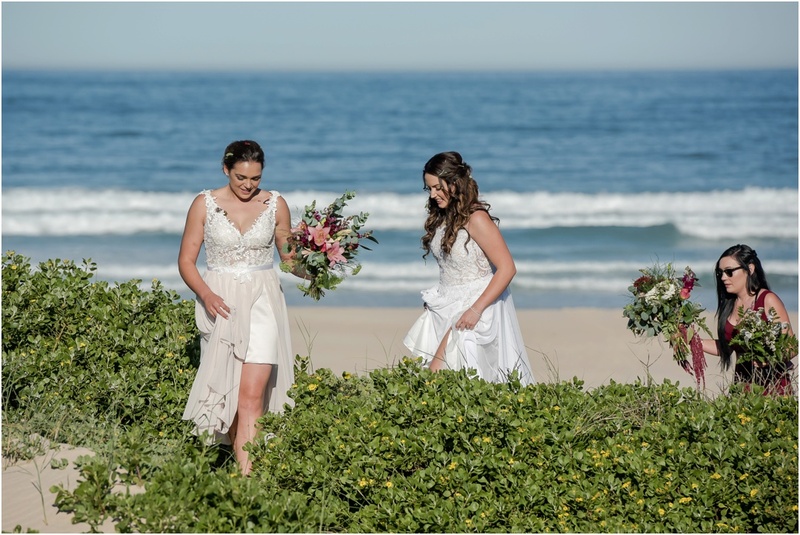 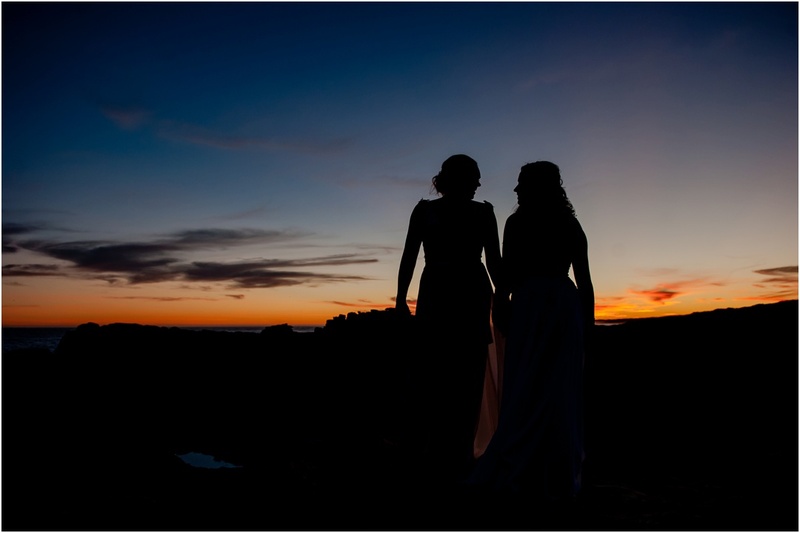 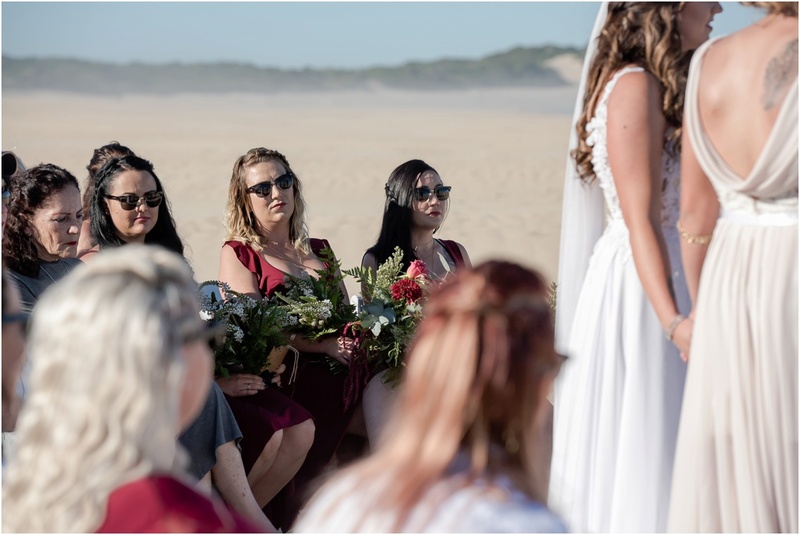 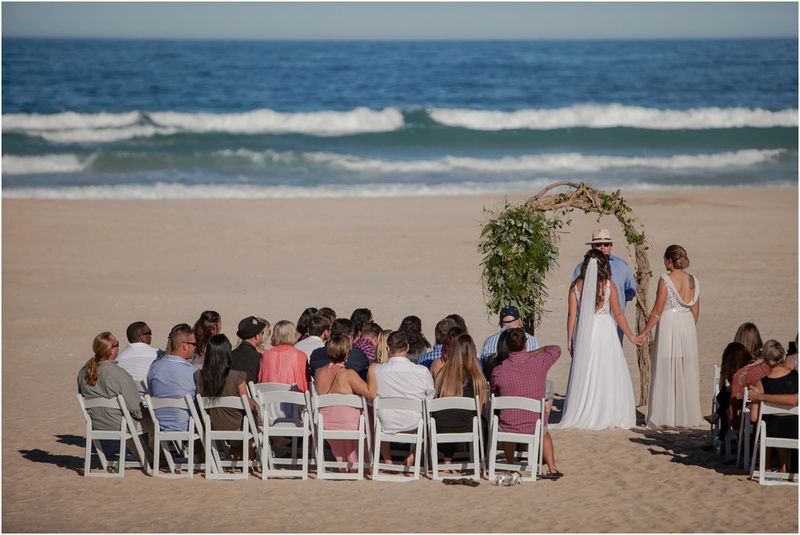 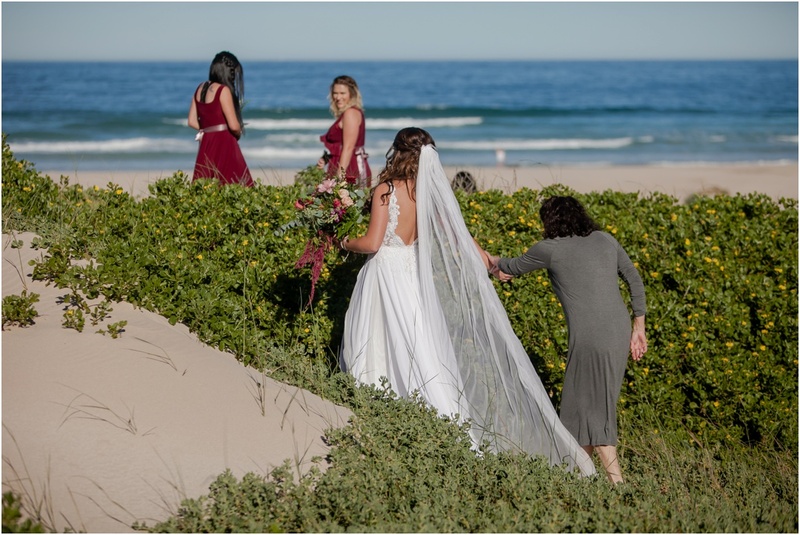 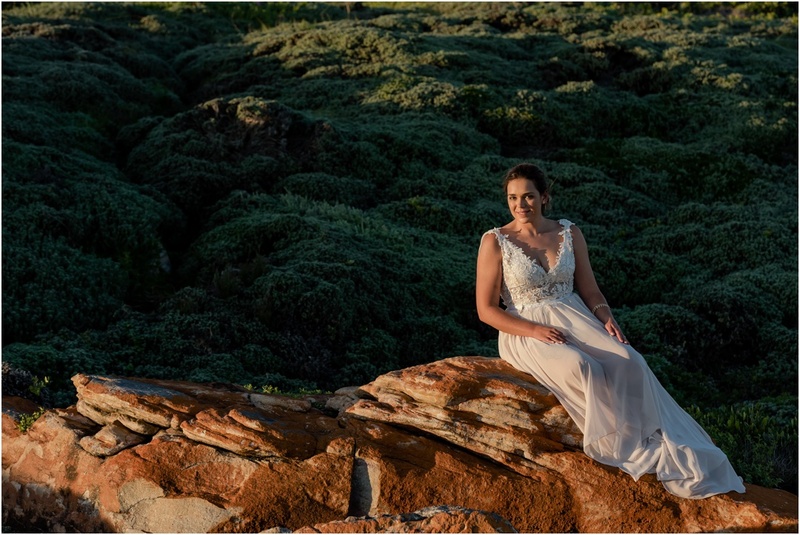 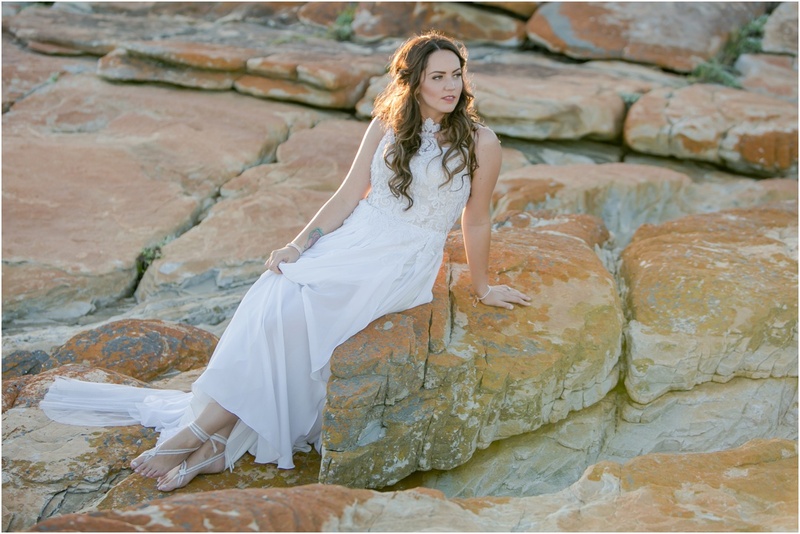 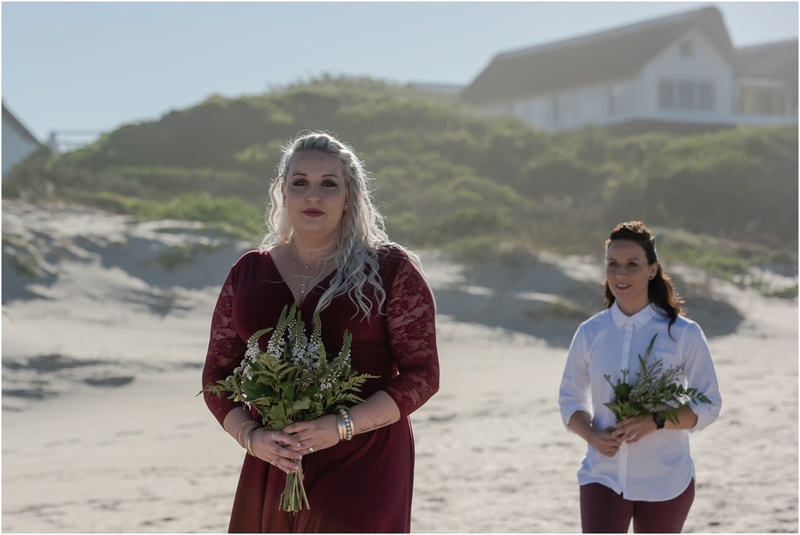 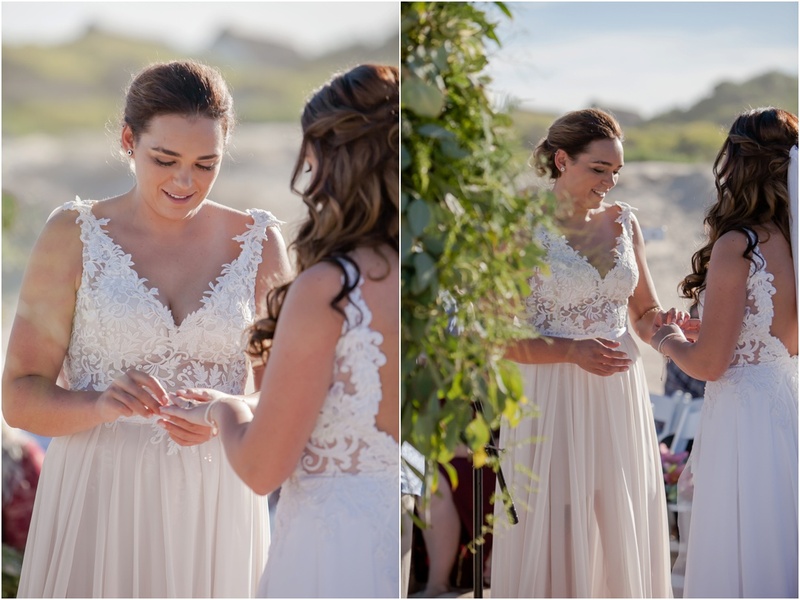 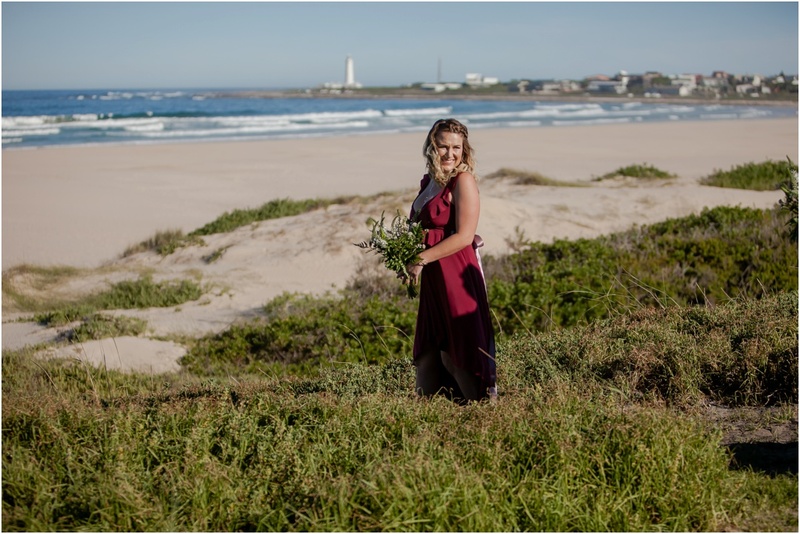 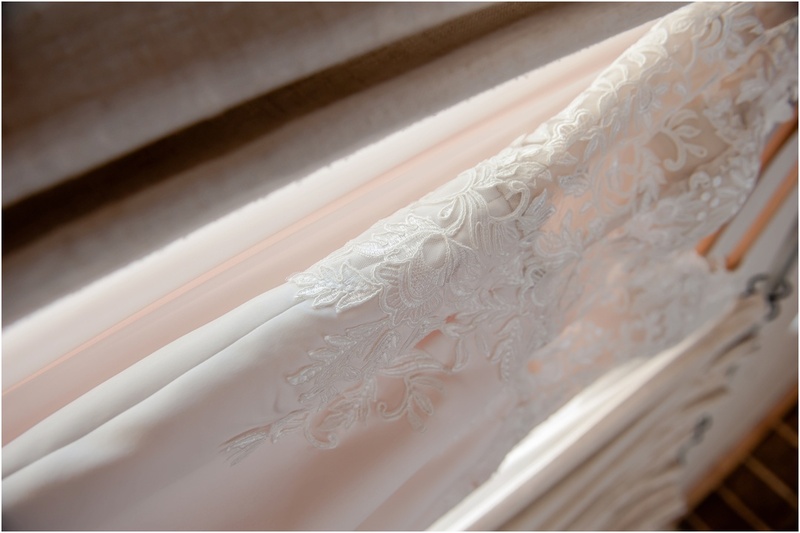 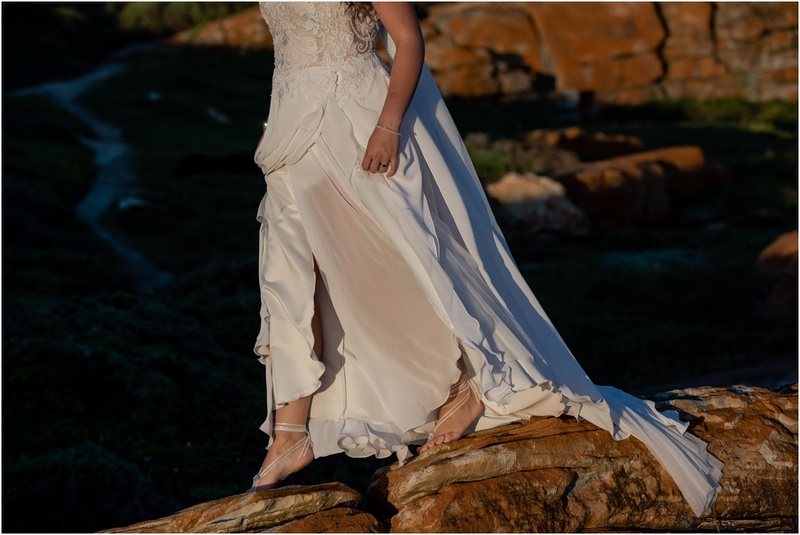 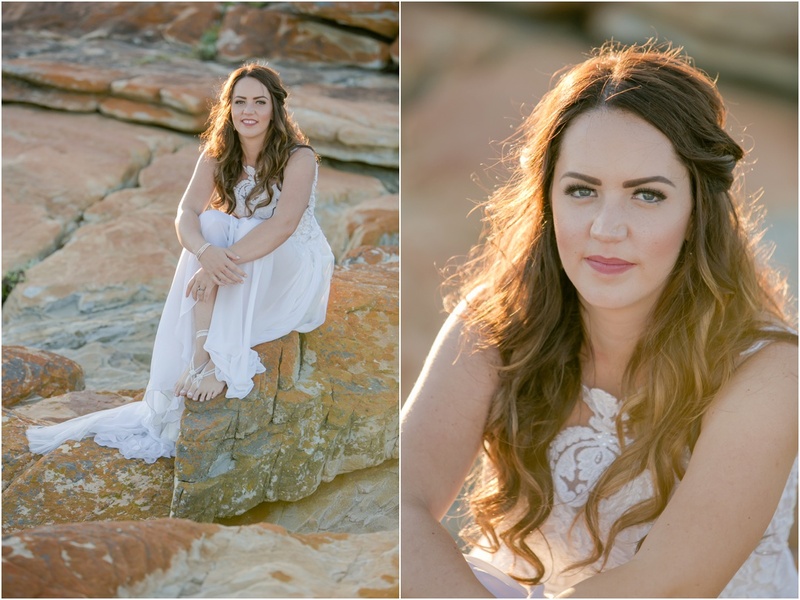 Planning a wedding on the beach is always a gamble, especially in the Eastern Cape where the wind can ruin the best of intentions. 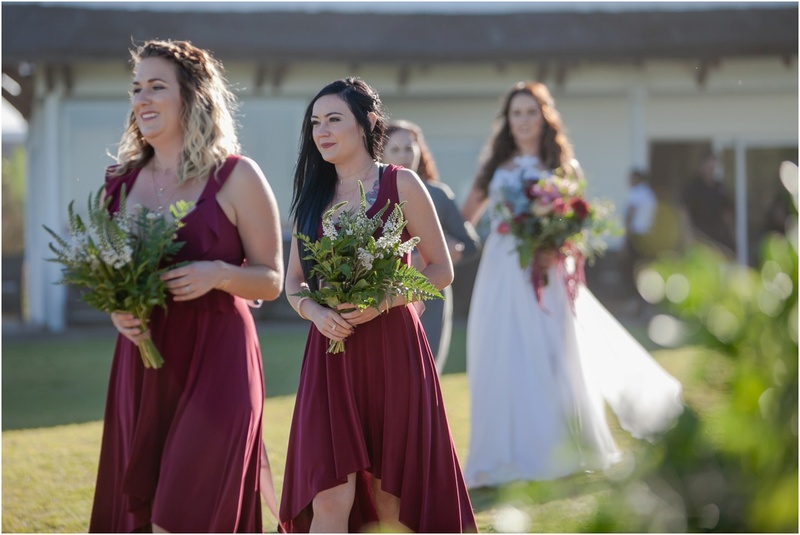 The 5th Of May however was a picture perfect Autumn day. 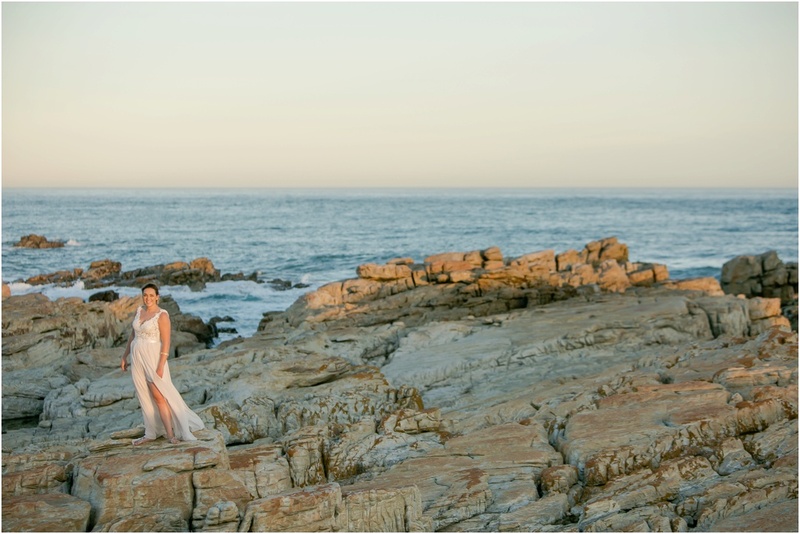 Beautiful clear skies with hardly any wind to speak of. 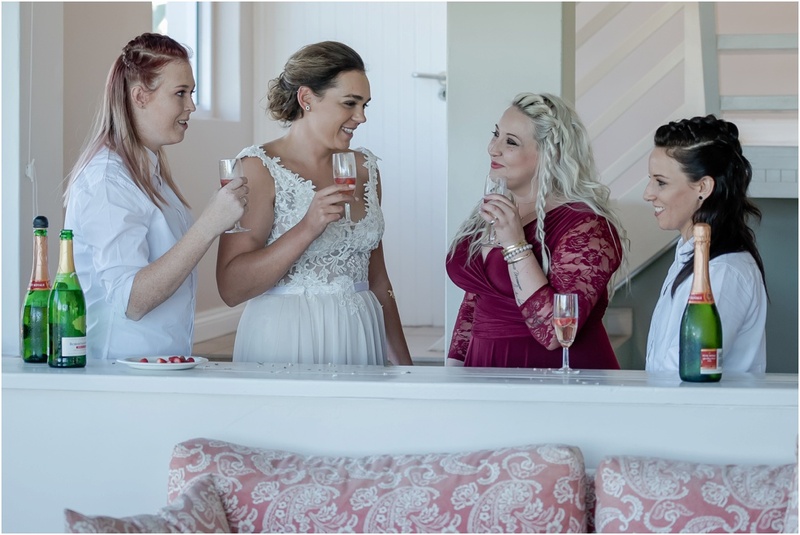 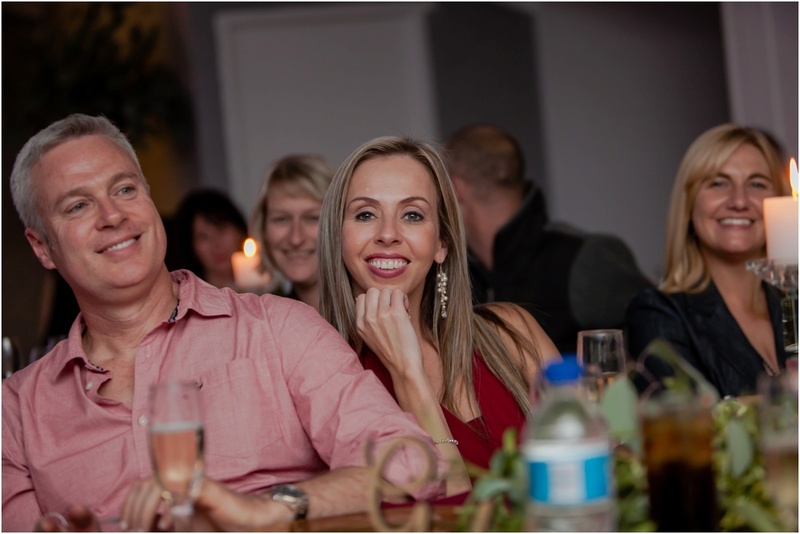 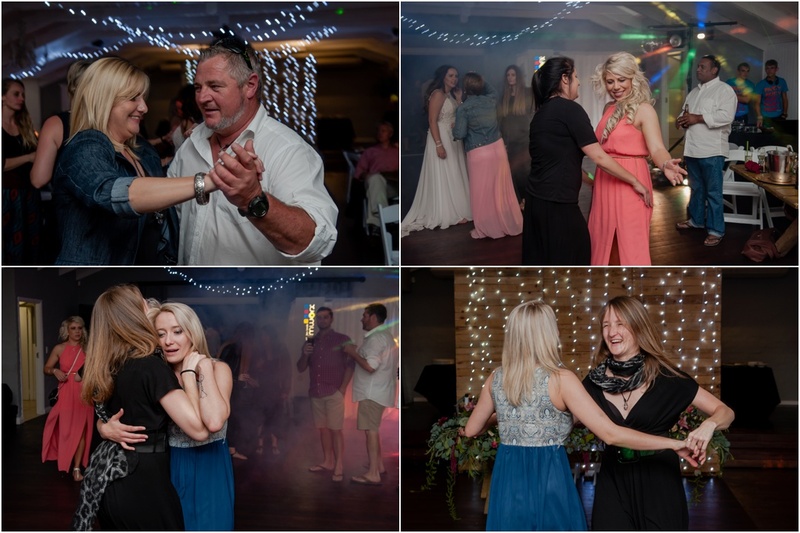 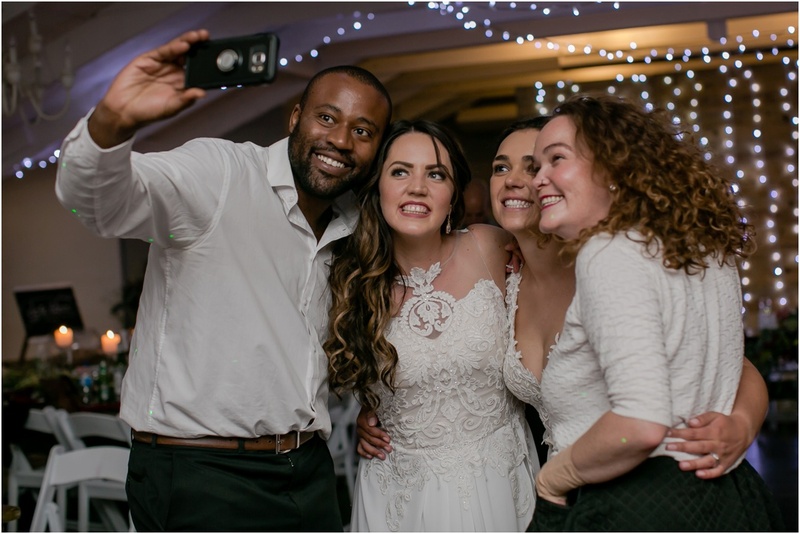 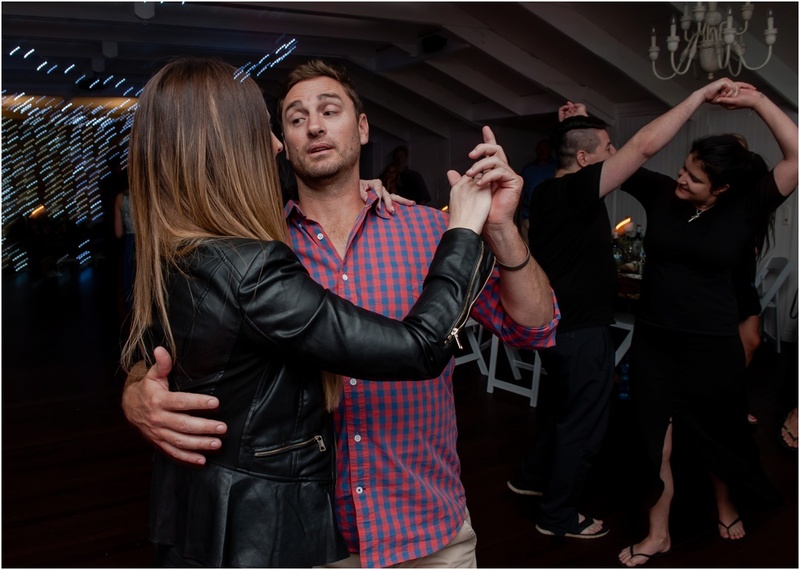 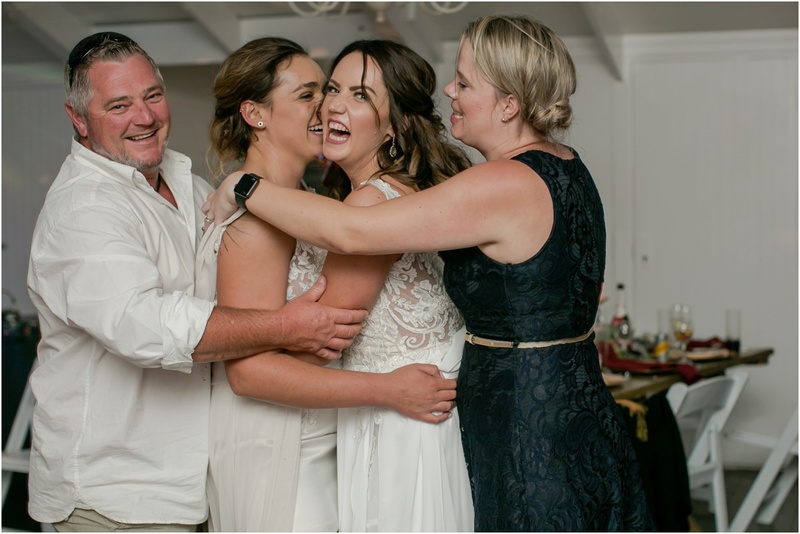 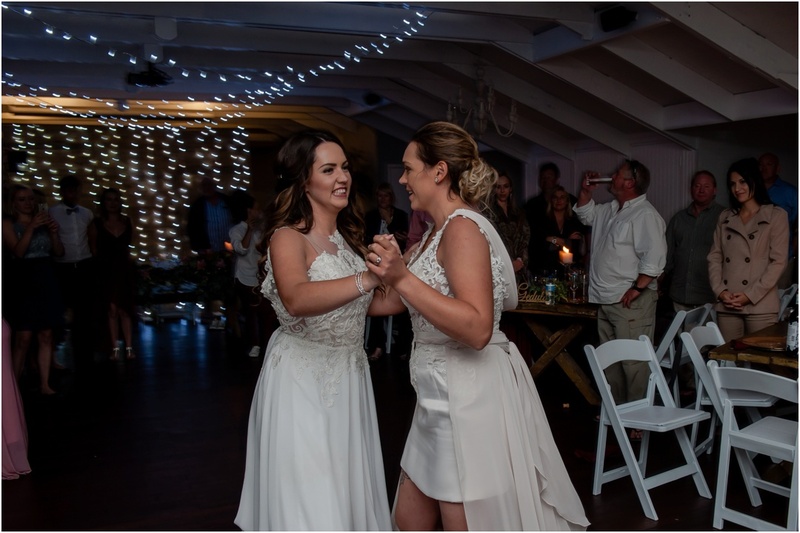 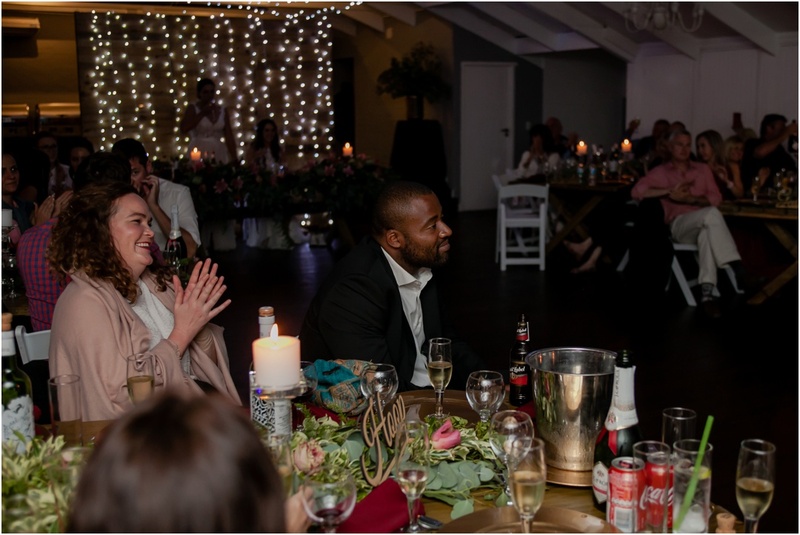 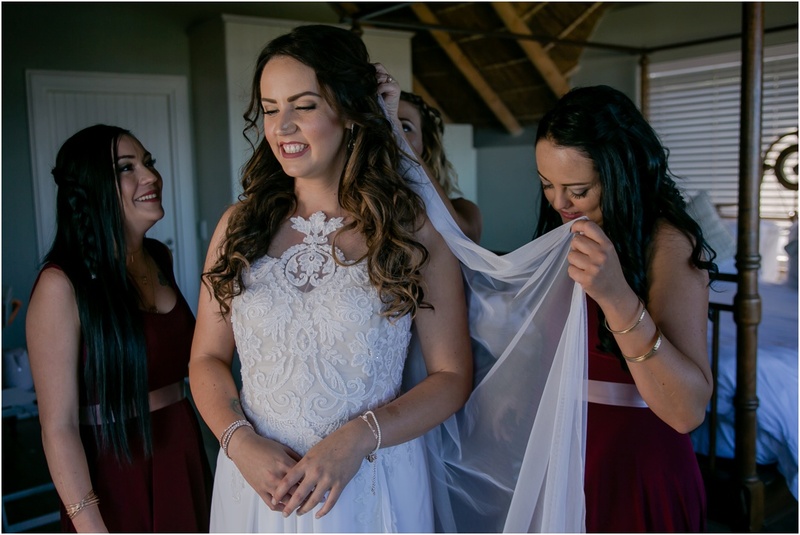 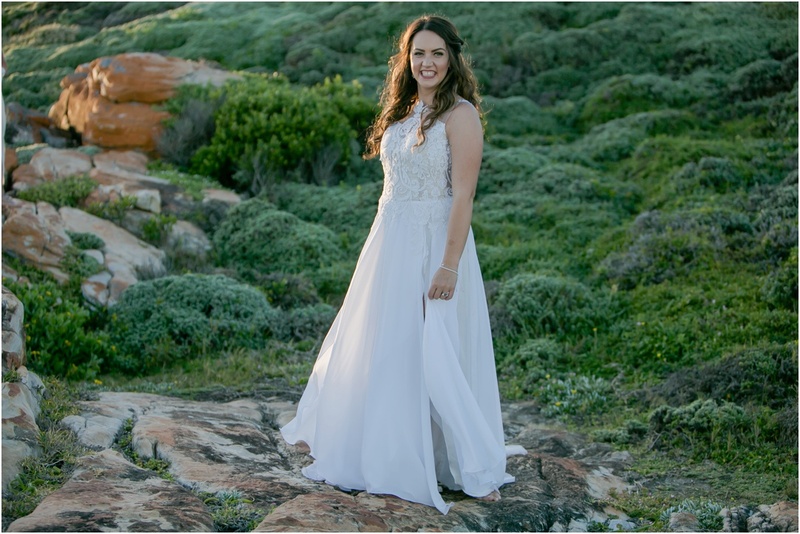 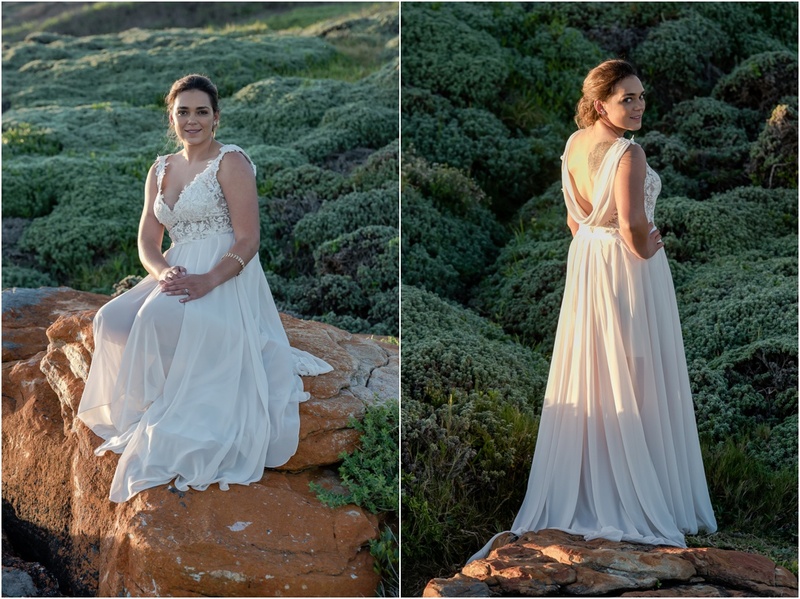 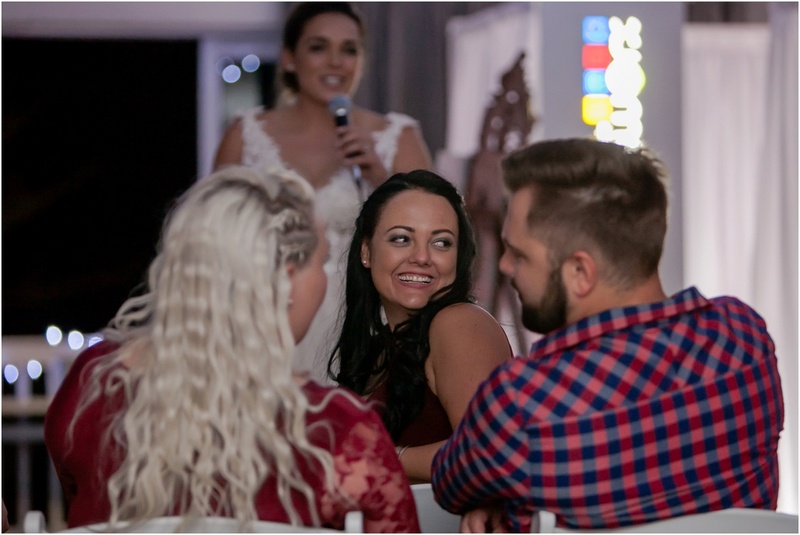 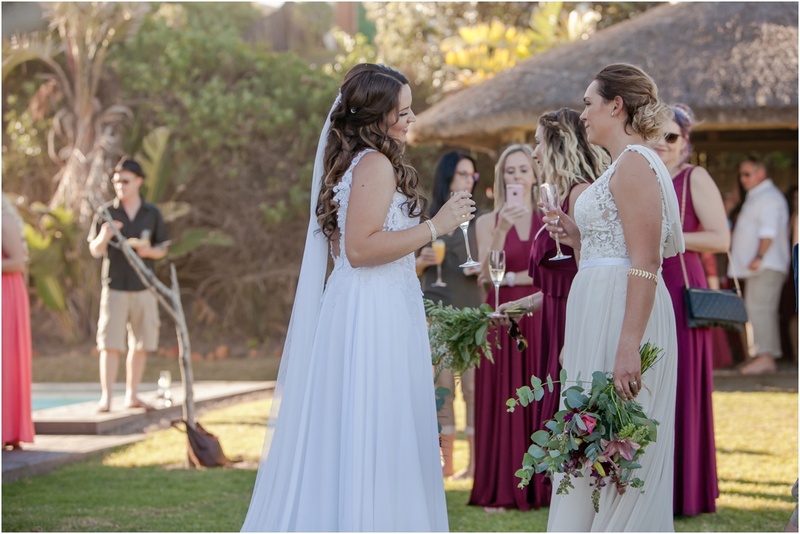 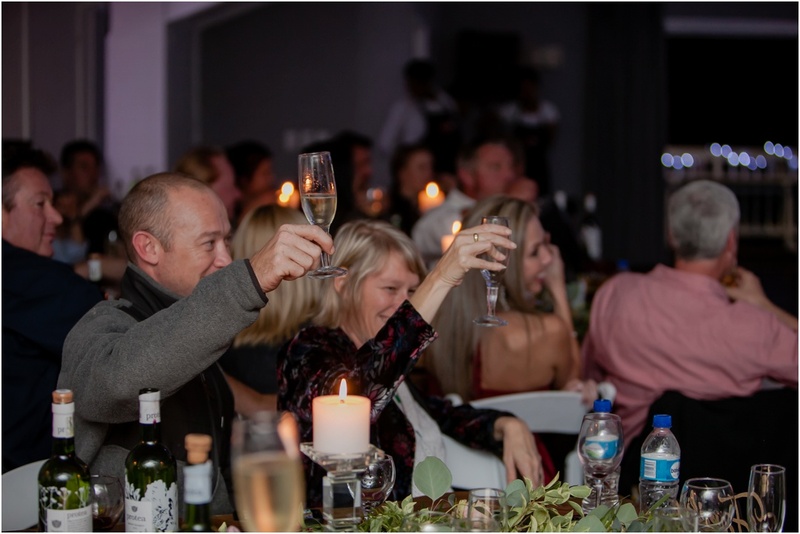 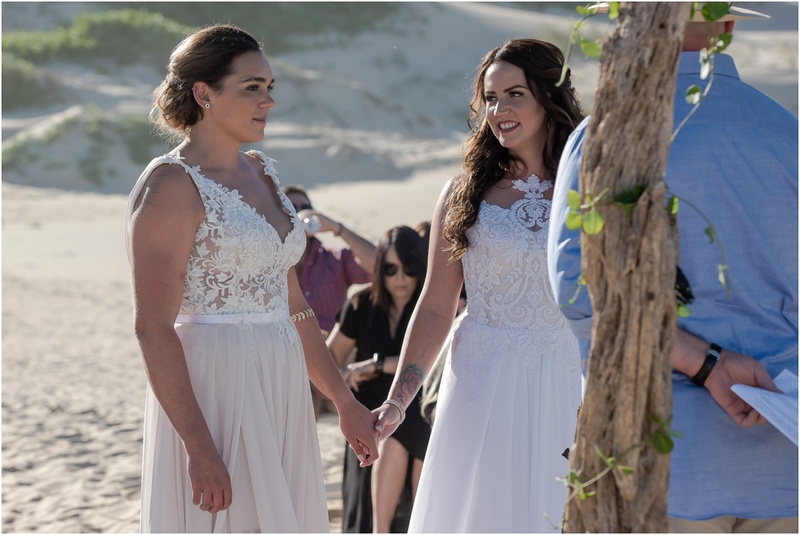 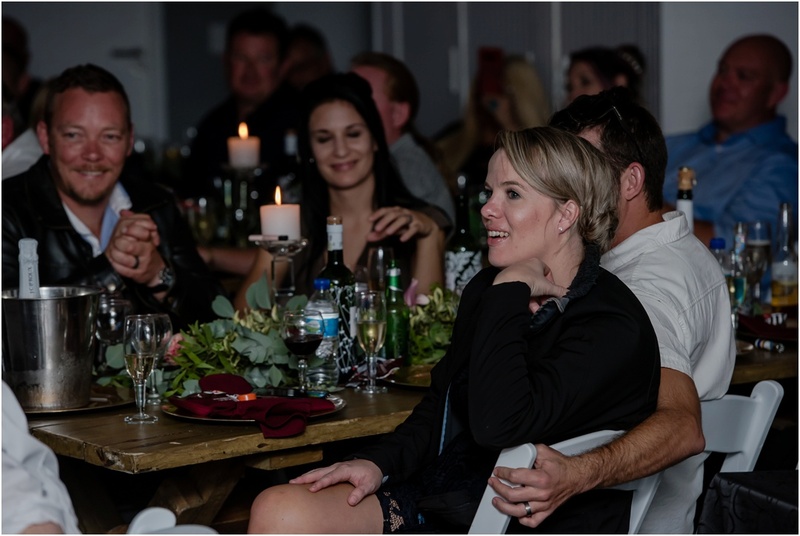 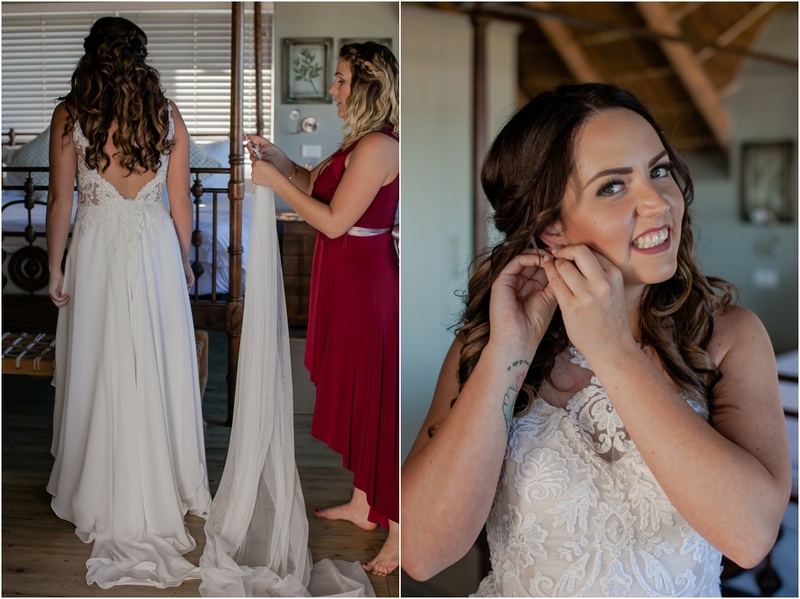 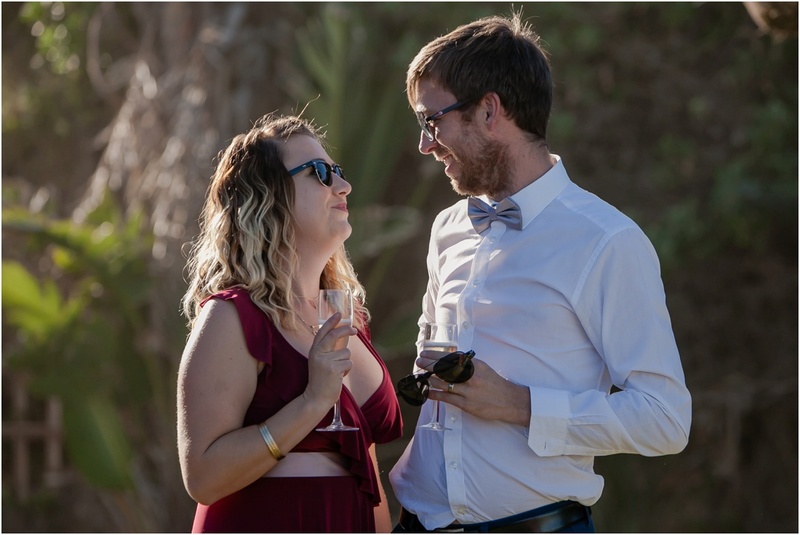 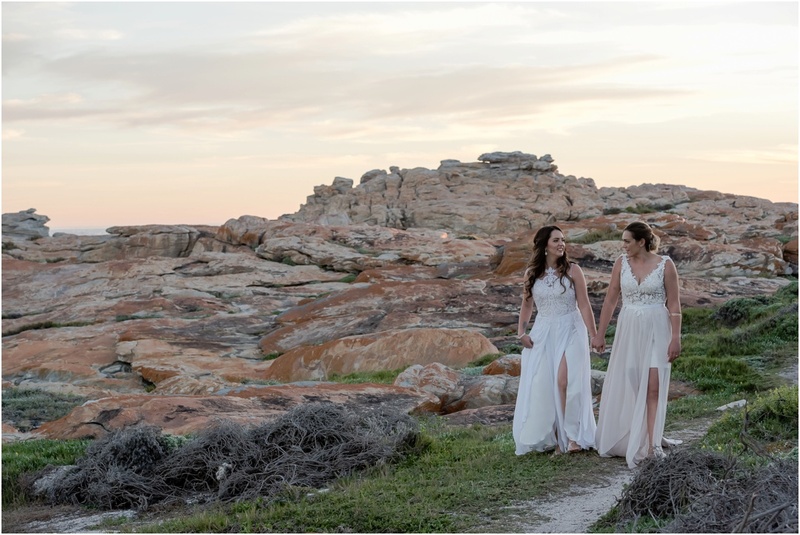 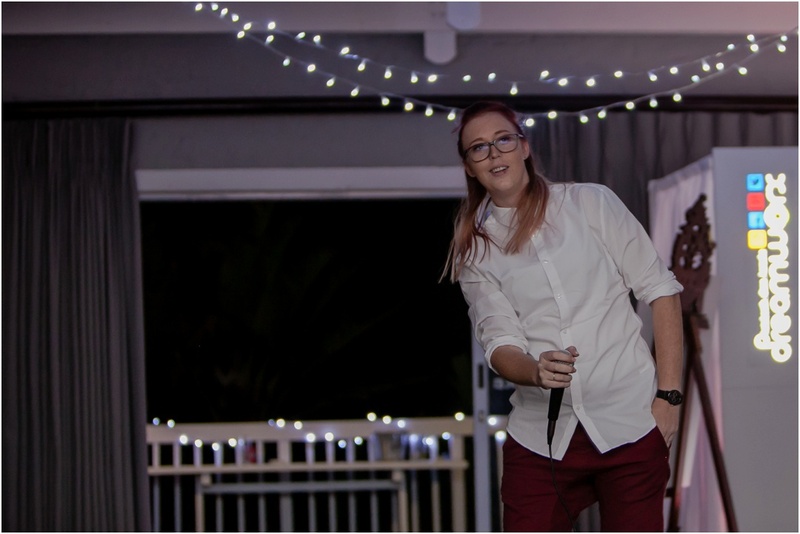 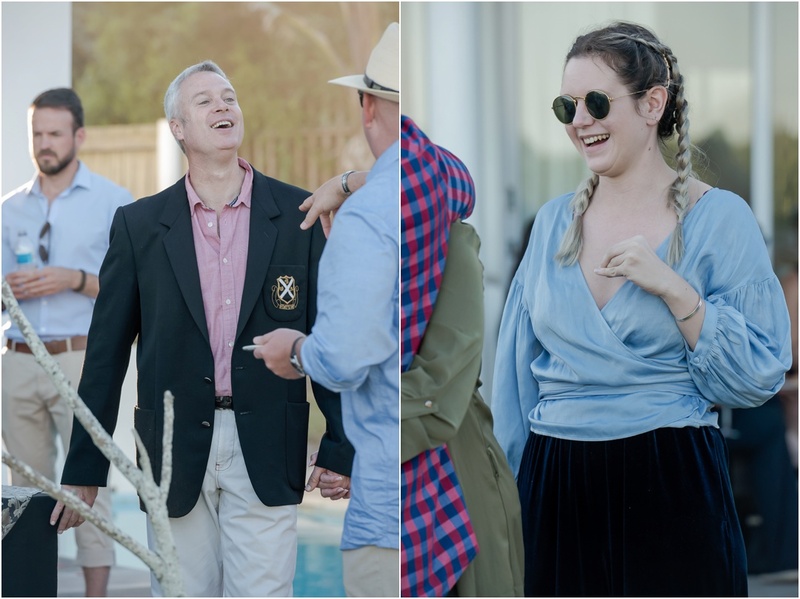 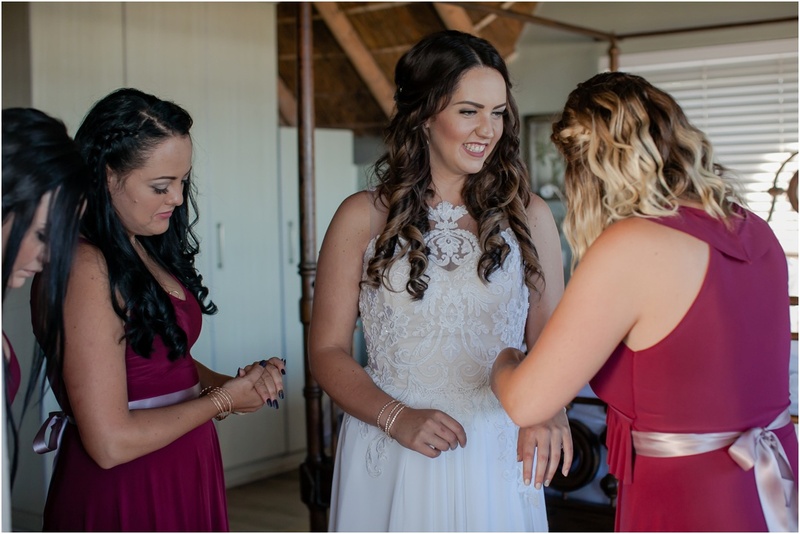 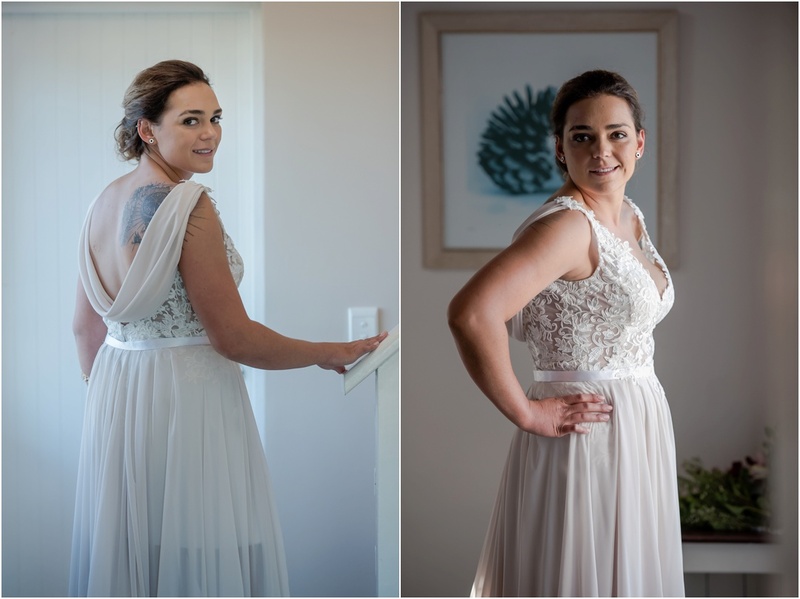 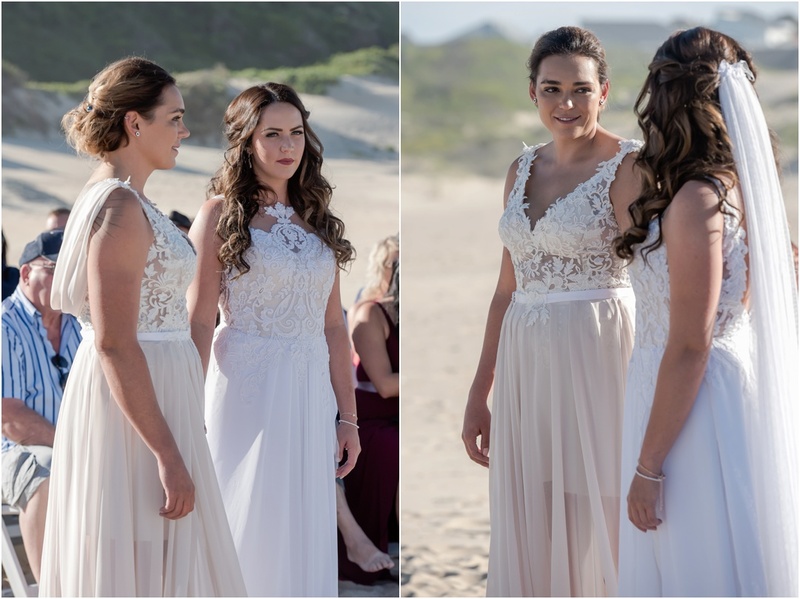 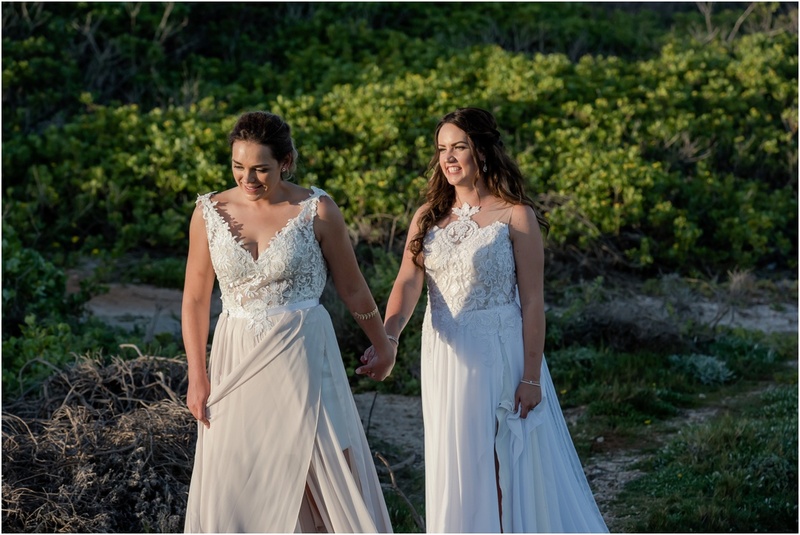 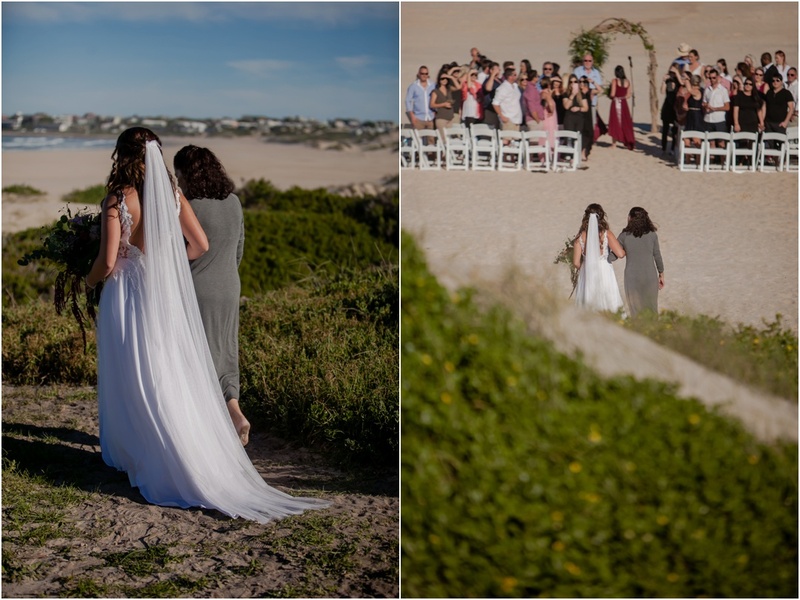 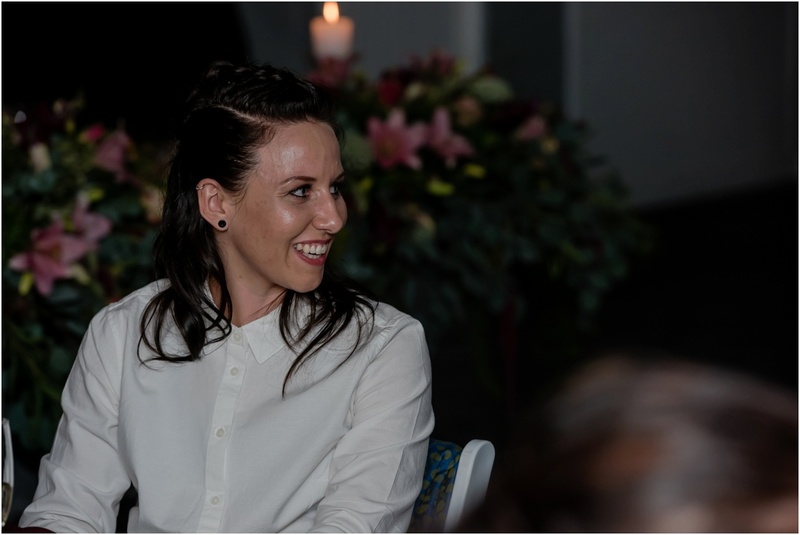 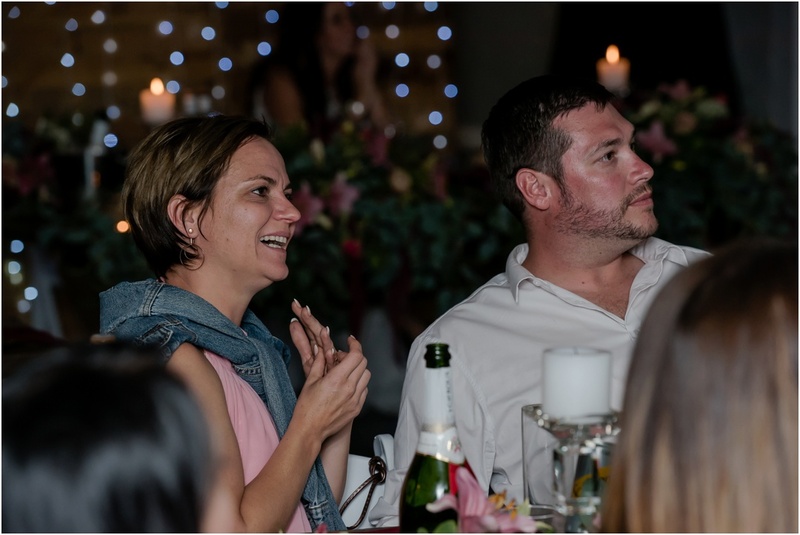 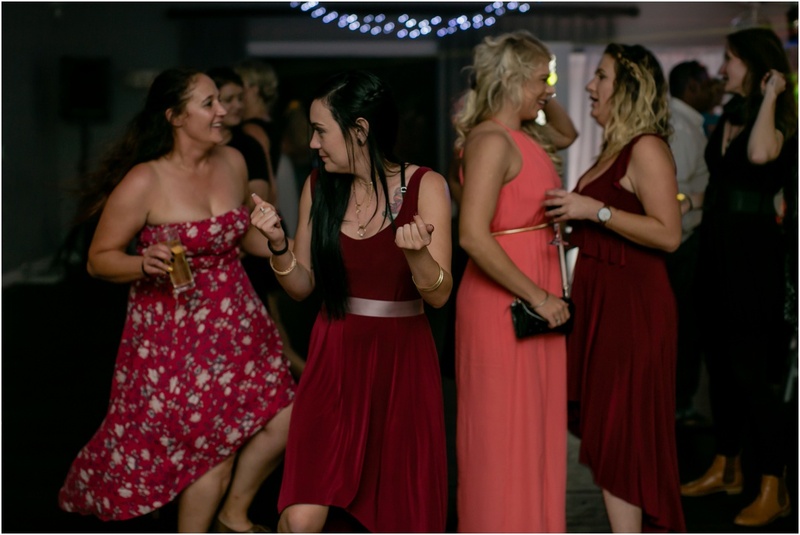 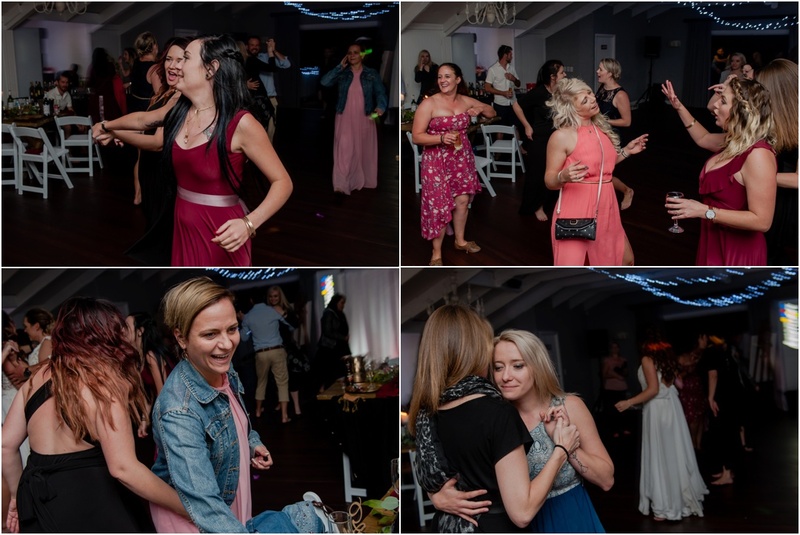 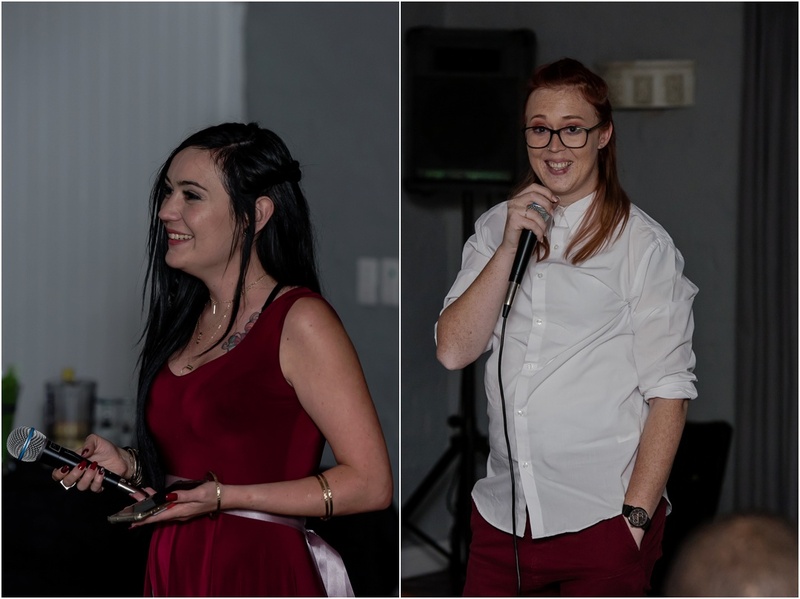 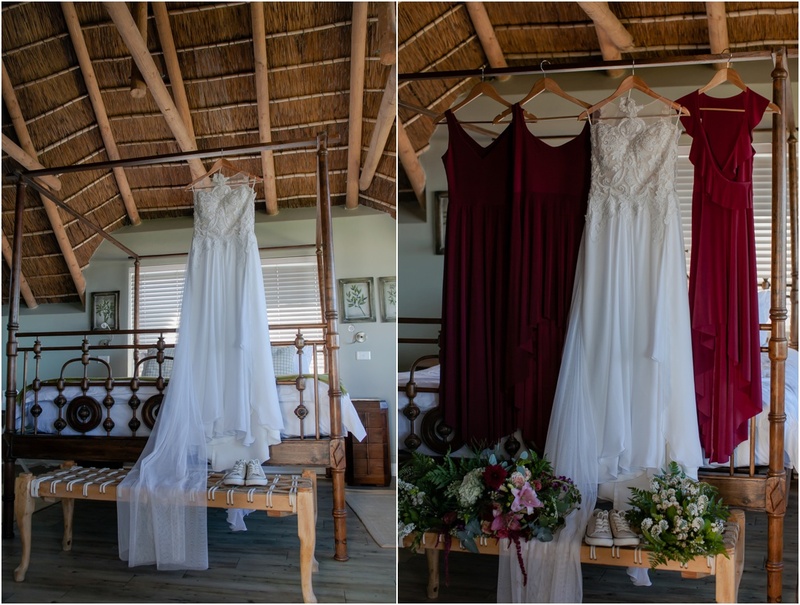 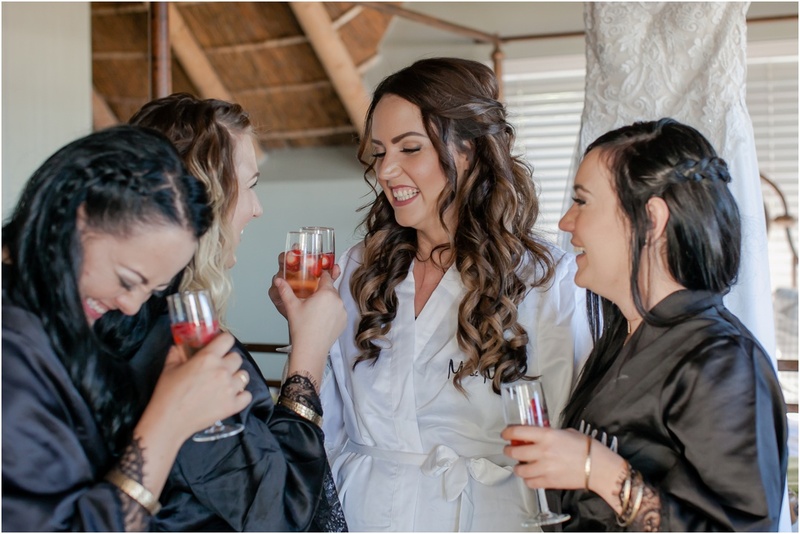 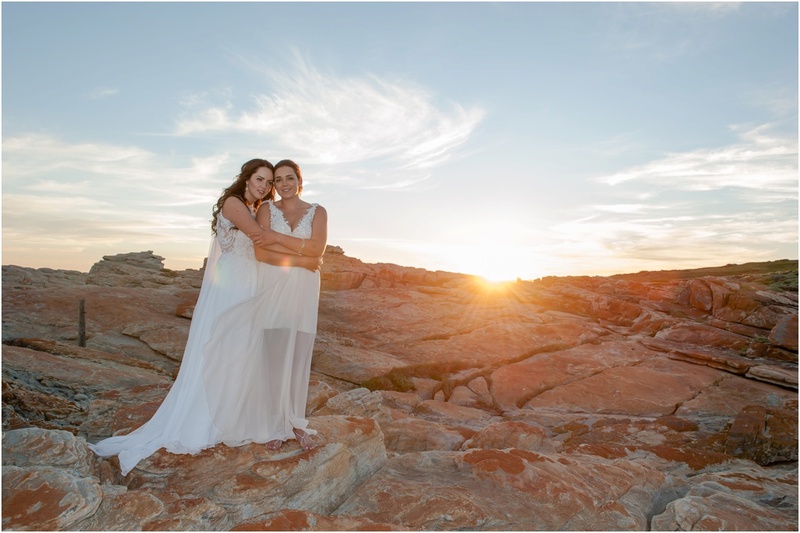 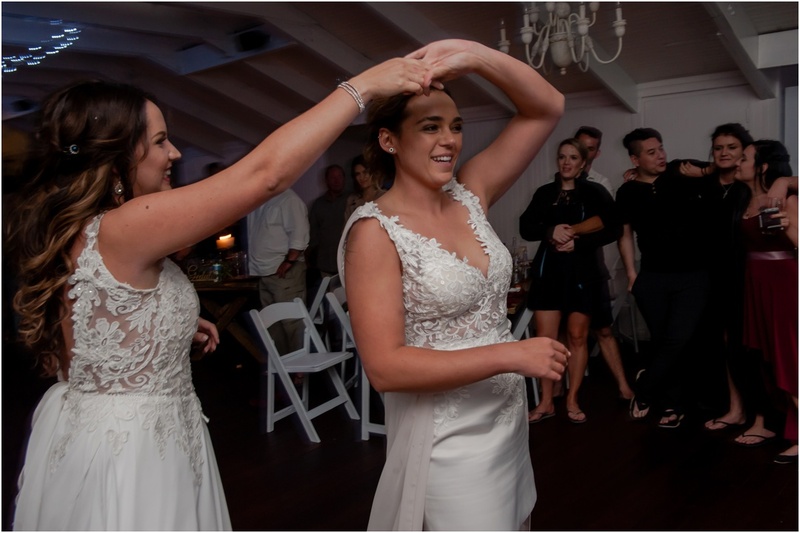 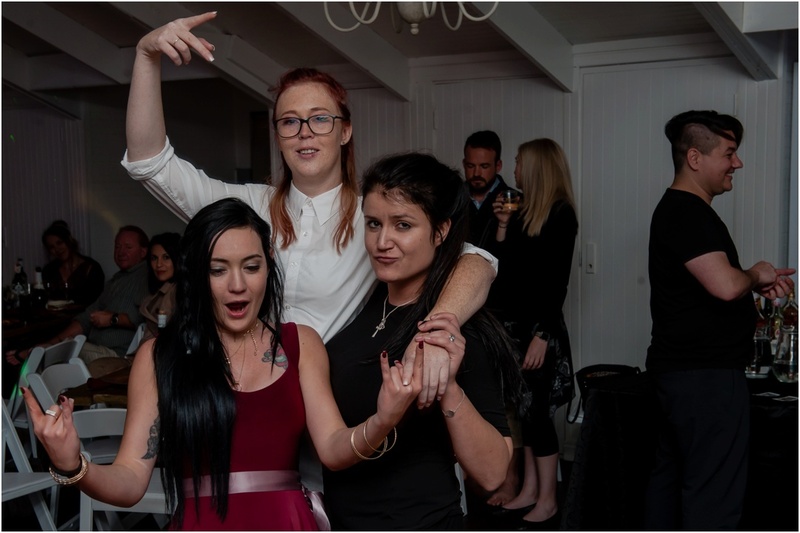 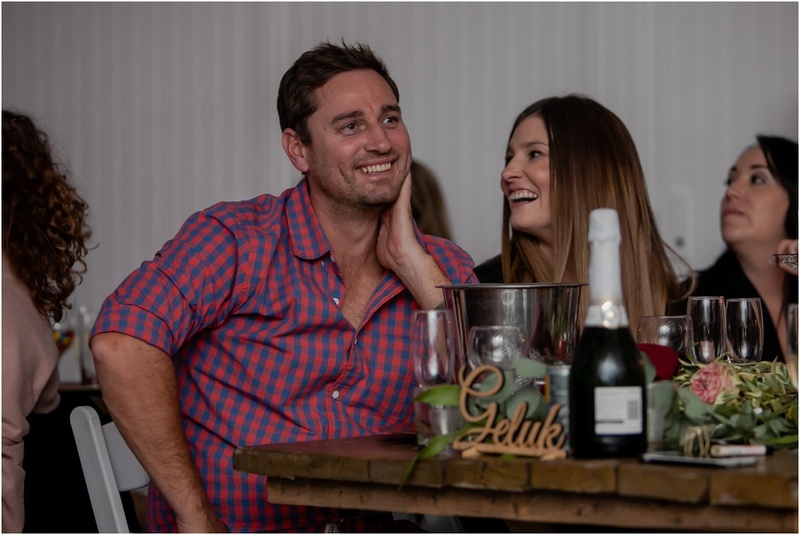 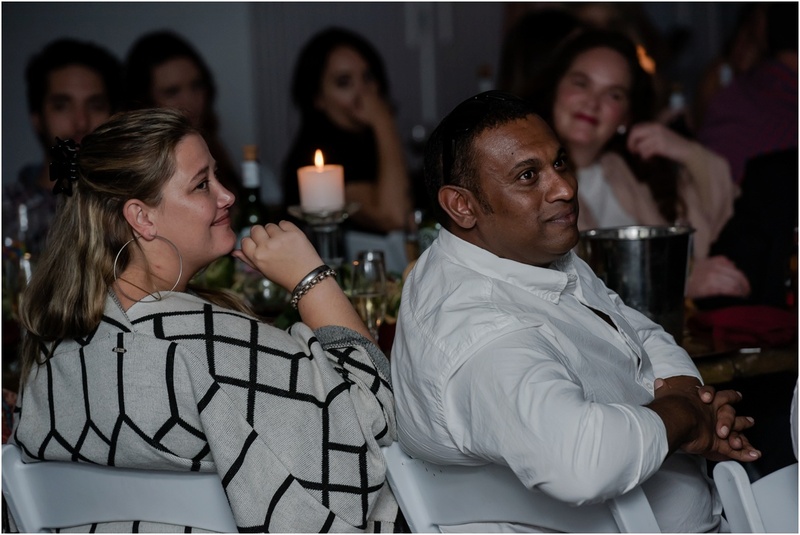 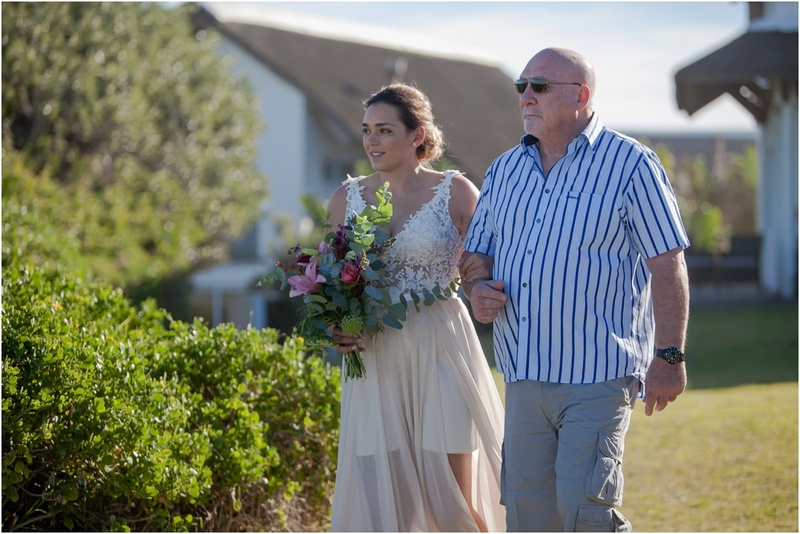 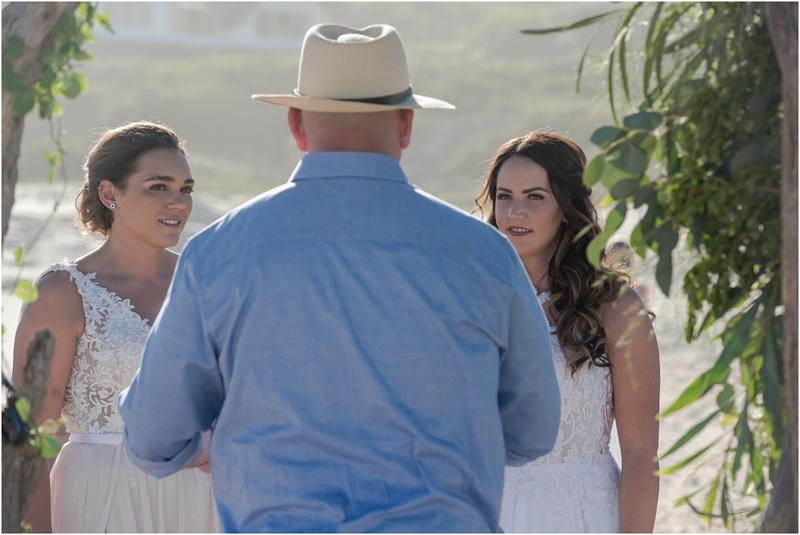 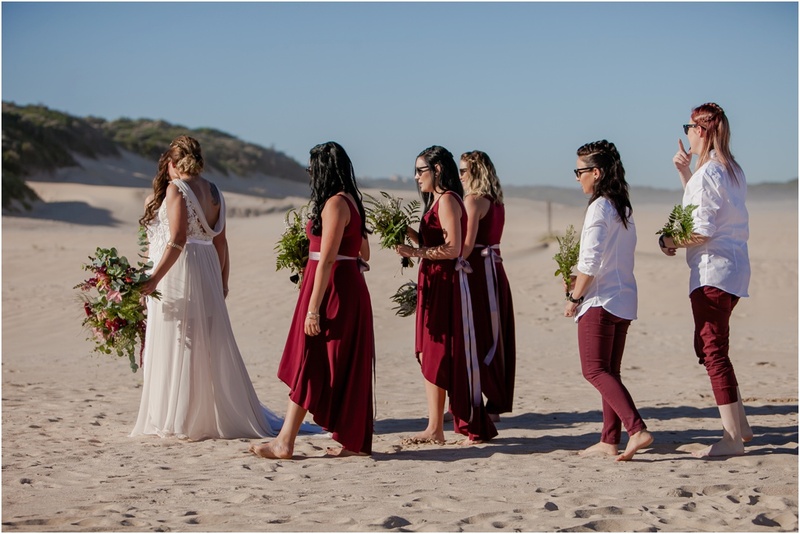 Cool enough though to ensure everyone was comfortable in their wedding attire to help Megan and Mignon get married in Cape St Francis Resort in style. 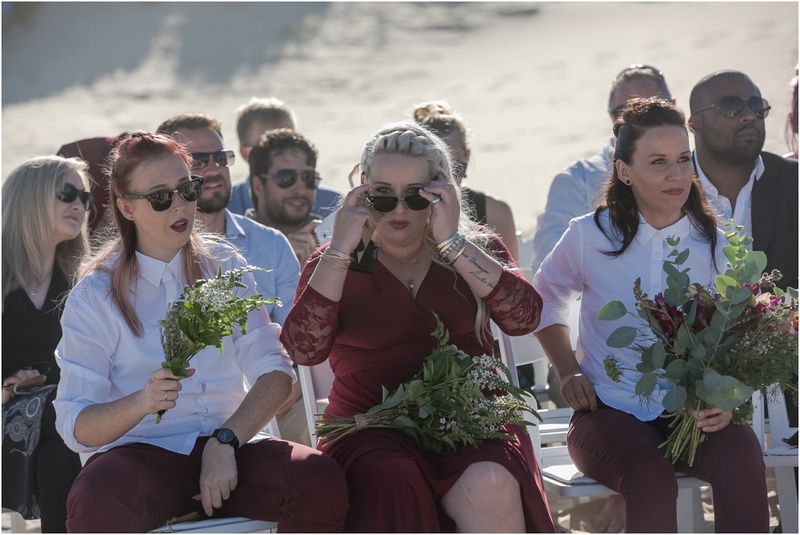 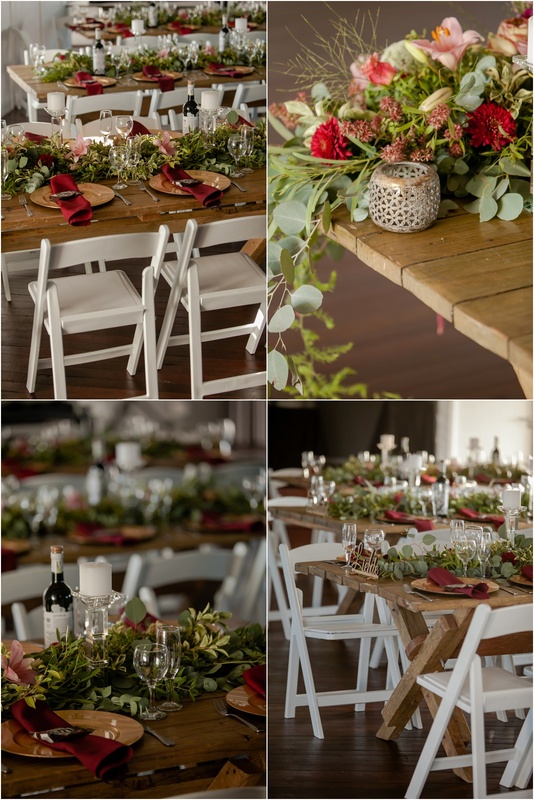 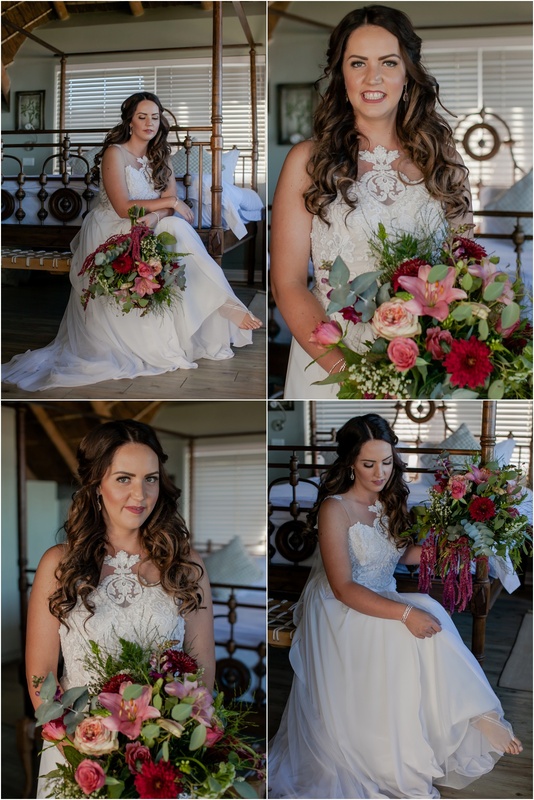 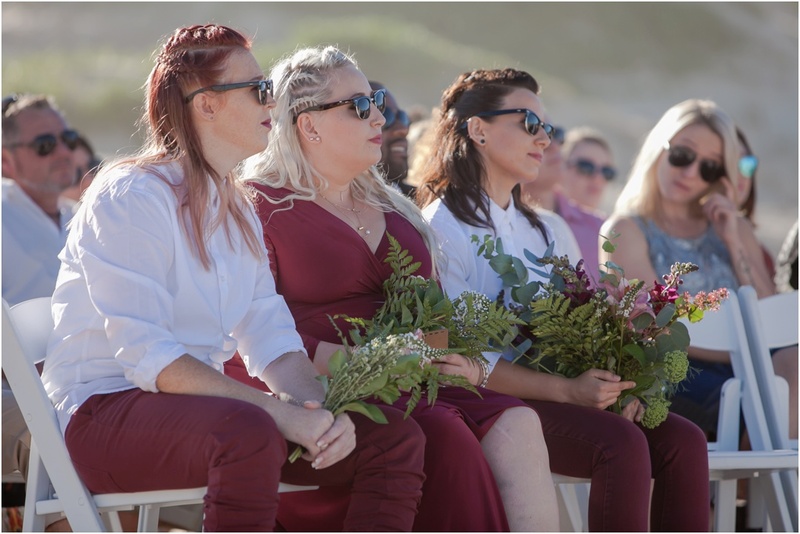 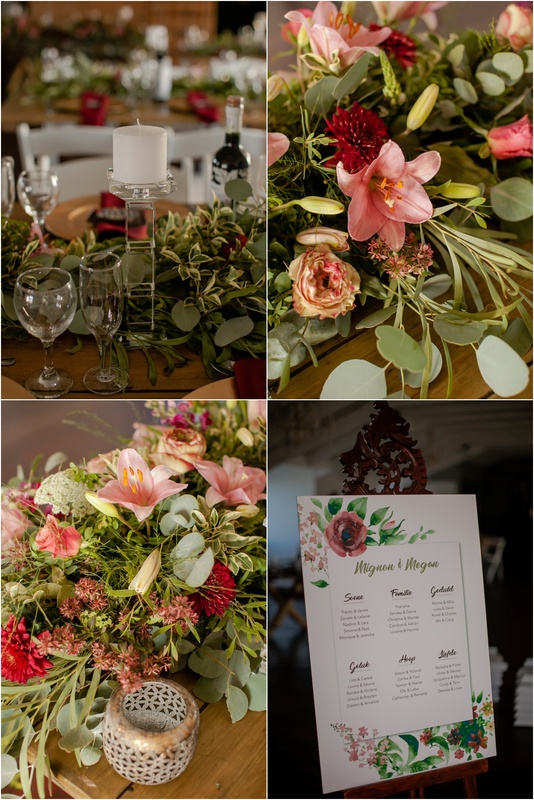 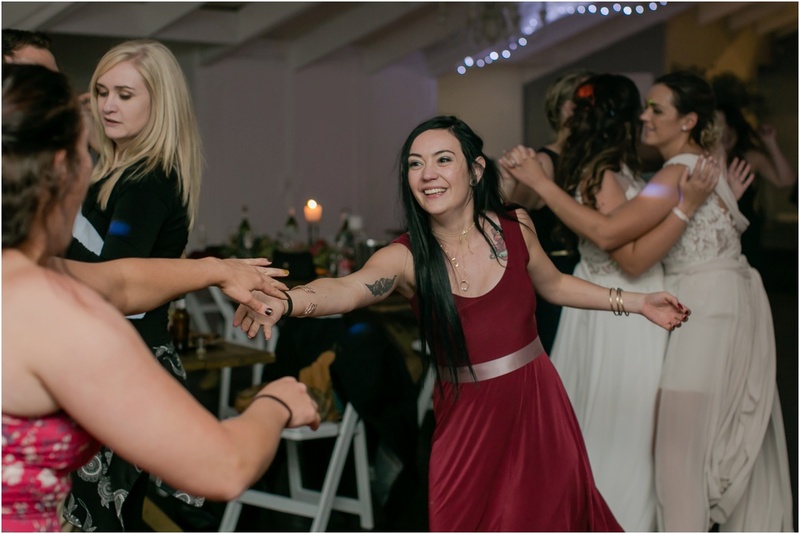 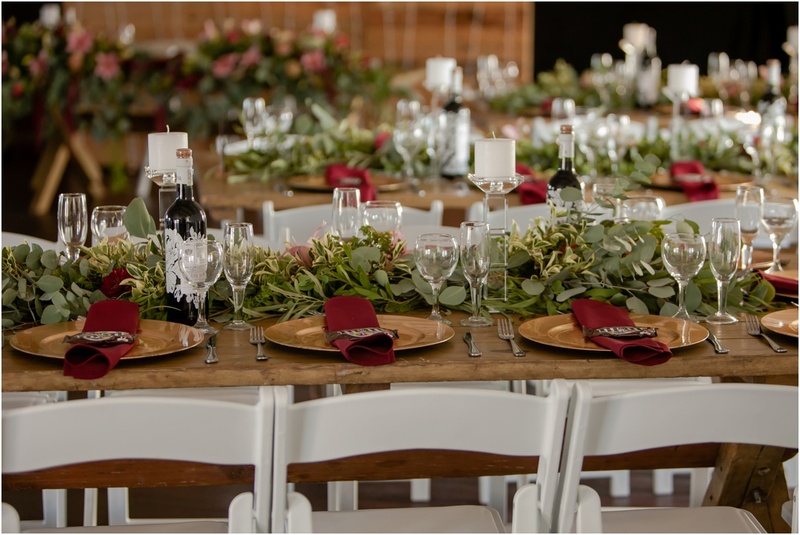 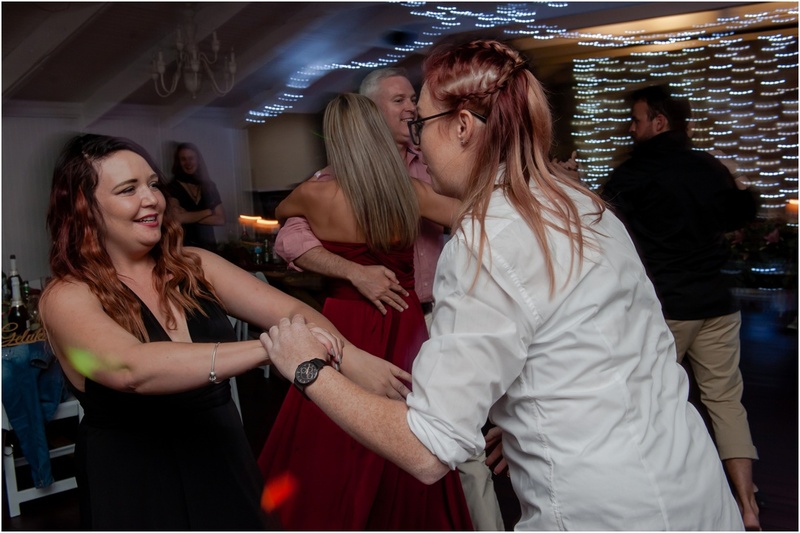 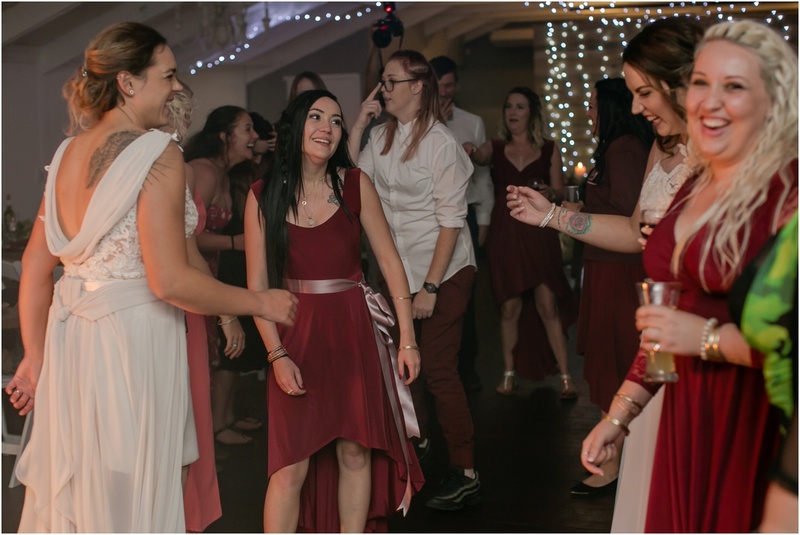 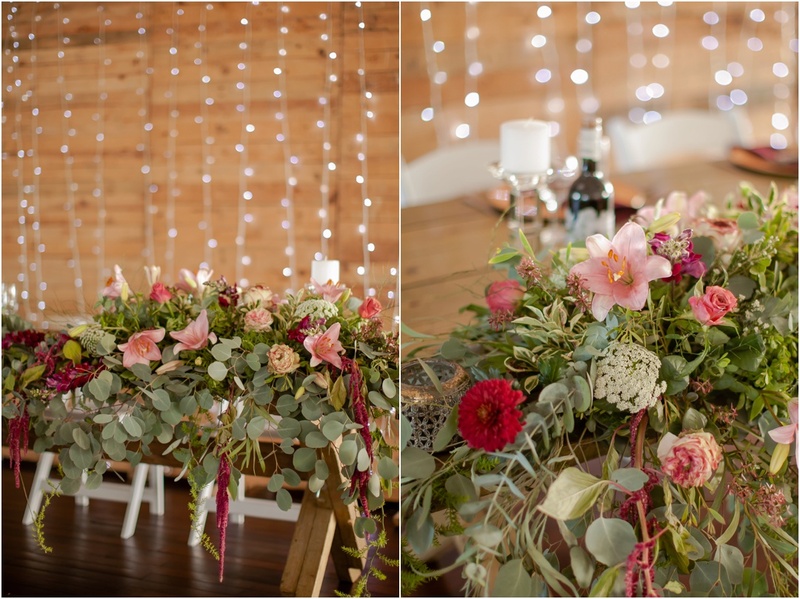 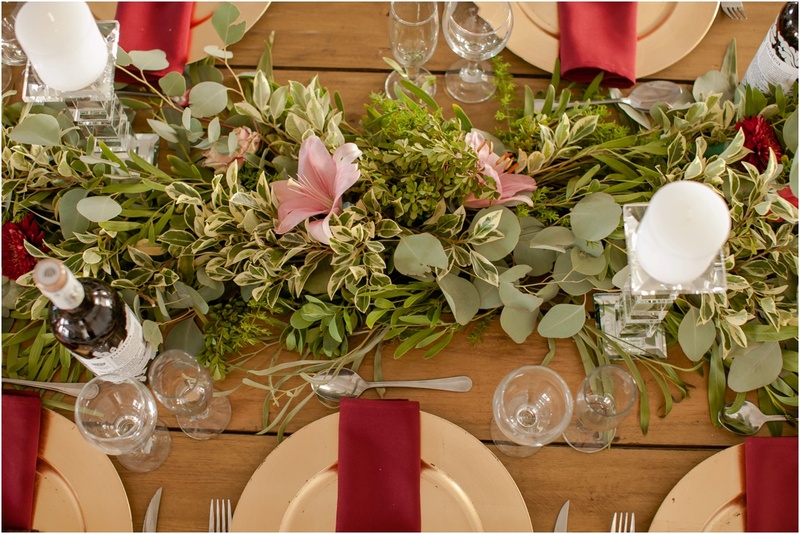 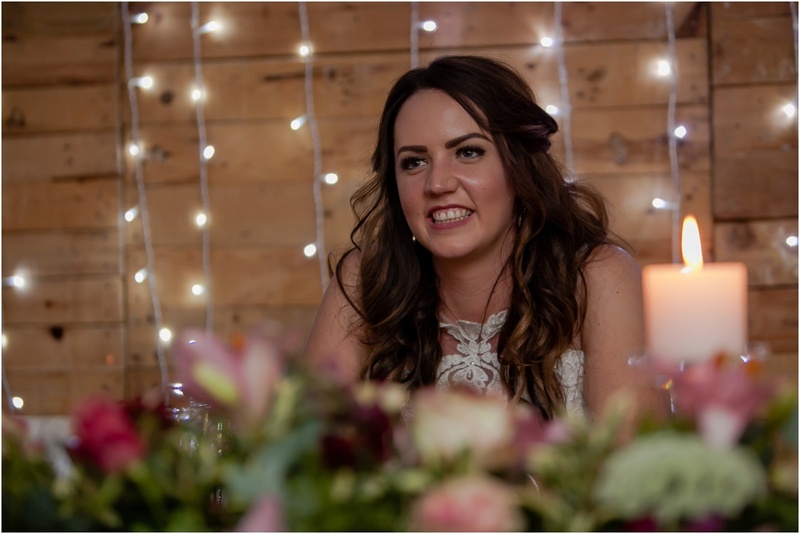 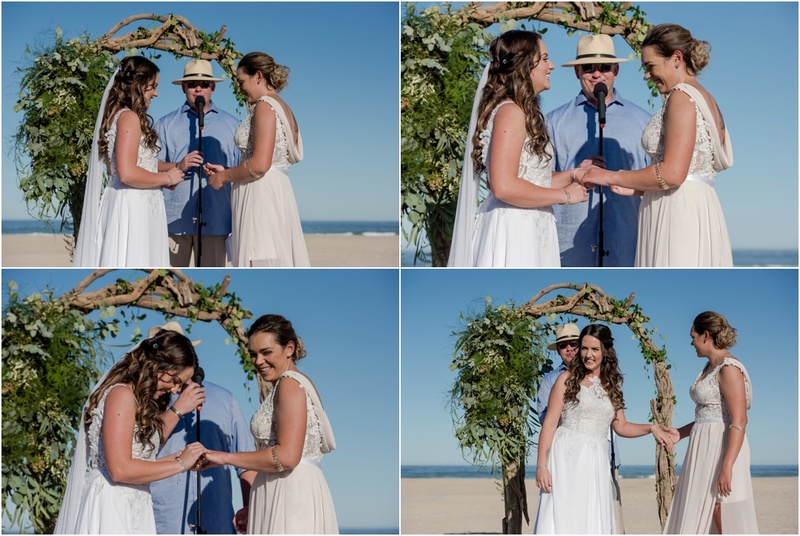 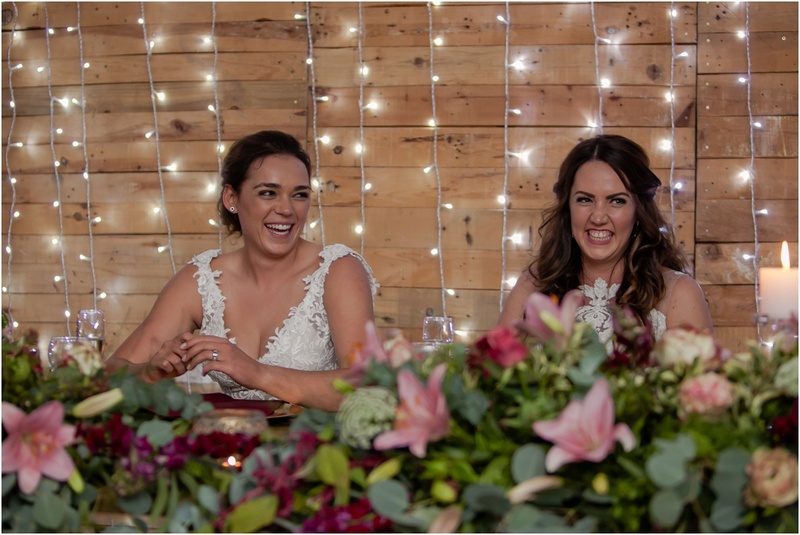 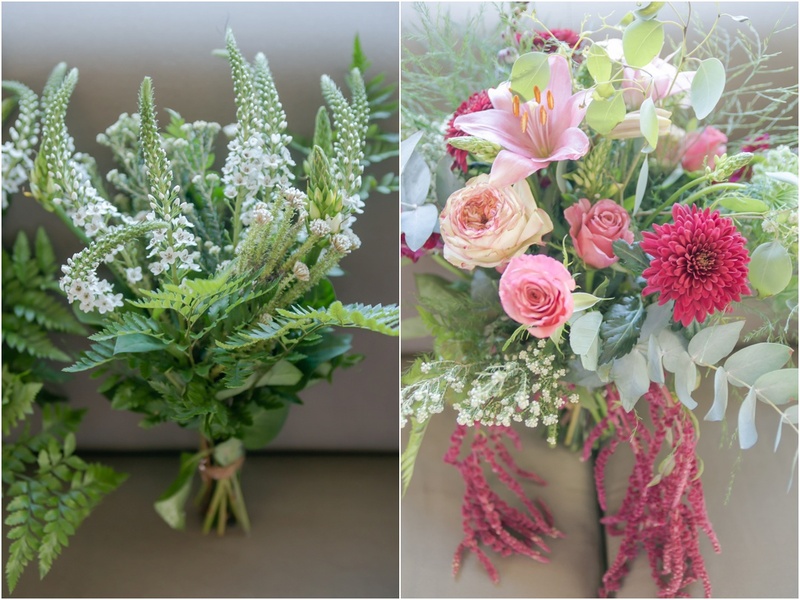 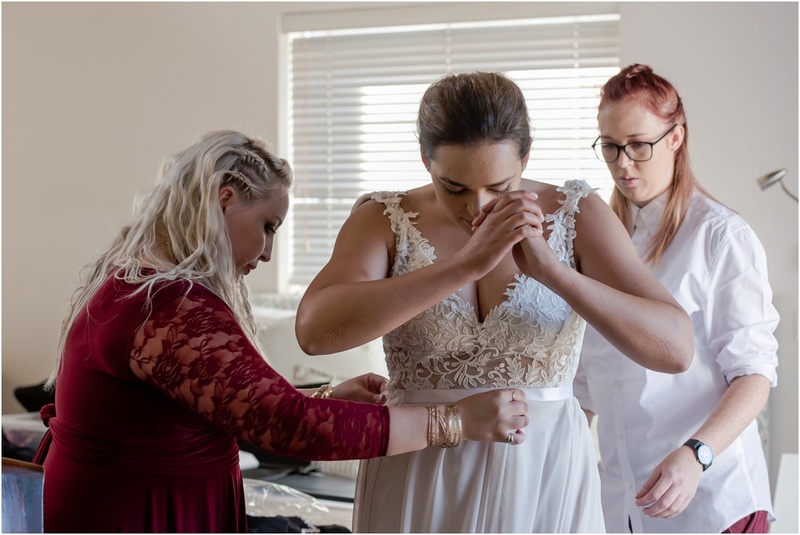 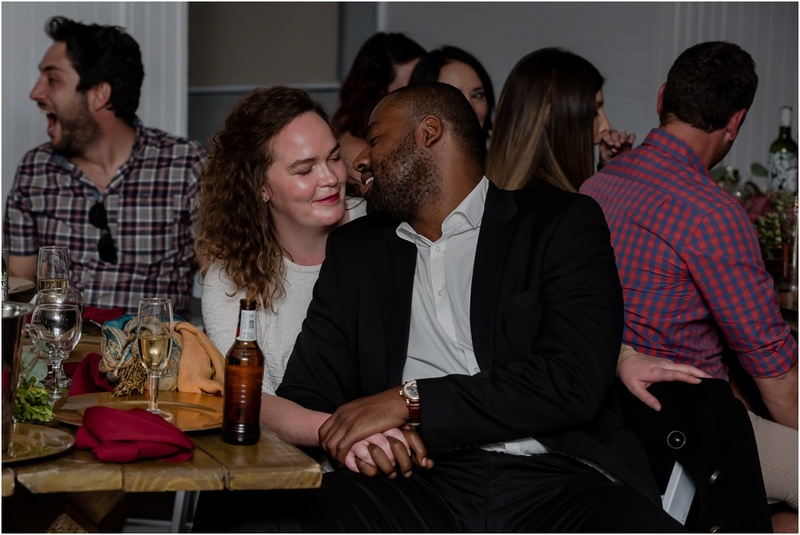 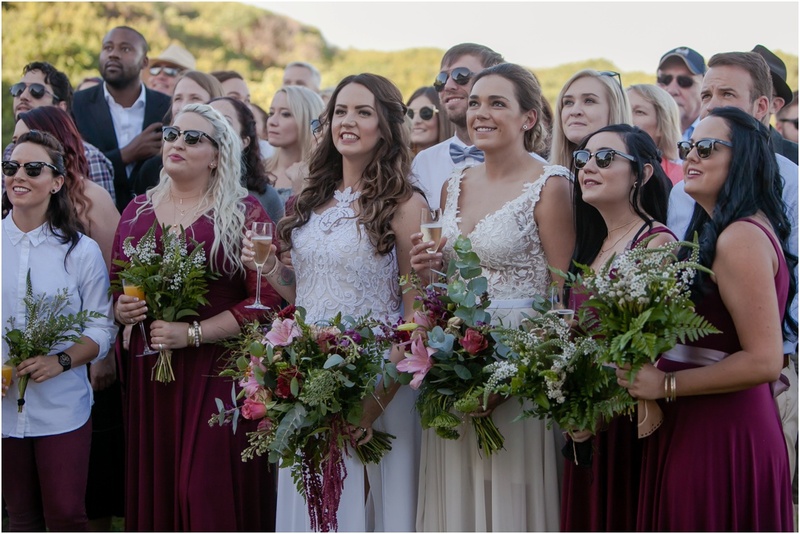 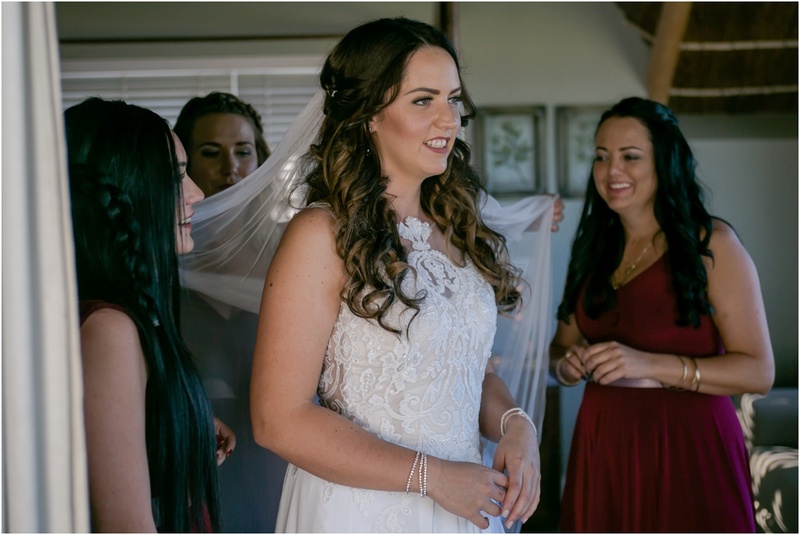 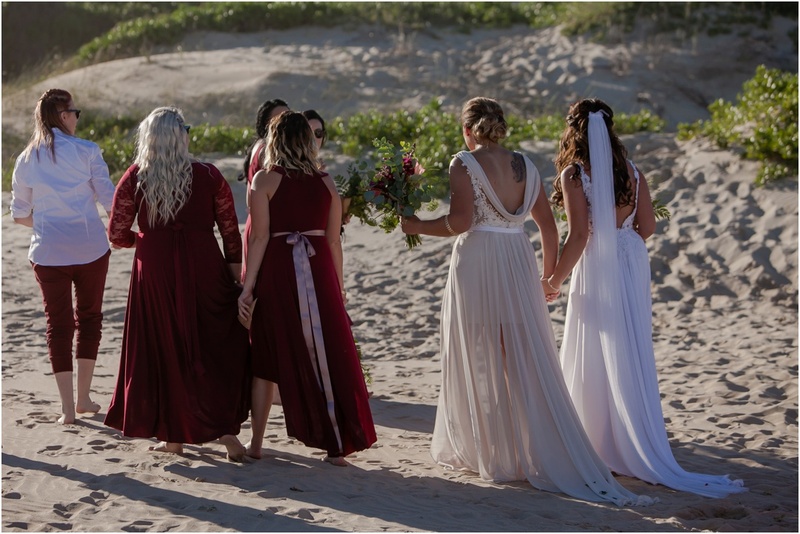 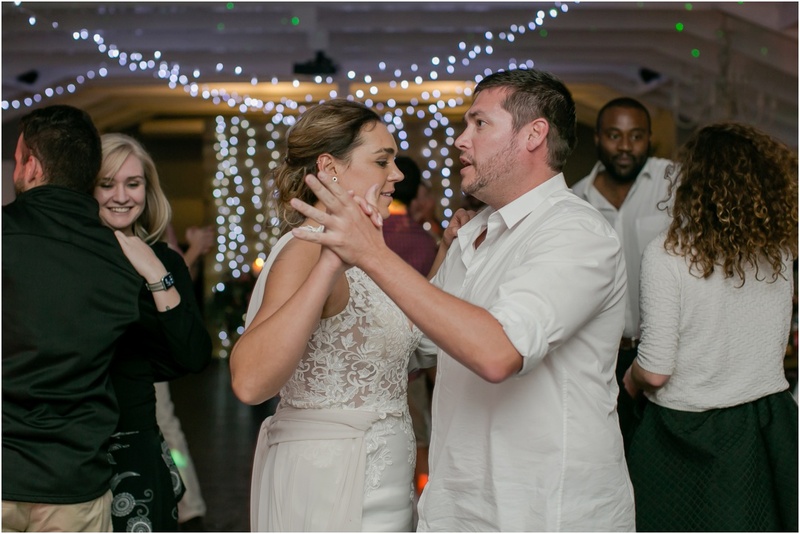 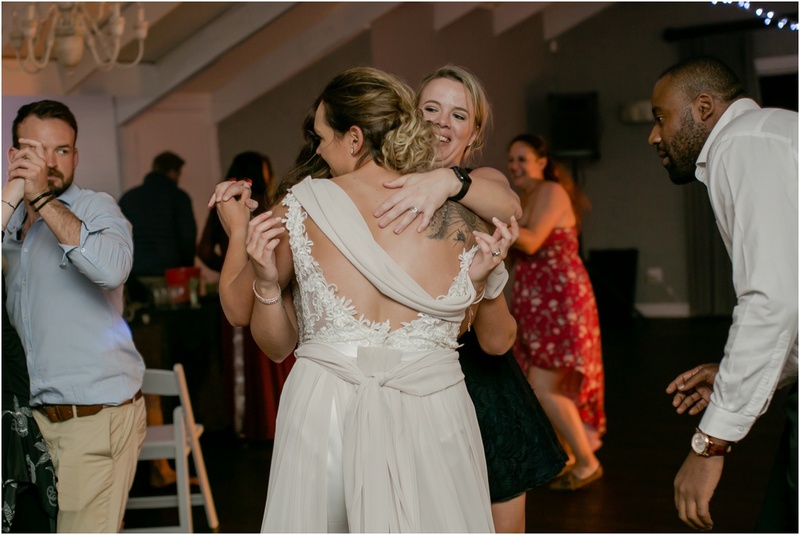 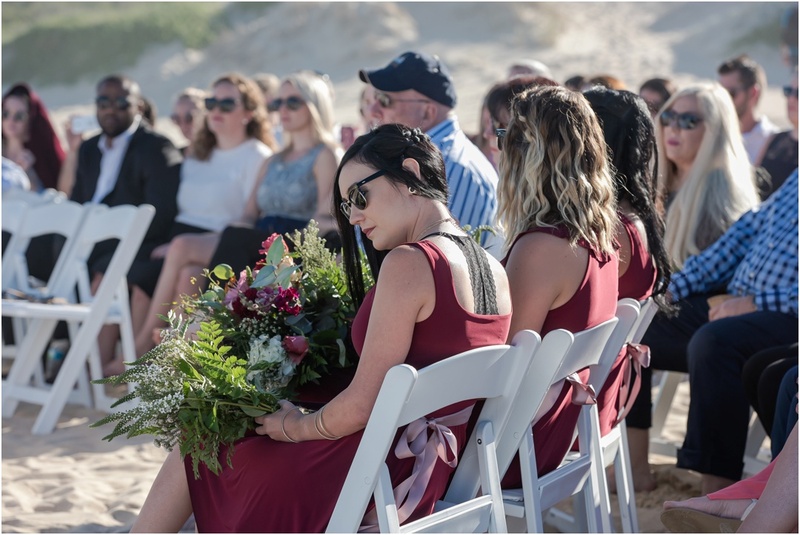 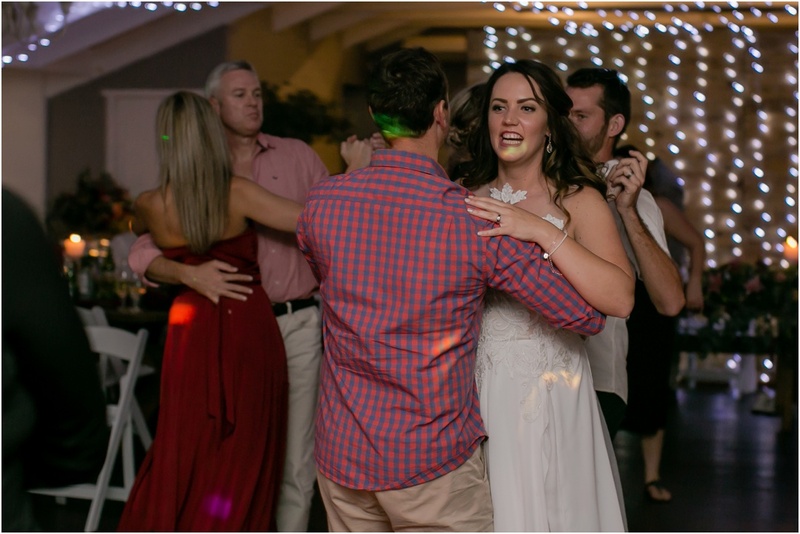 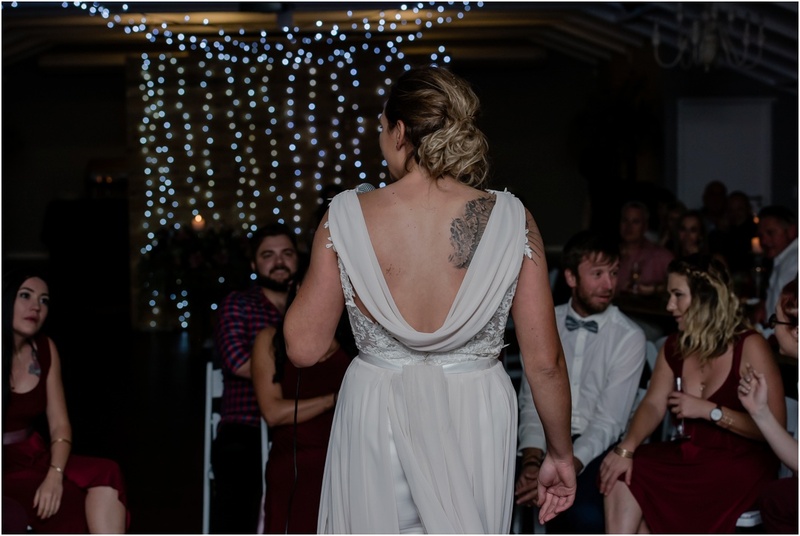 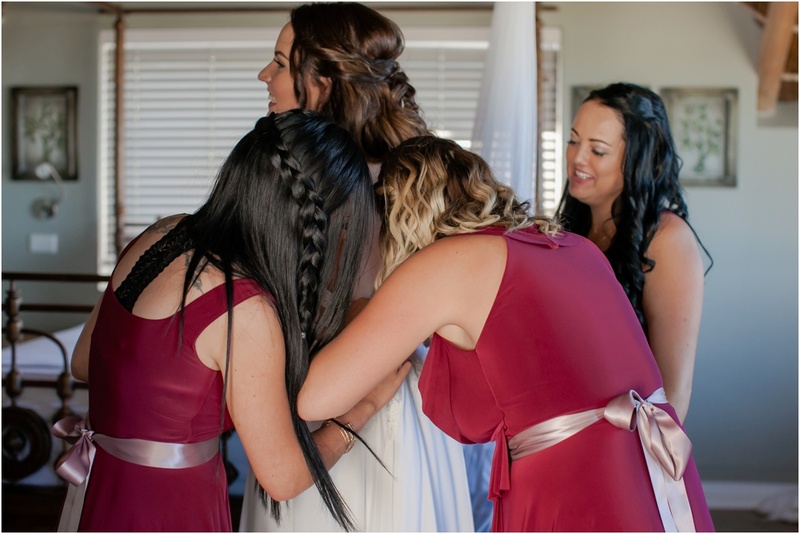 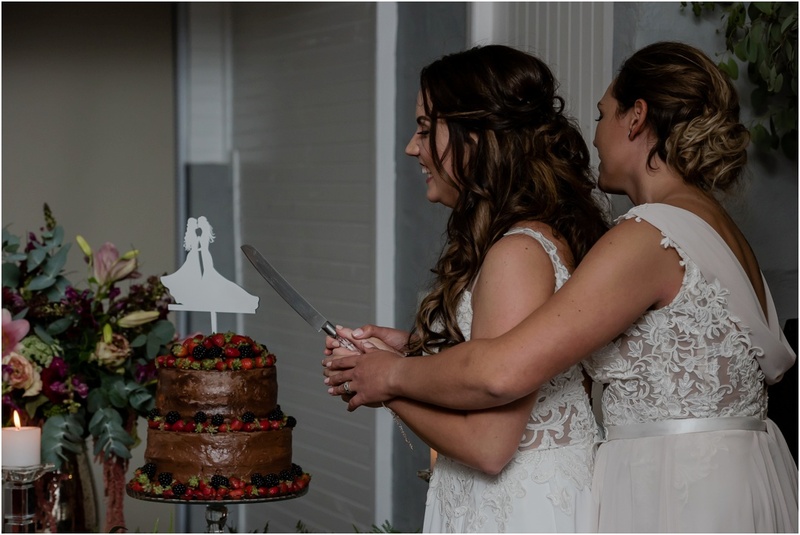 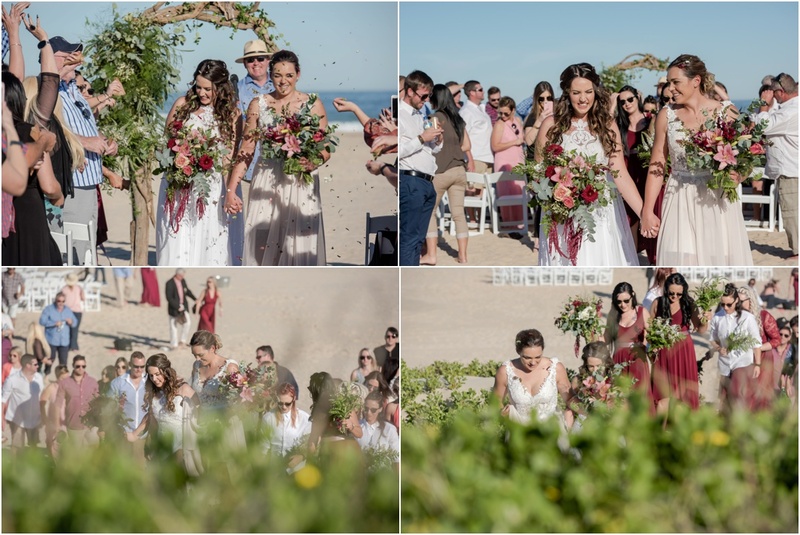 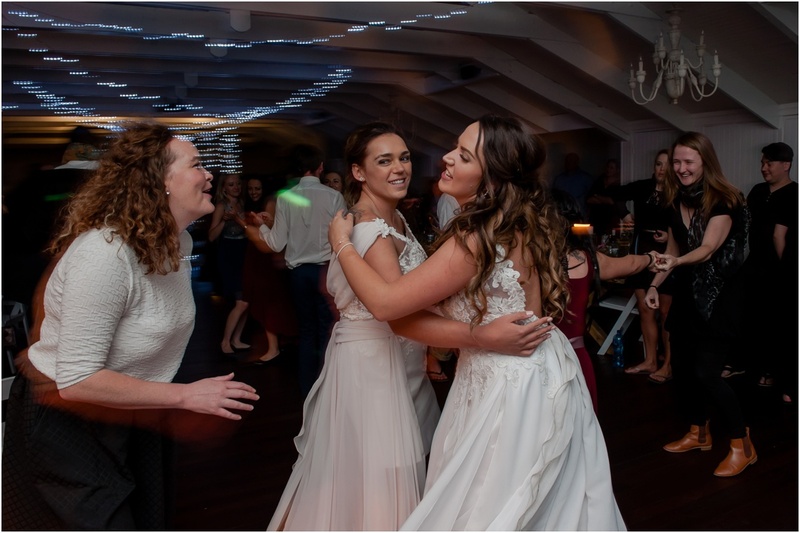 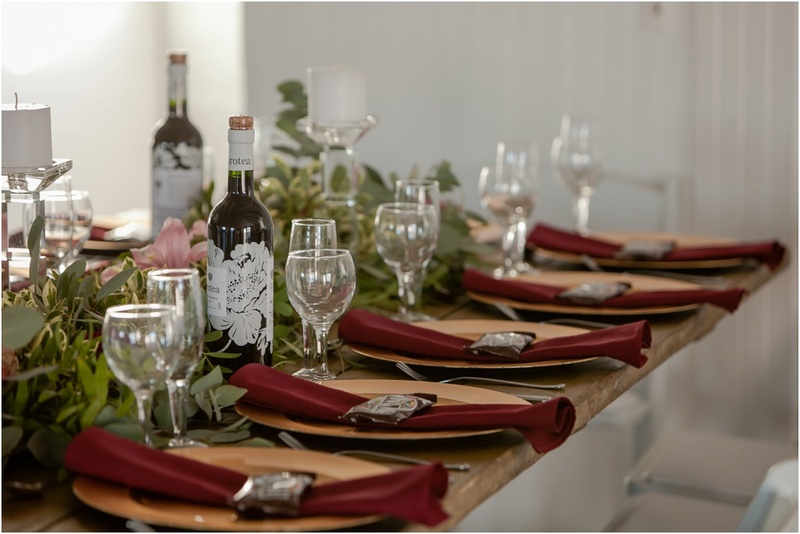 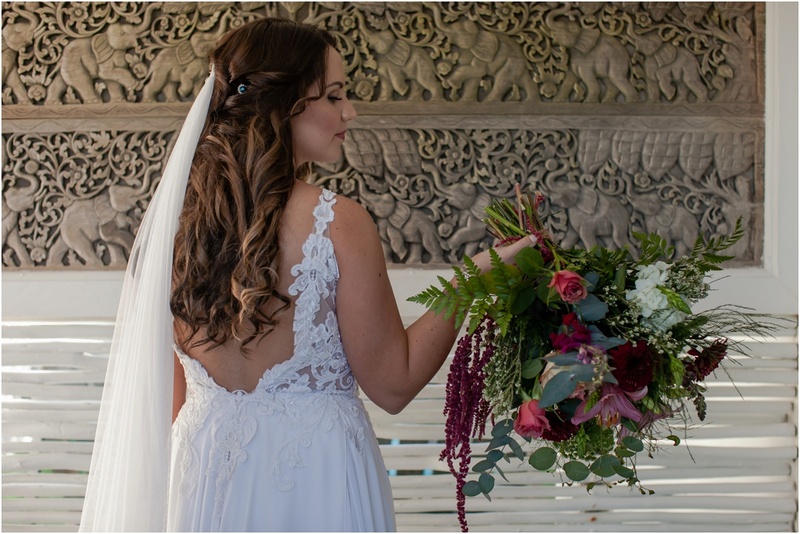 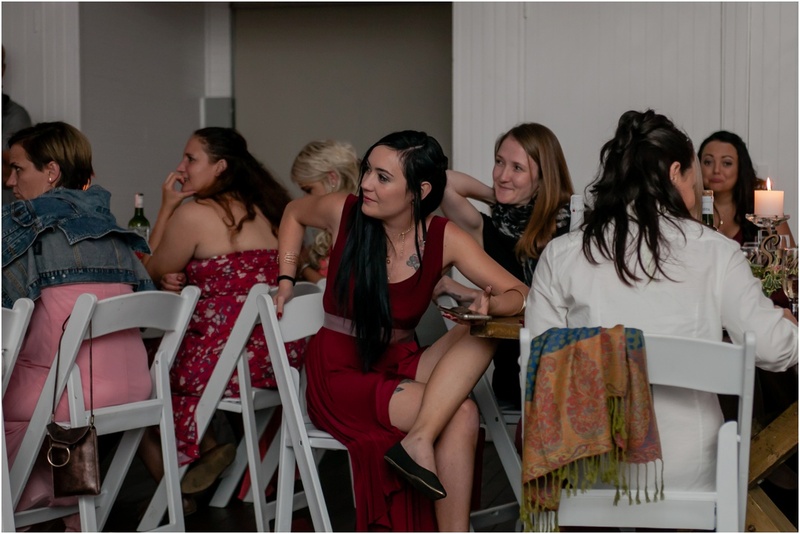 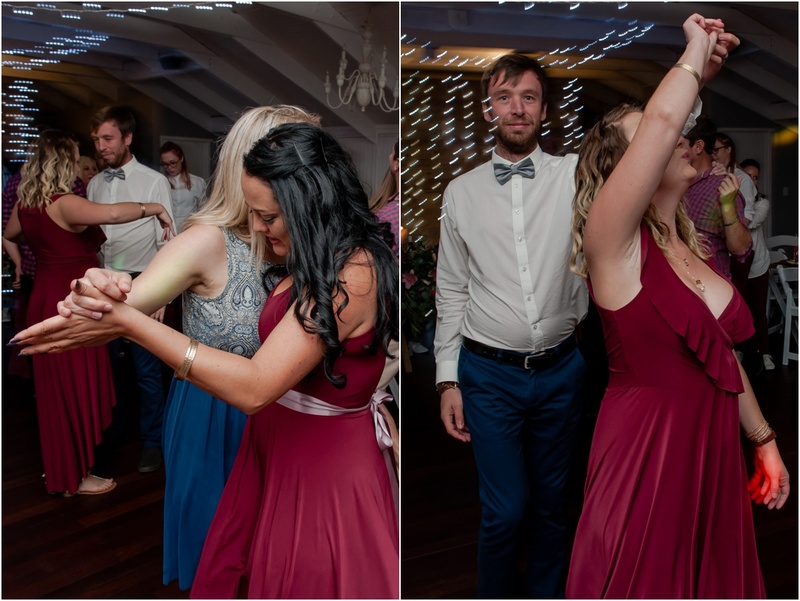 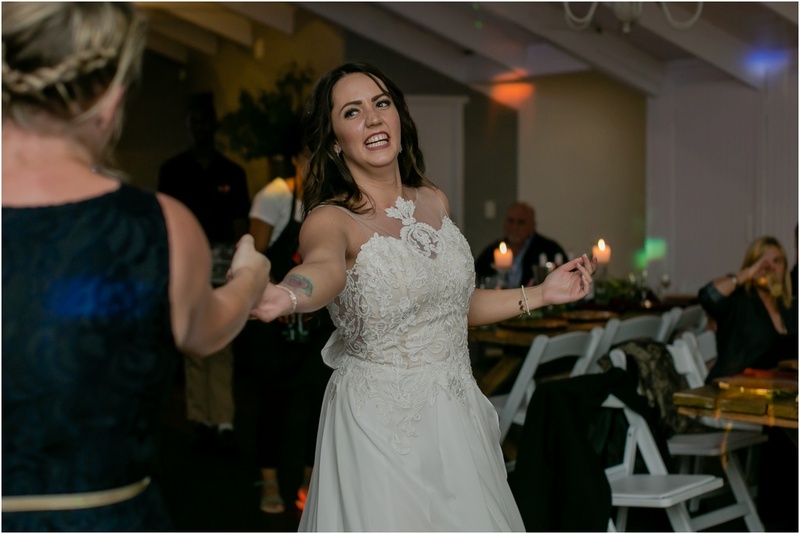 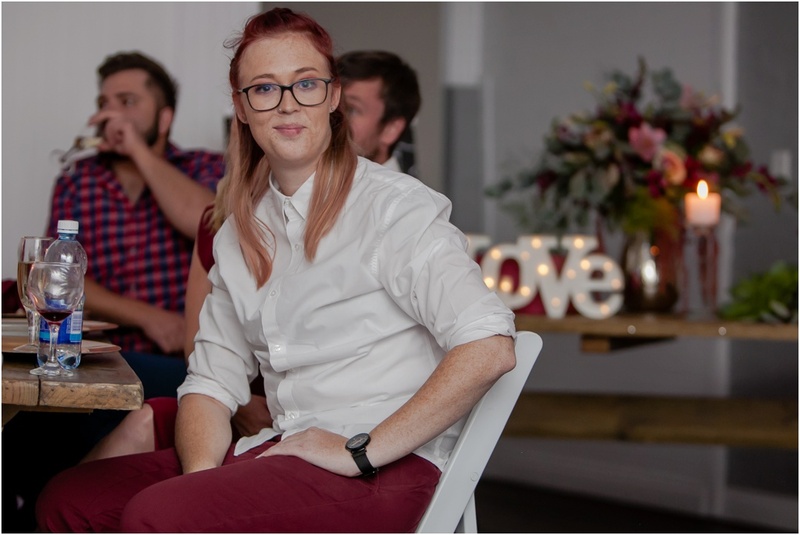 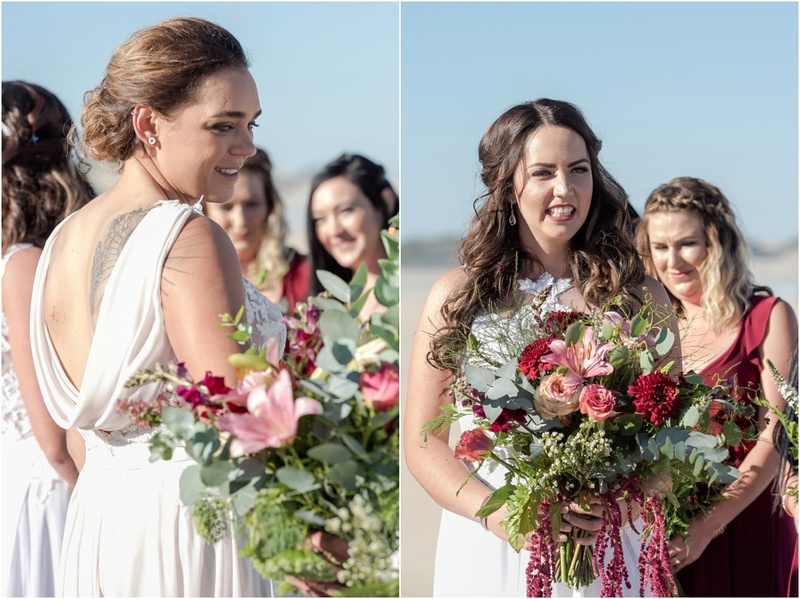 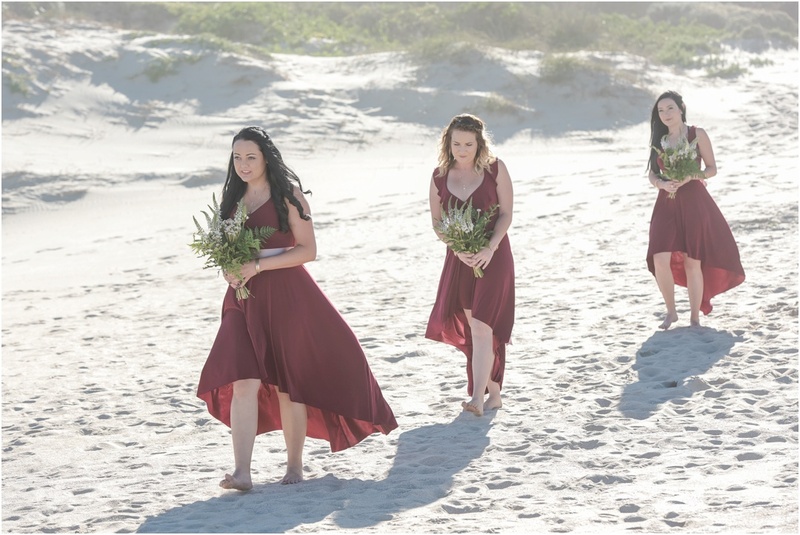 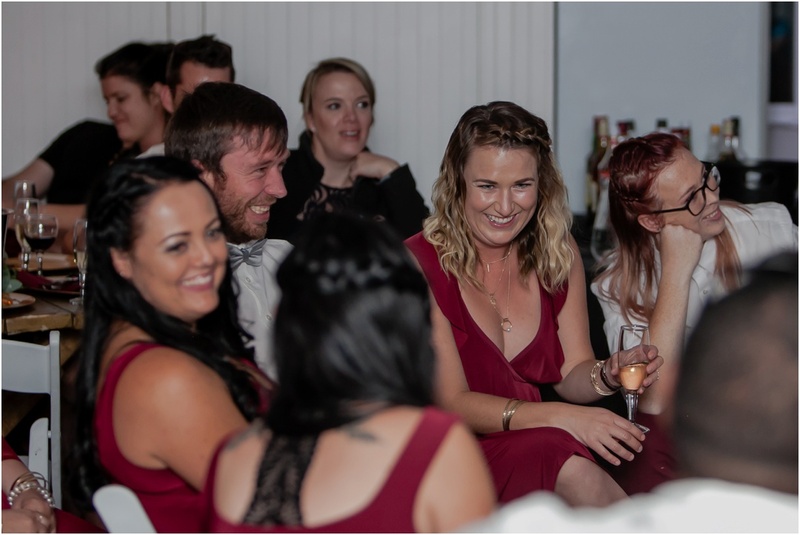 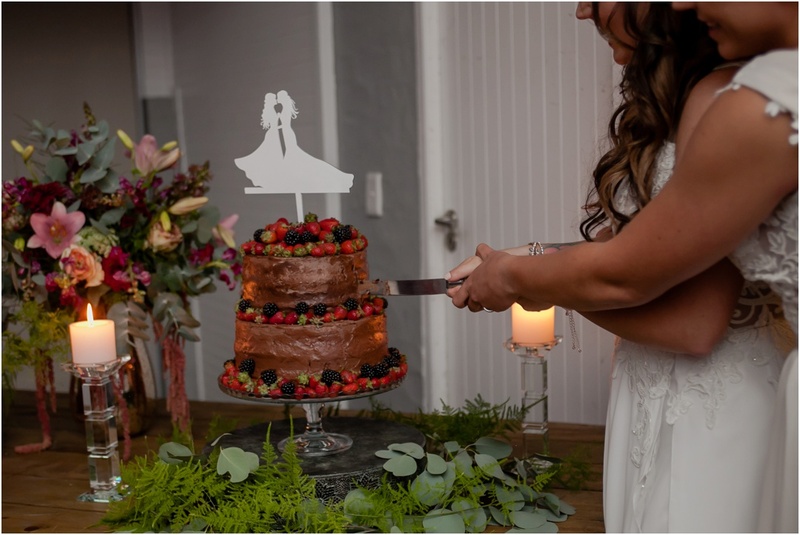 They were after a Bohemian styled wedding with maroon, gold and dark green, and Jean, along with her professional staff, ensured that their dream wedding became a reality. 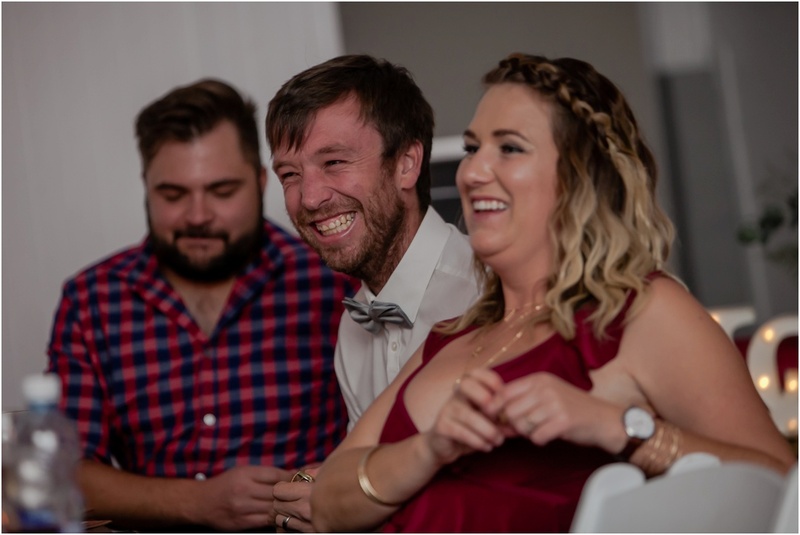 It turned into a fantastic celebration throughout the day and into the night, and I’m sure will continue for many more trips around the sun.